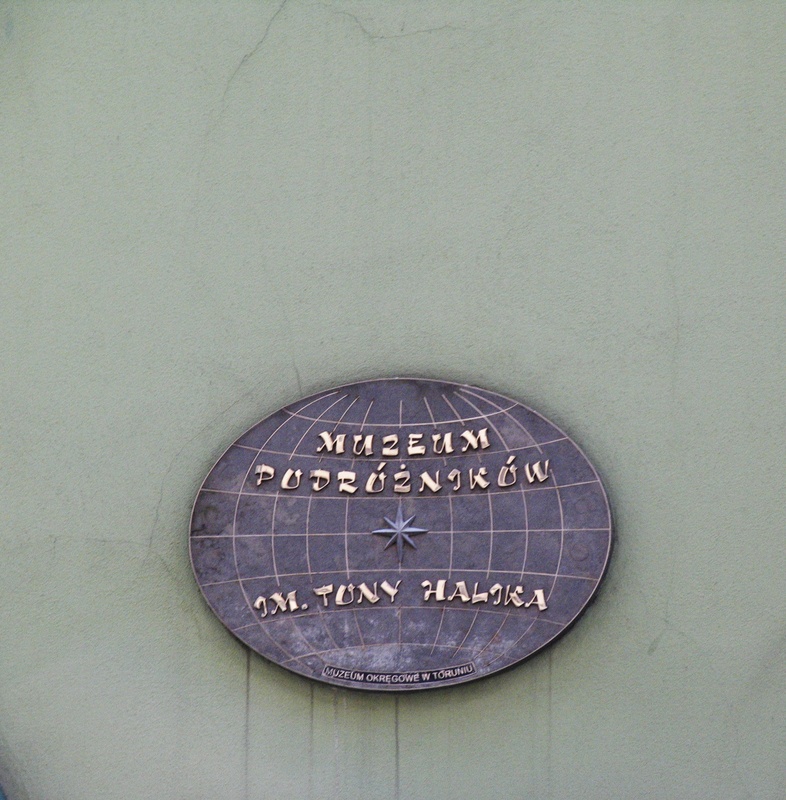 Explorer’s Museum of Tony Halik was founded in 2003, when after the death of the famous Explorer Tony Halik his wife Elżbieta Dzikowska donated the collected by them exhibits to the city of her husband’s birth -Torun. 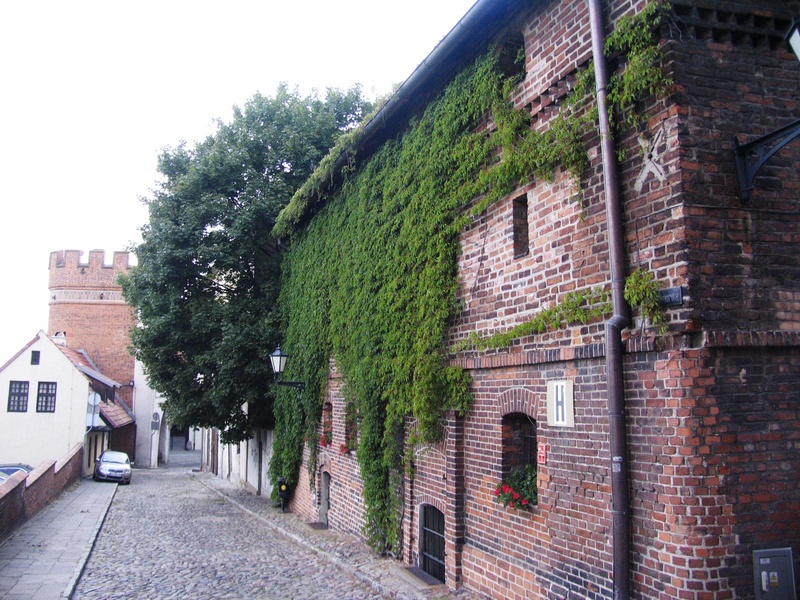 The museum is a historic granary and the neighboring town house. Exhibitions, dedicated to traveling and couple’s common trips, present numerous exhibits from all over the world. 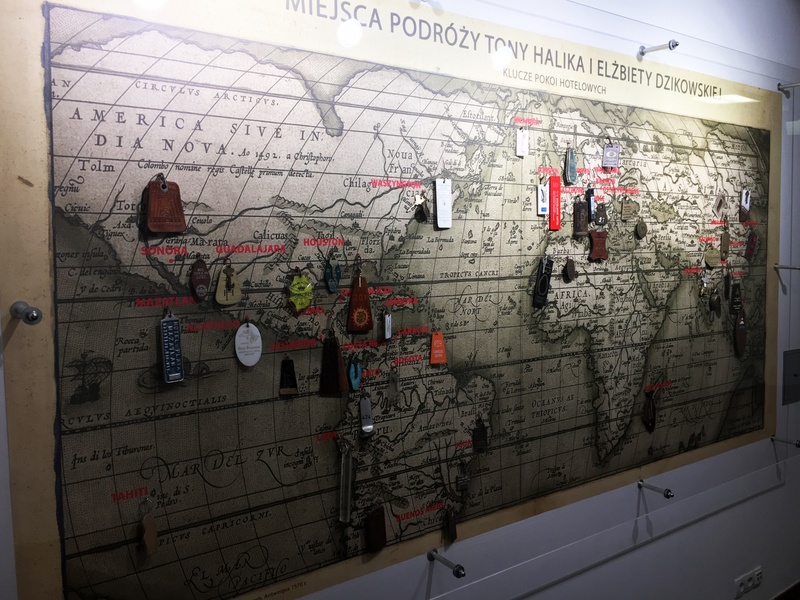 The collection contains traveler’s documents, items related to everyday life and rituals of the people from all continents except Antarctica, as well as souvenirs and ethnic ornaments. The collection is enriched with photos and videos captured by the traveler. 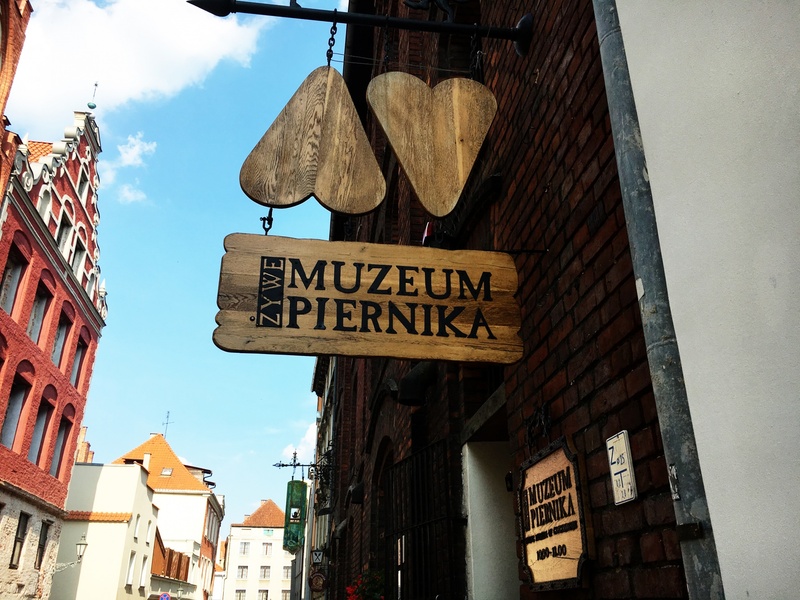 Currently Museum collection contains more than 1700 exhibits, but thanks to Elżbieta Dzikowska is constantly replenished. The Museum, besides exhibitions, organizes meetings with globetrotters, museum classes and travel festivals. 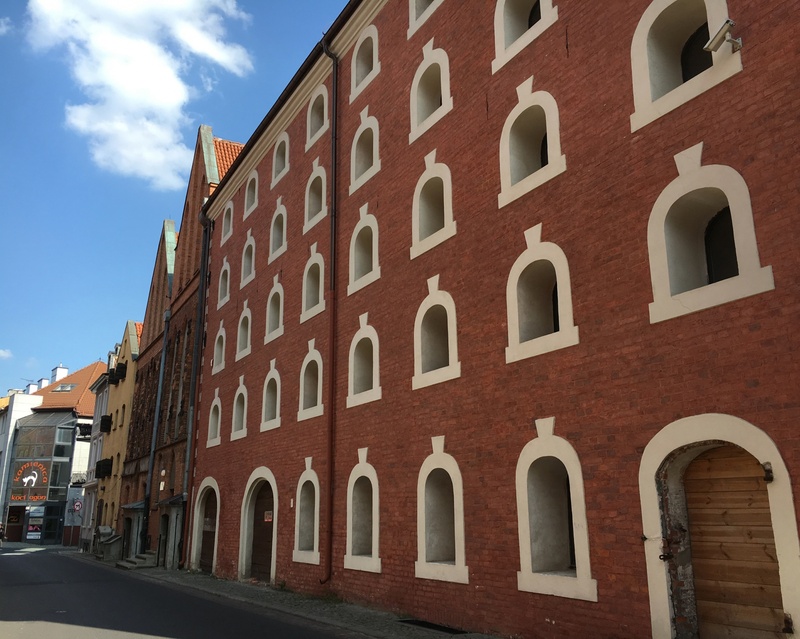 The Museum was founded in 2015 in the former 19th century gingerbread factory belonging to Gustav Weese. The exhibition covers an area of 1,200 sq. 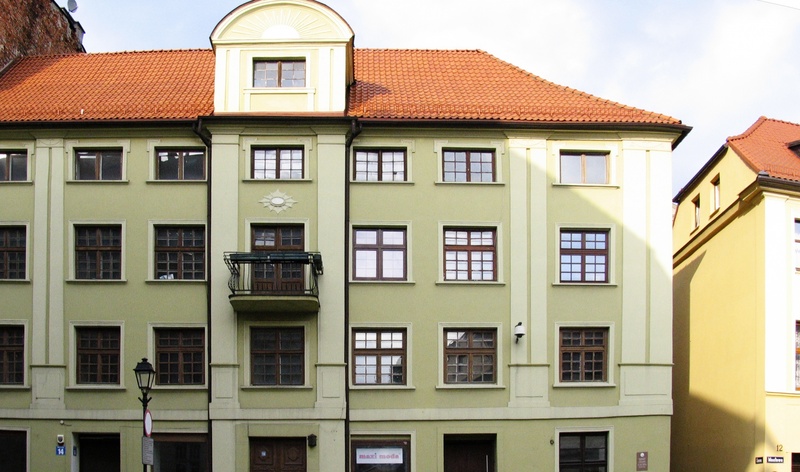 m. and is located on three levels: basement, ground floor and first floor. Exhibition devoted to the beginnings of the gingerbread baking is located in the basement of the building. 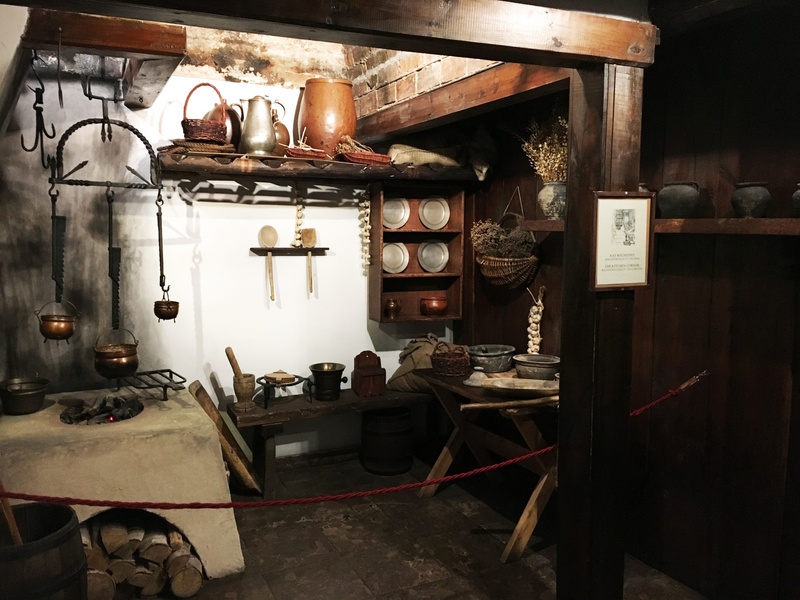 Visitors have the opportunity to not only enjoy the historic forms of gingerbread and ovens for baking cakes, but also, through interactive tours, to go back to the world of a medieval stall. 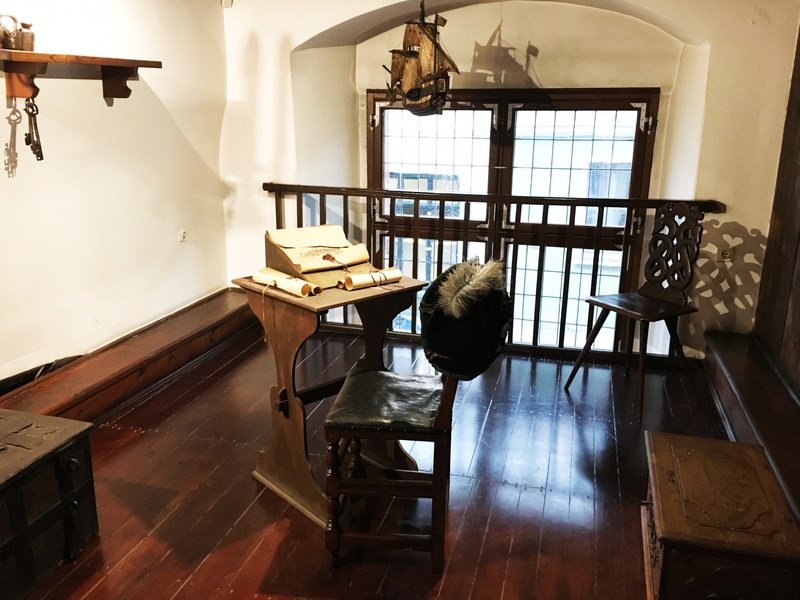 Visit to the Museum is also enriched in gingerbread workshops located on the ground floor, where each participant can bake and try a gingerbread and also get to know the ins and outs of the recipe. The exhibition which is located on the first floor shows the gingerbread baking, packaging and its transport to the shops. Thanks to the new technology in the Museum everyone may play the role of the owner of the factory or shopkeeper. During the whole trip visitors should pay attention to the interior and architecture of the industrial building in which they are located. 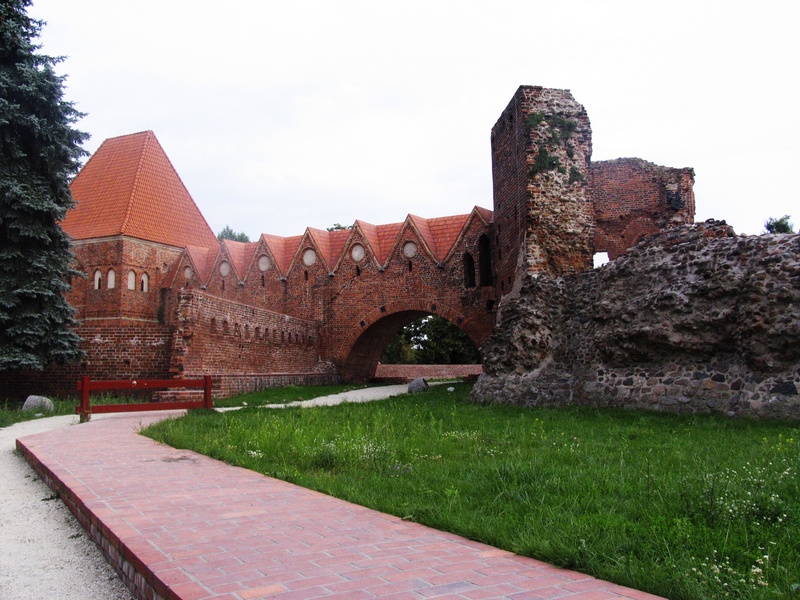 The castle was built in the second quarter of the 14th century, on the set of a horseshoe over an area of 1,9 ha. 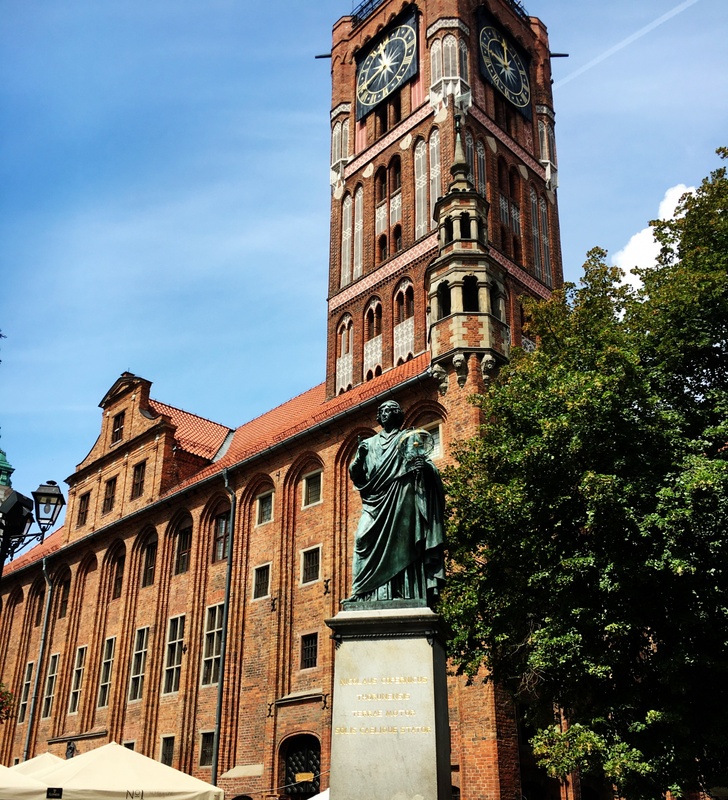 It played the role of a base for the conquest of the Prussians, as well as the creation of Monastic State of the Teutonic Order. 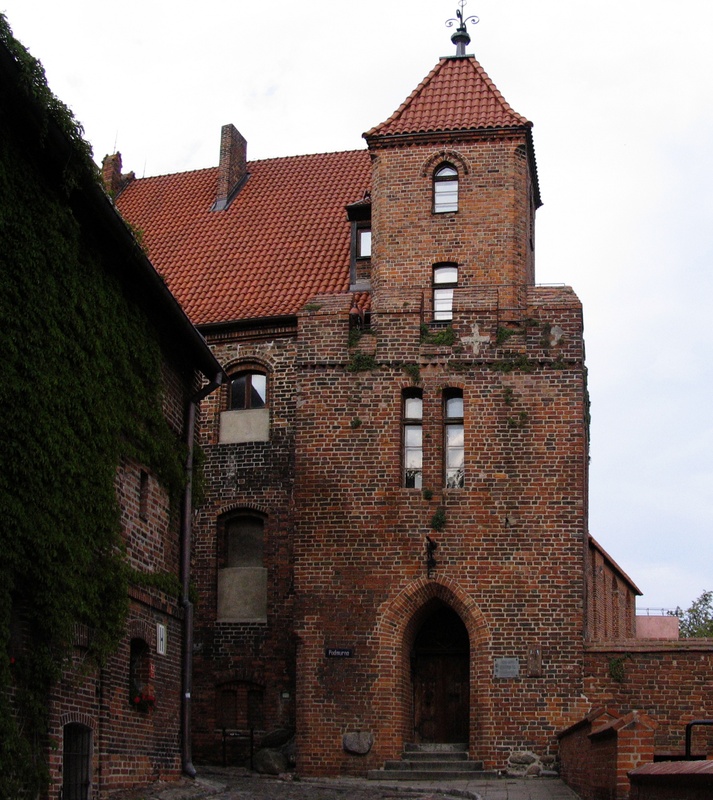 The Castle served as the commander’s headquarters. 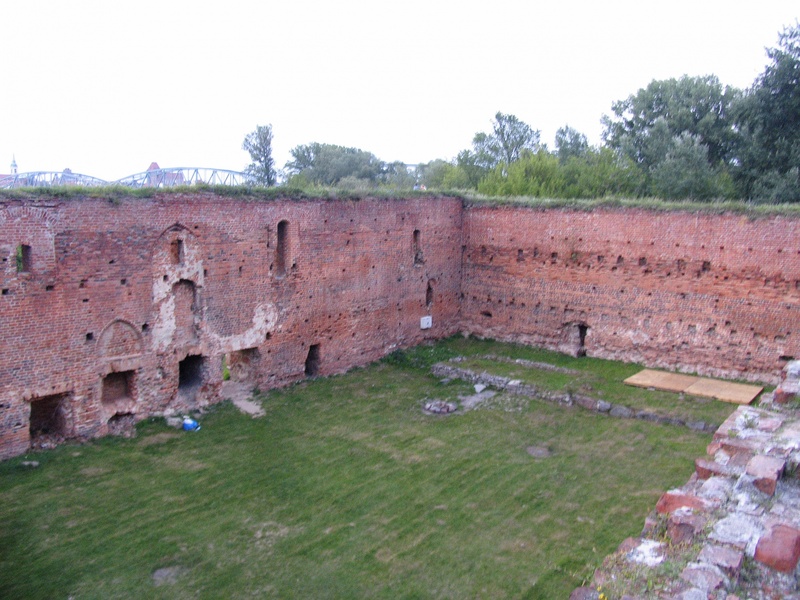 Has been demolished in the 15th century by the inhabitants of Torun, and in modern period ruins were used as a garbage dump and bastion. The area of the castle in this period was very sloppy, and was tidied up in 1996. Currently, the castle is available for tourists. To date some parts were preserved, such as tower, porch, the lower parts of the walls of the underground castle and moat. In addition, visitors can participate in many events such as festivals, events, summer cinema, castle staging, workshops and others. 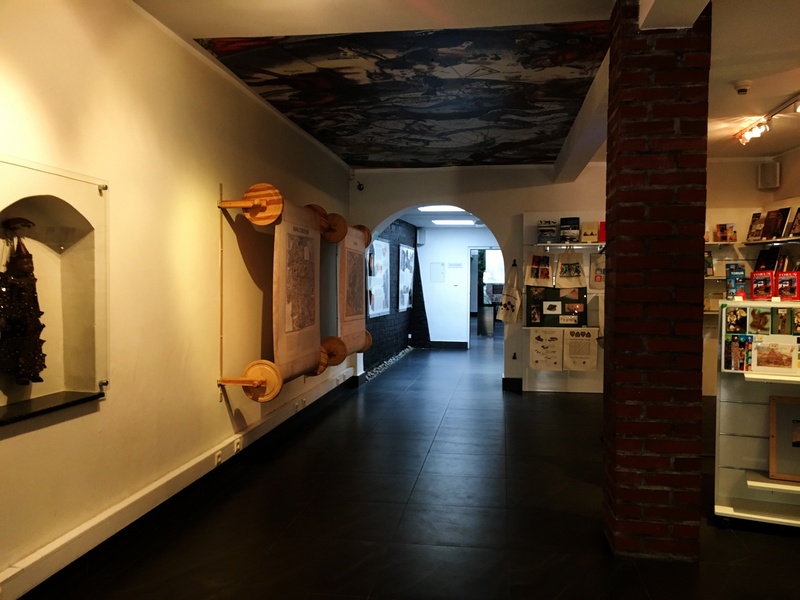 Everyone has also an opportunity to visit the exhibition depicting the everyday life of knights, located in the castle basement. 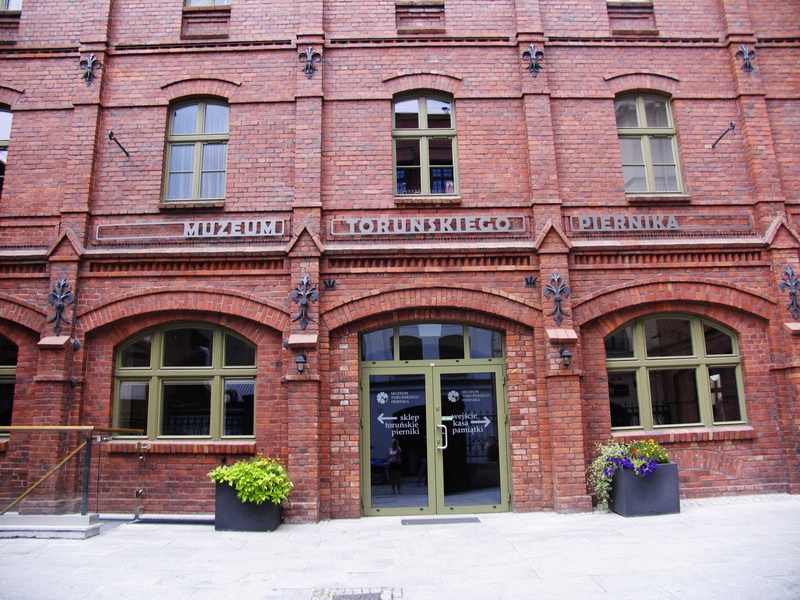 The museum was founded in 2006 in a historic granary from 1863. It is located on two floors of the building. The Live Gingerbread Museum is an interactive facility, which hosts demonstrations and gingerbread baking workshops. 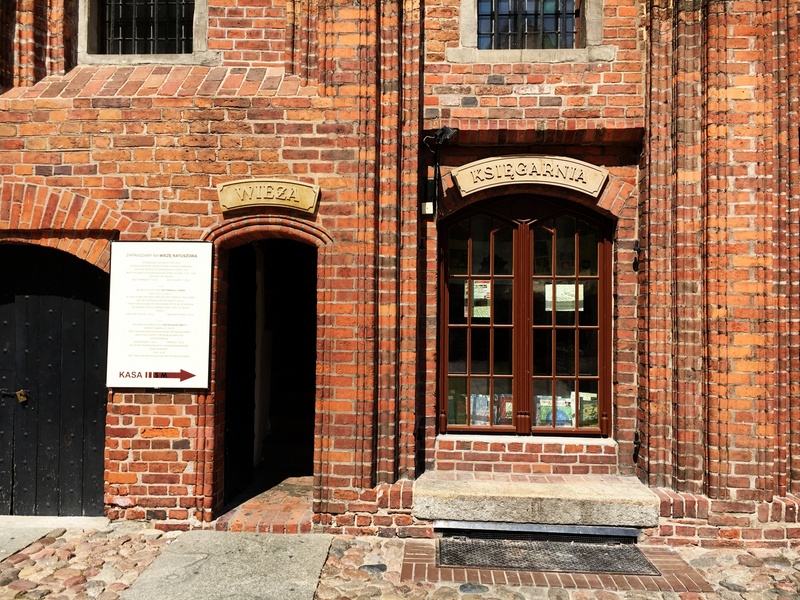 Any visitor can actively participate in the gingerbread baking in reconstructed,16th century bakery equipped with antique tools. The opportunity to see the historical machines and stoves is an extra attraction. Especially for visitors are also organized workshops of gingerbread decoration. History of Torun pastries is presented by the guide who plays the role of a bakery worker and involves the visitors to his story. The construction of the Gothic of St. Johns' Cathedral began in the 12th century and was completed only after 200 years in the 15th century. 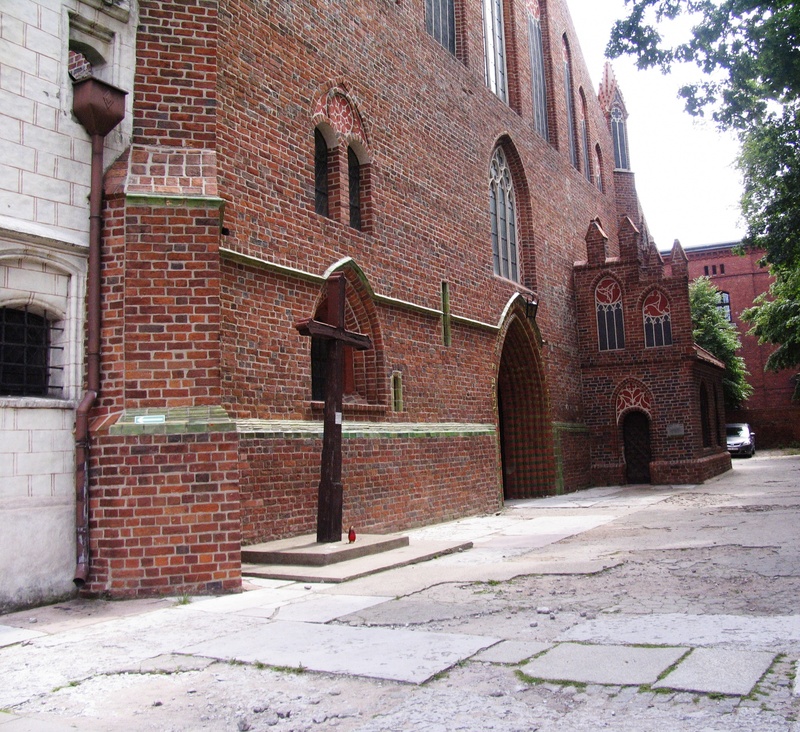 Initially, the Church of St. Johns' was the place where important ceremonies had been held such as elections of the Council members. 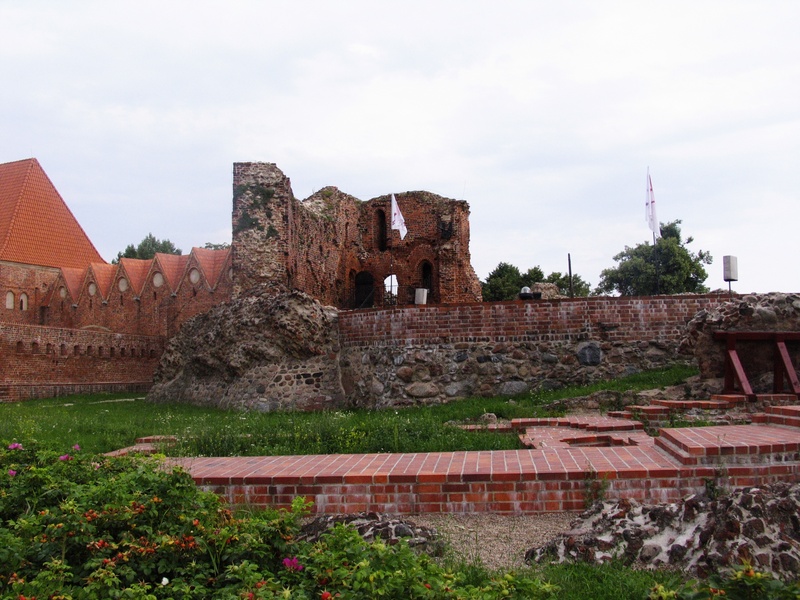 Religious services were conducted in the presence of residing Polish kings. 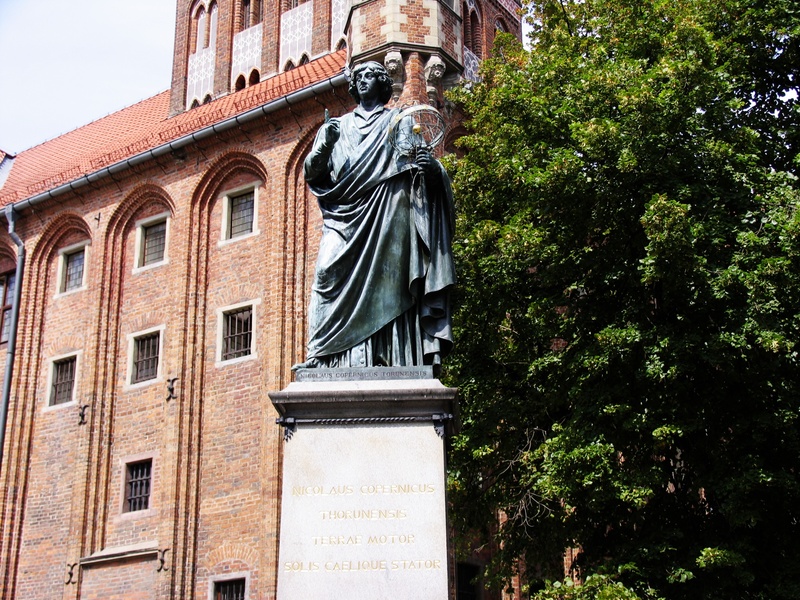 In 1473 Nicolaus Copernicus was baptized here, and the original stone baptismal font is still in the Church. 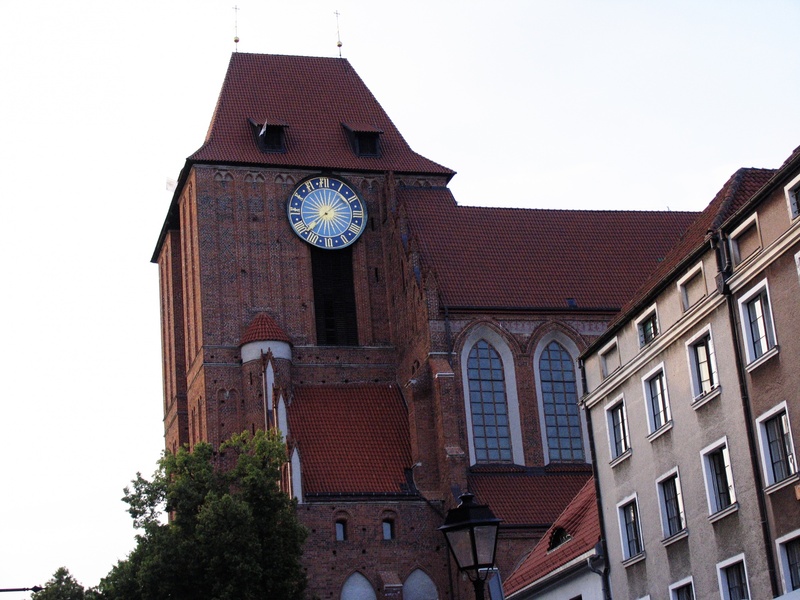 From the 16th century the Cathedral was used by both Protestants and Catholics. 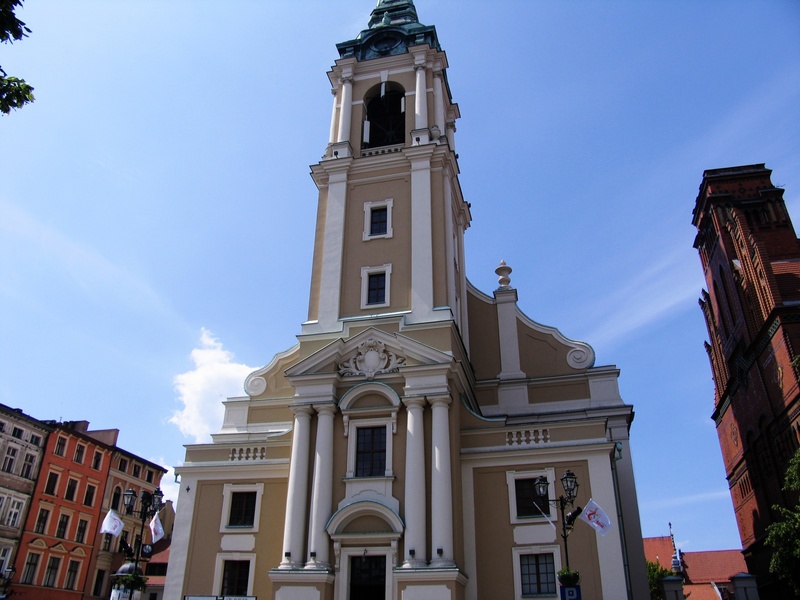 In 1773 it became the parish church, in 1935 it was raised to the rank of basilica. 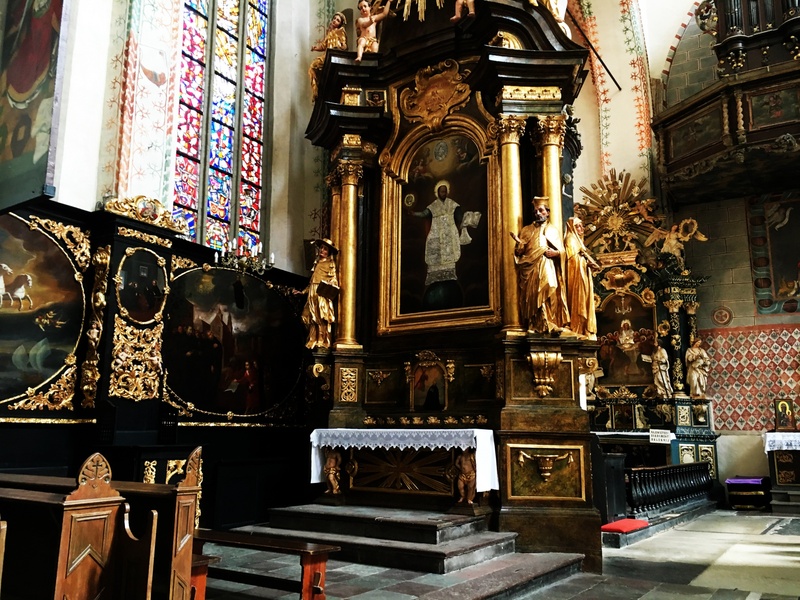 The Cathedral is one of the largest churches in Poland, with numerous paintings inside, Baroque and Rococo altars, sculptures and baroque organ. The greatest treasure of the cathedral is the bell Tuba Dei ("God's Trumpet"), weighing more than 7 tons. 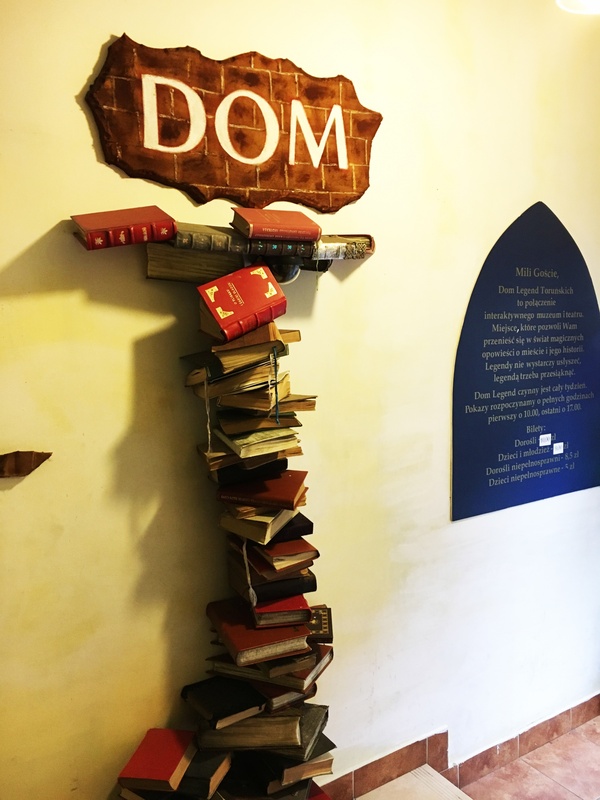 It is used only twice a year, at Easter and during the Corpus Christi procession. 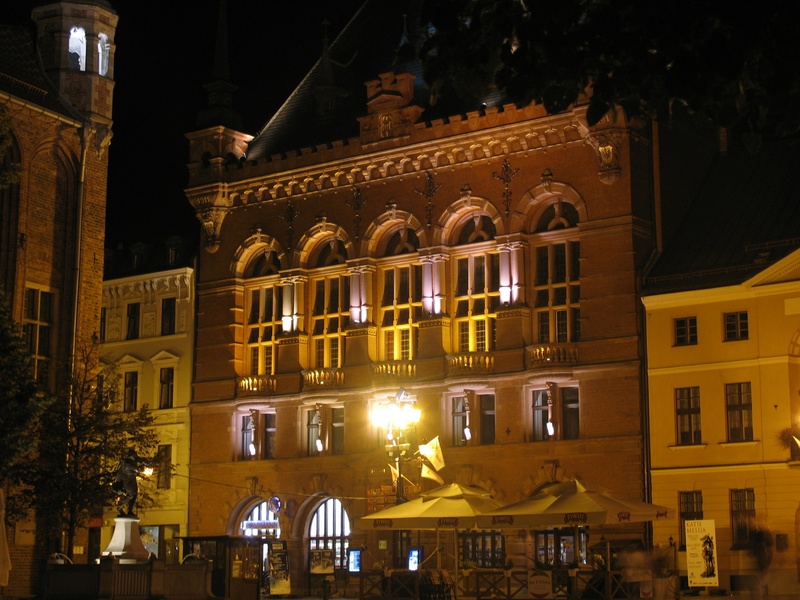 Built in the 16th century town hall served as a trade place and was the seat of the city council. 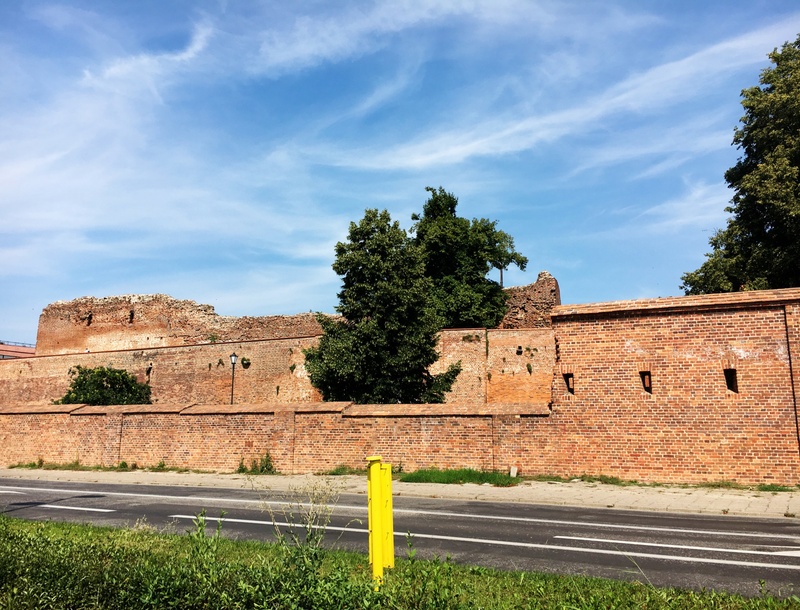 It was also the place of electing rulers for whom the building was a temporary residence. In the Town Hall many important historical events were held. Among other things, in 1501 King John Albert died in one of the halls. 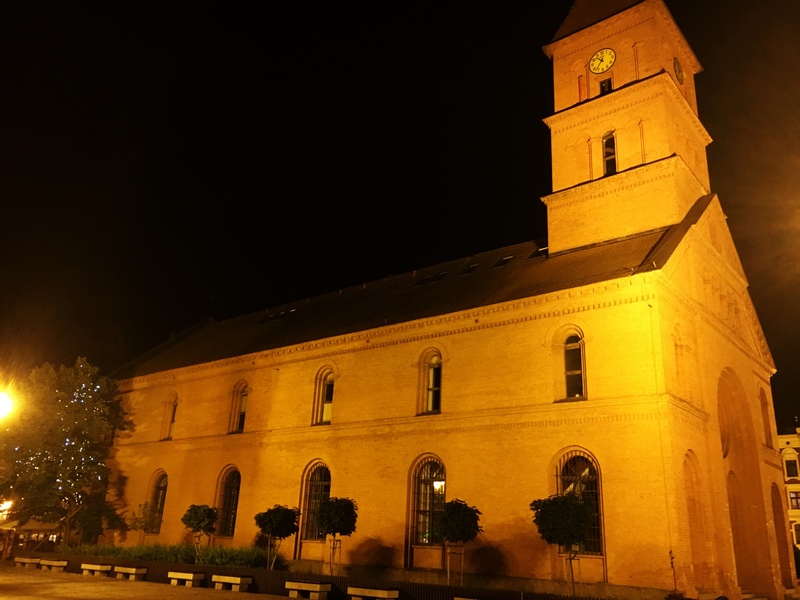 Town Hall was redefined in the 17th century and rebuilt after fire in the 18th century. 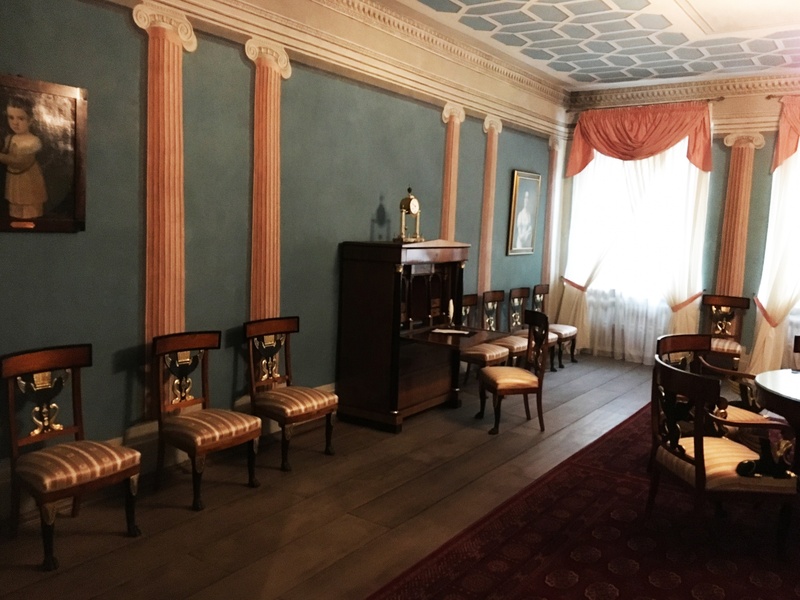 Today it houses the District Museum, where guests can admire the original appearance and function of the hall rooms, painting and crafts. 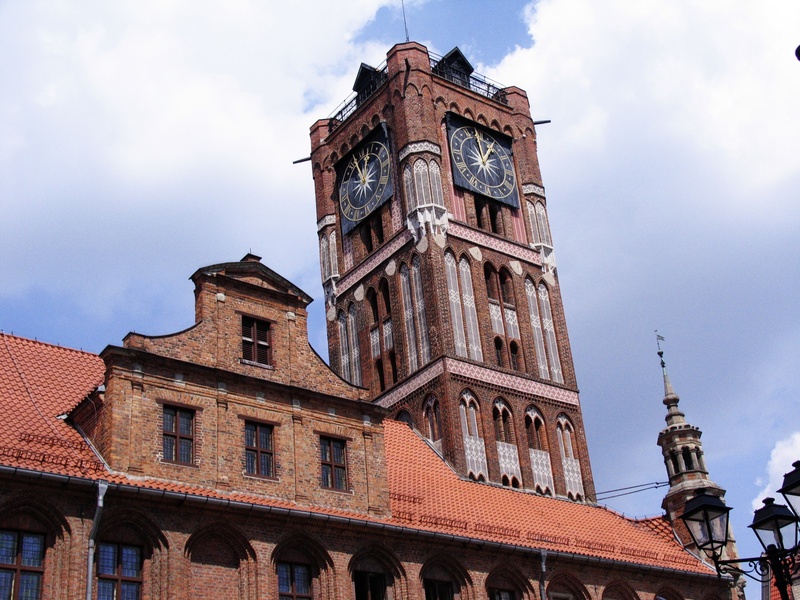 Tourists can also visit the town hall tower, which serves as a vantage point. 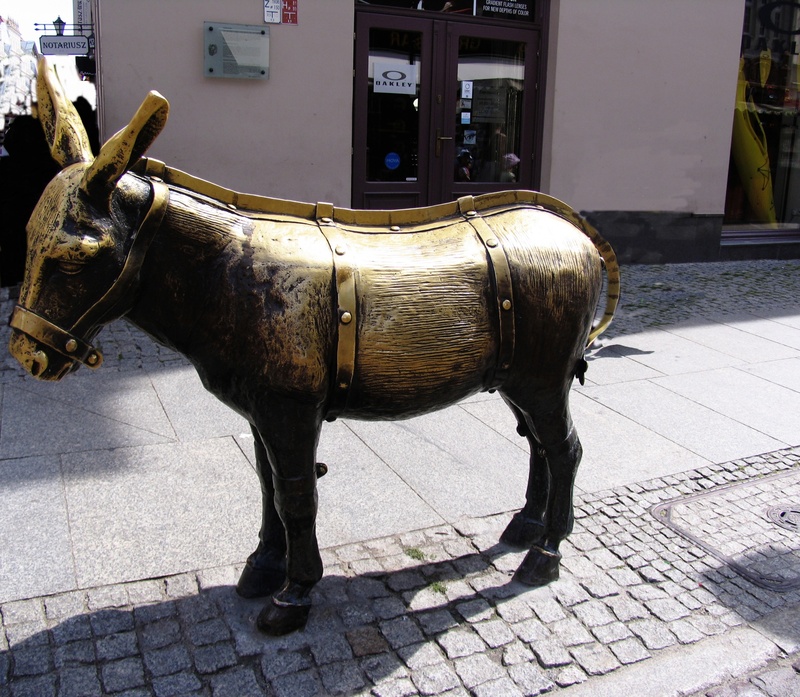 The monument of donkey refers to executing penalties for misconduct. 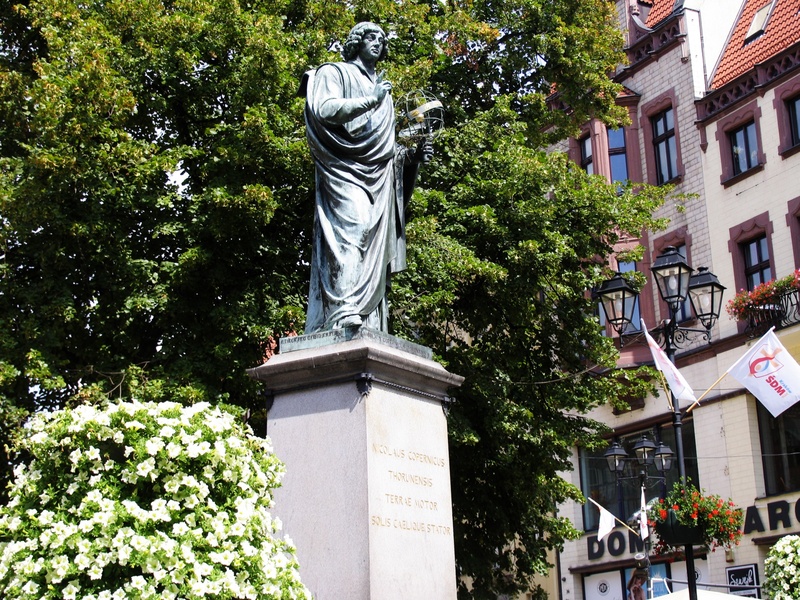 Initially from the 17th-18th centuries penalties were executed at the site of the present Nicolaus Copernicus Monument. 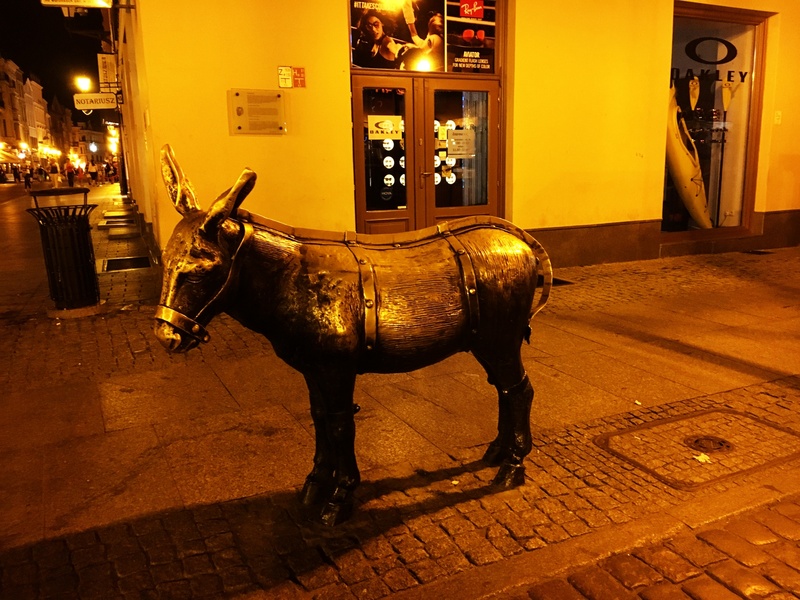 From the 17th century to the 18th century, the penalties for wayward soldiers were carried out by their seat on a wooden donkey, with its sharp metal back. For larger offenses extra weights were being attached to the legs of a sitting man. 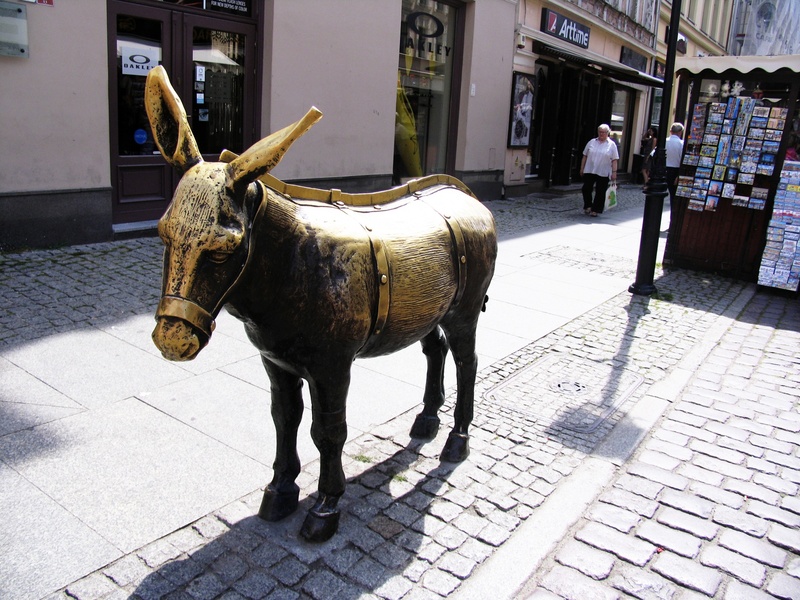 Nowadays, Donkey bronze monument, commemorating this event, is located in the old town . 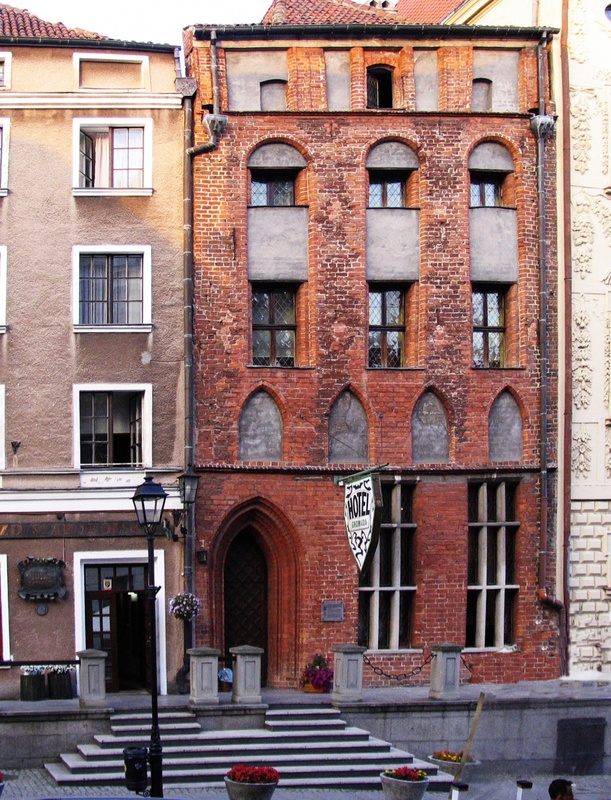 Copernicus House consists of two connected Gothic buildings from the end of the 15th century. 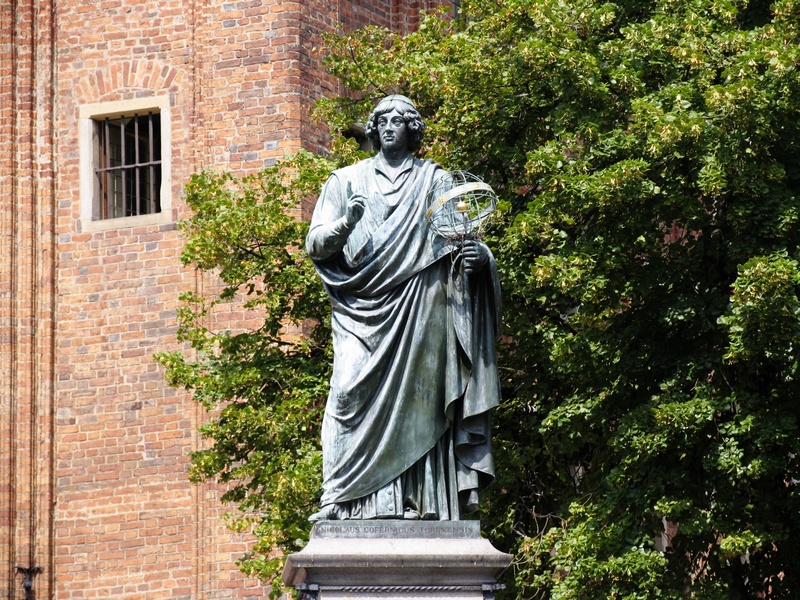 It is believed that this is the birthplace of Nicolaus Copernicus. 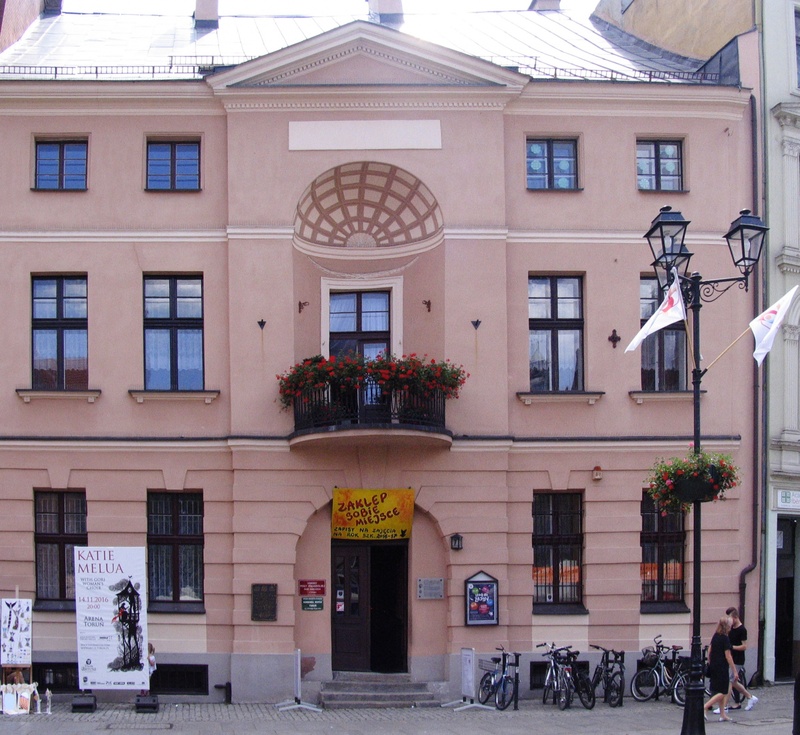 Currently, the building houses the Museum of Nicolaus Copernicus, which was founded in 1960. 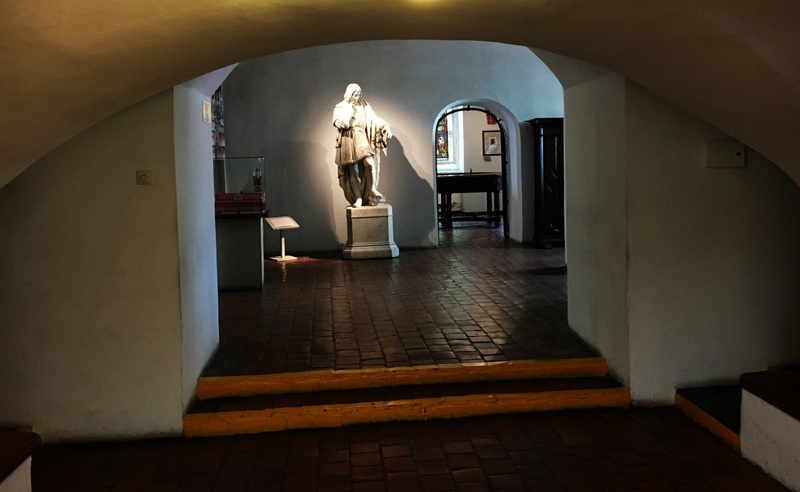 Visitors can read the biography of the astronomer through exhibitions devoted to his life and work. 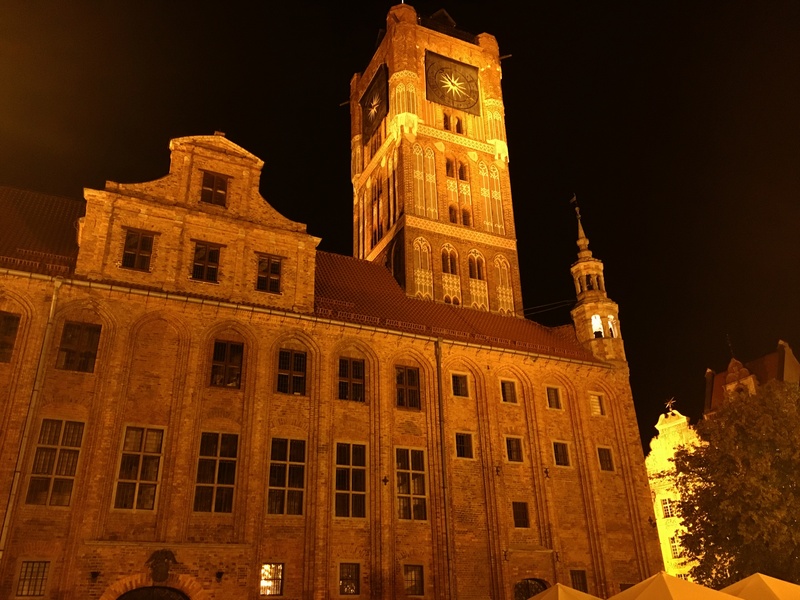 Additionally, it is possible to get familiar with gingerbread baking and see the show of light model of Torun from the late 15th century. 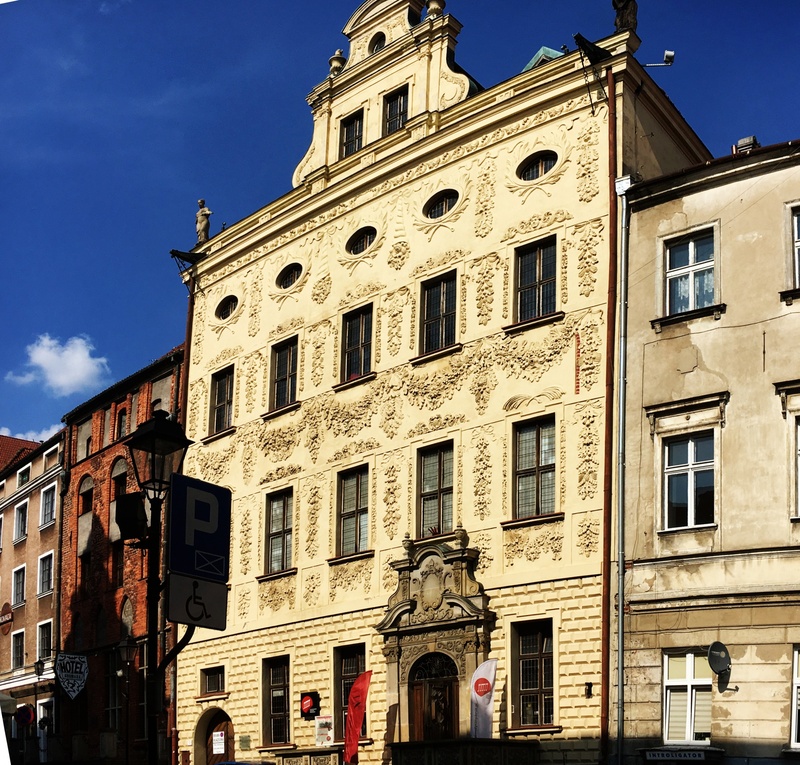 Baroque tenement house, built in the 17th century in the place of previous Gothic House, owned by Filippo Buonaccorsi-Italian humanist, Secretary of Casimir IV Jagiellon and Advisor to John I Olbracht. The name is derived from the star which is located at the top of the building. 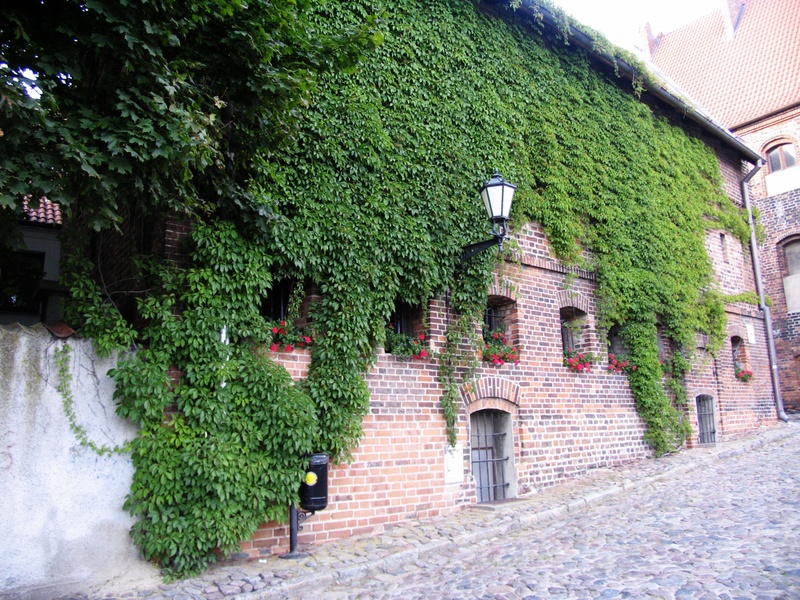 The facade of the building is richly decorated with floristic motifs. Inside there are winding stairs with the statue of Minerva and the statue of a lion. 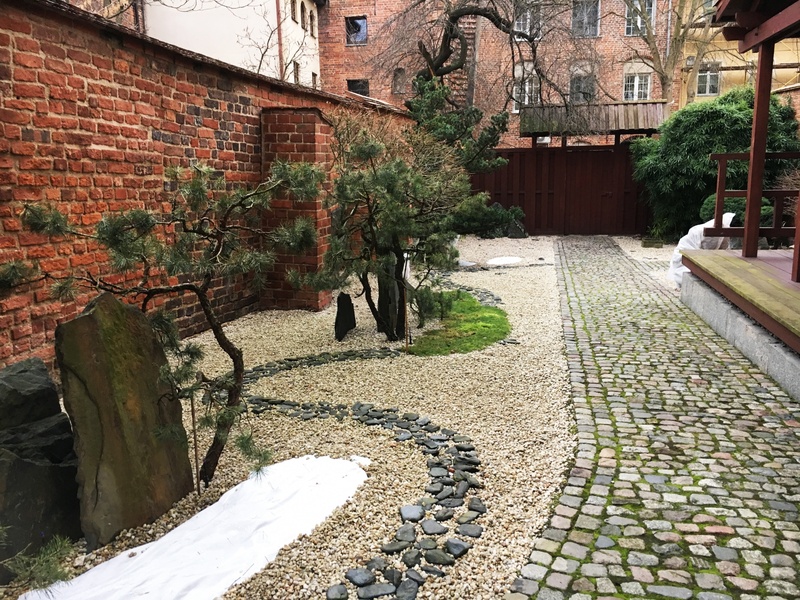 Visitors to tenement, considered as the Museum, have the opportunity to admire the exhibition "the world of the Orient", which includes monuments, inter alia, from China, Tibet, Vietnam, India, Japan and Korea donated by Tadeusz Wierzejski. 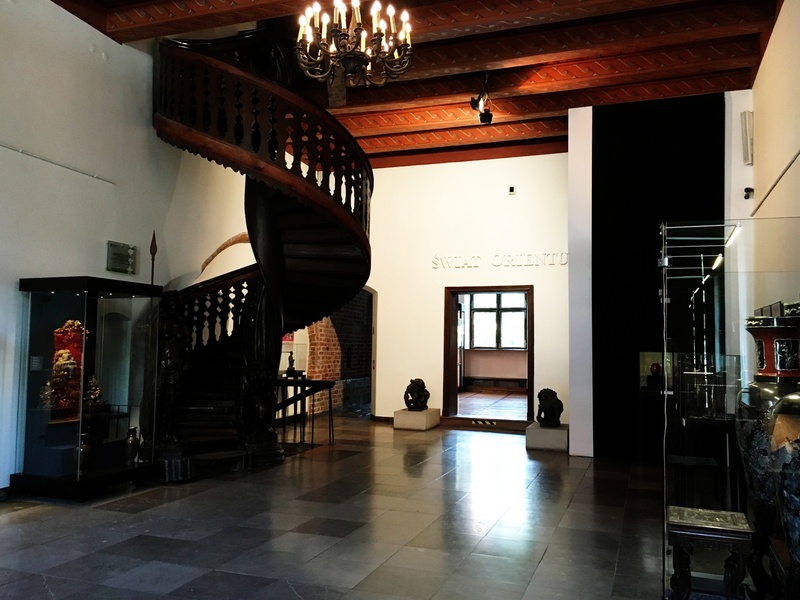 An additional attraction of the museum is the oriental garden with an area of over 200 sq. m., located in the building courtyard. 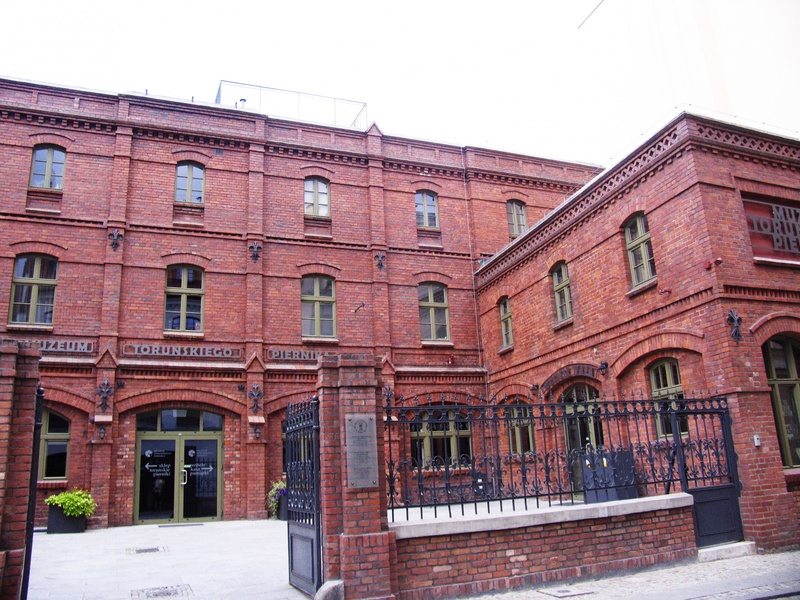 The museum was founded in 1959 in the building of the former arsenal and in the newly attached building. 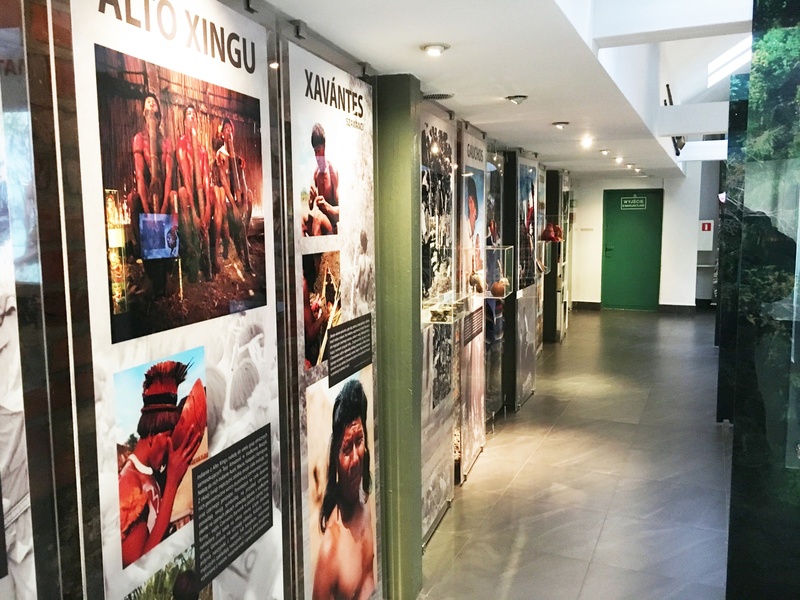 Museum exhibitions present the life of the inhabitants of different regions. Collections represent the folk and craft art, as well as fishing. The museum also includes the library. In addition, there are many audio-visual materials such as films and folk songs. The main attraction of the museum is an open-air museum with an area of 1.7 ha. 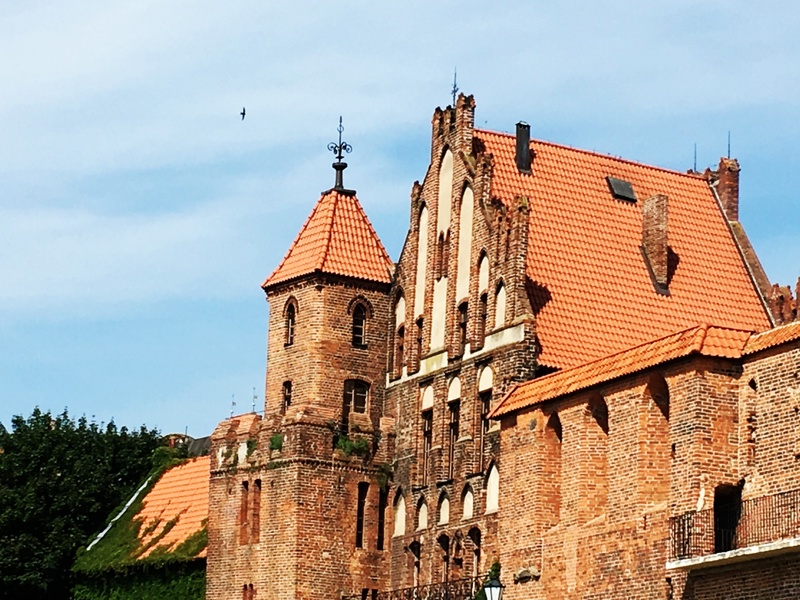 It features a beautiful facilities such as cottages from different areas of Poland, windmills, barns, mill, smithy and other landscape architectures. Visitors have the opportunity to enter some of the buildings, which are equipped with everyday items, clothing, photographs and memorabilia. 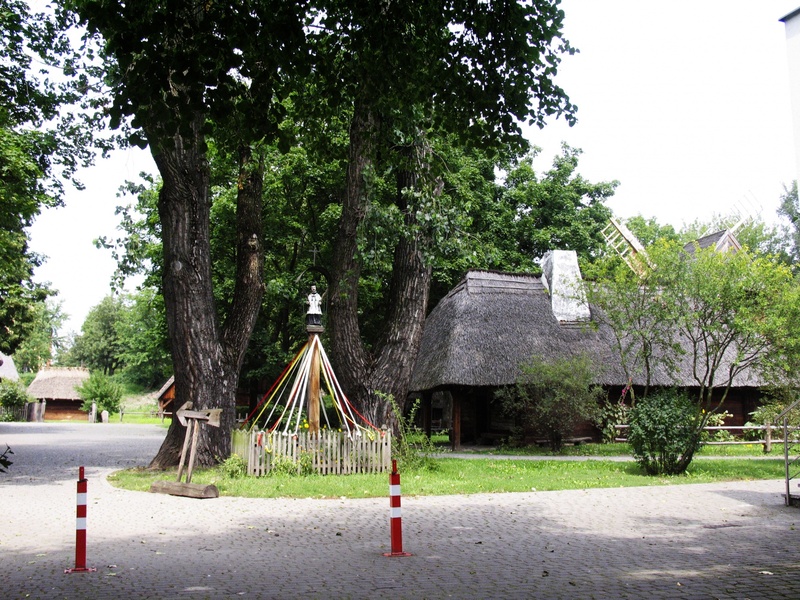 Both, the open-air museum and the bandstand, which is located in front of the museum, hosts numerous folklore events. The construction of the Centre of Contemporary Art "Signs of the Time" was launched in 2006. 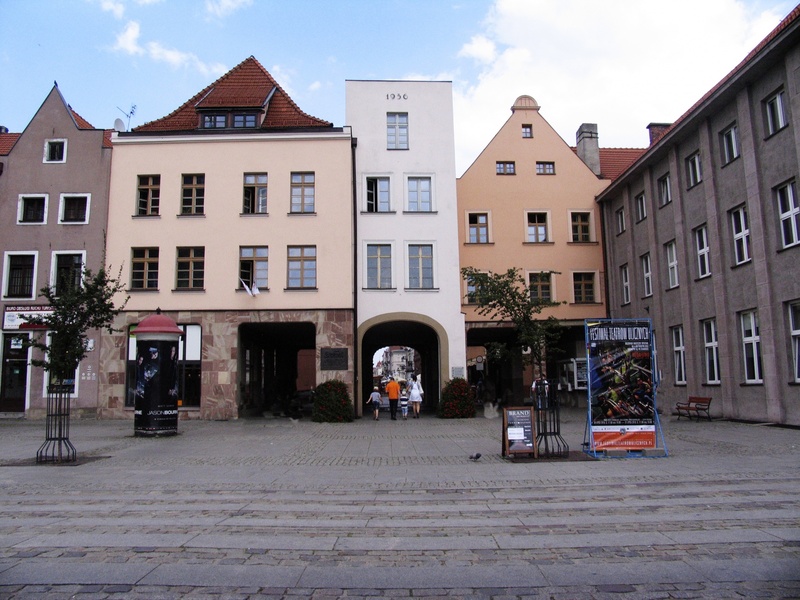 Due to proximity of the old town, designers focused on the fact that the building should refer to the historical objects and also show a modern architecture. The facility was opened in 2008 and since the beginning of its activity is engaged in the development and dissemination of contemporary art. 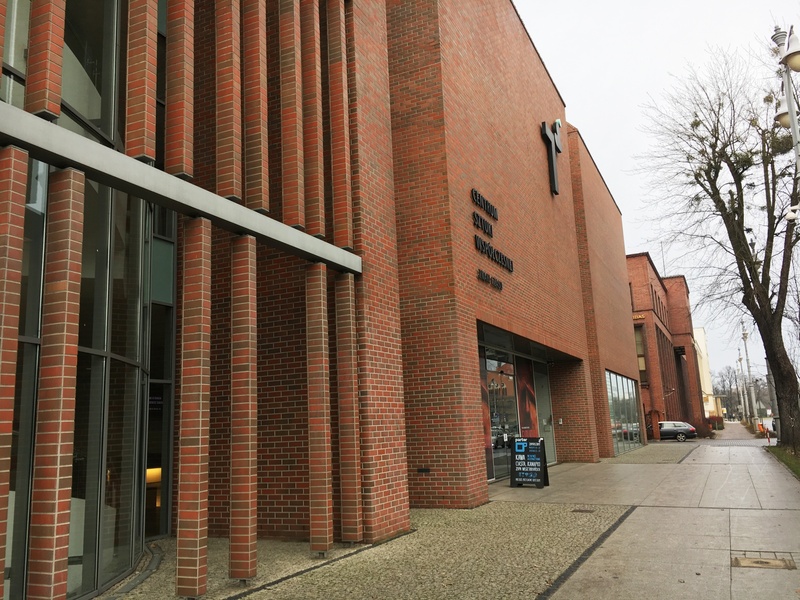 The Centre focuses mainly on the exhibition activities and education. 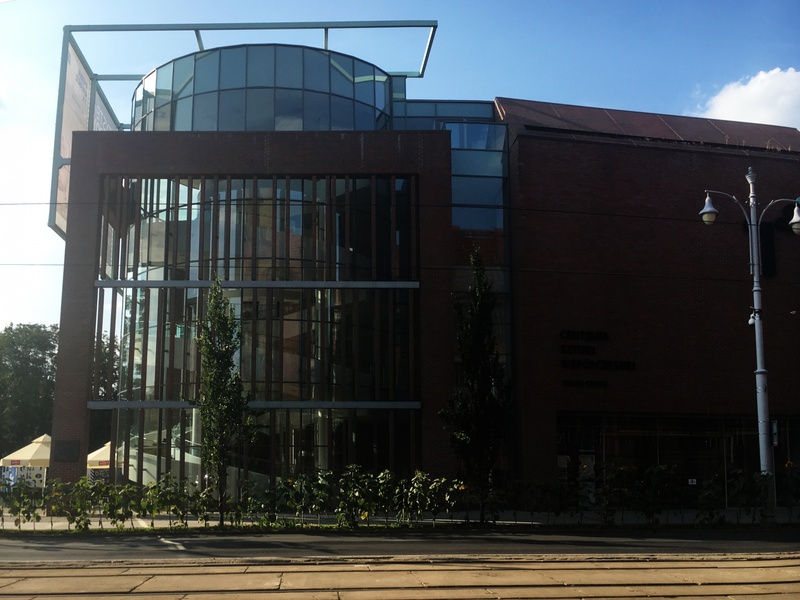 The space of the building has been adapted to the amphitheater, the library, the bookstore, the cafe, the roof terrace, office space, cinema and others. It is also a place for meetings, conferences, events and festivals. 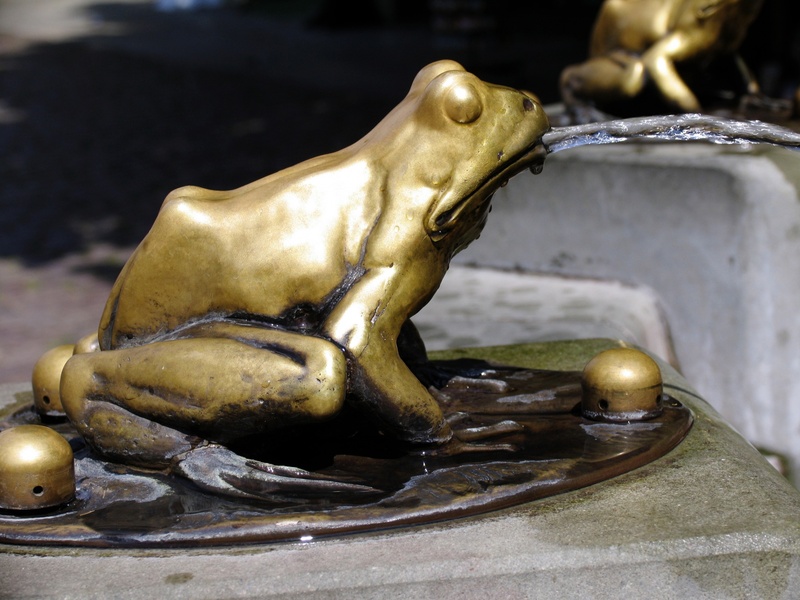 The monument was unveiled in 1914 on the well surrounded by eight frogs spouting water from their mouths. 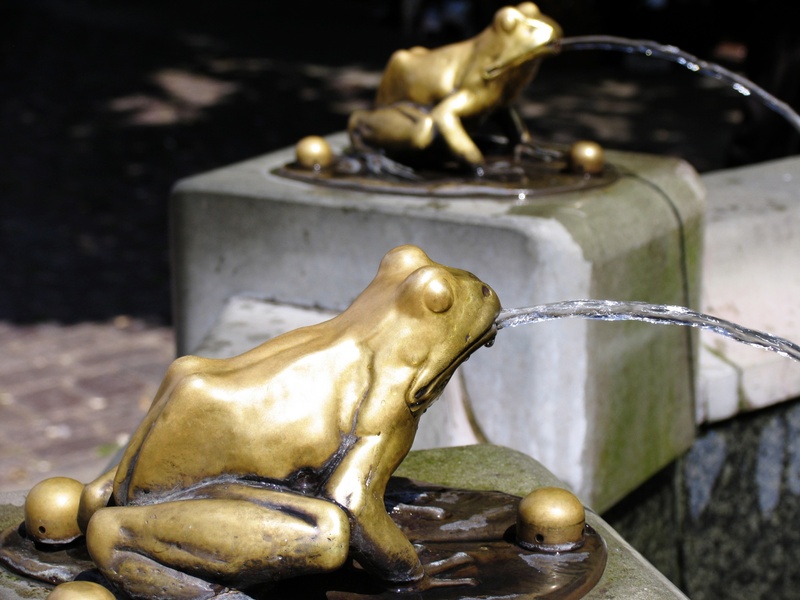 It is a proof of gratitude inhabitants of Torun for raftsman named Iwo, who rid the city of frog plague. Until the twentieth century, the poor raftsmen were engaged in the river transport of goods. 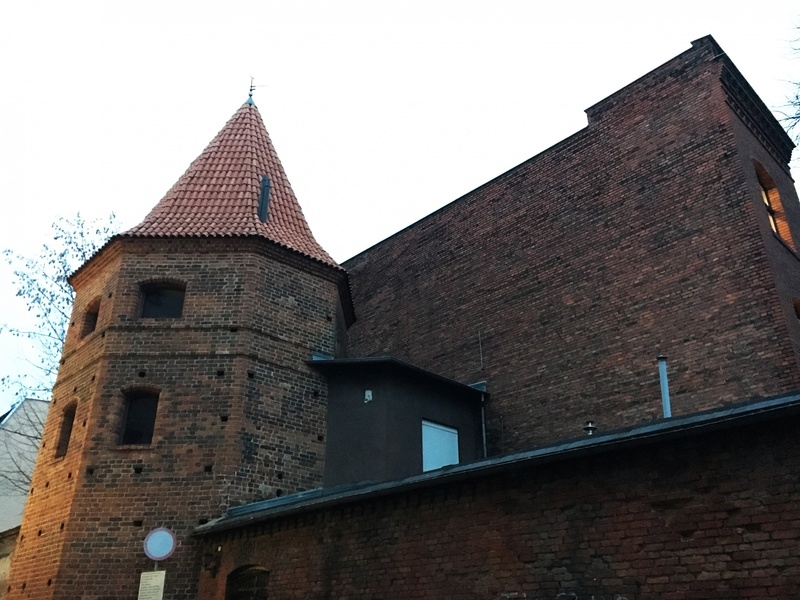 For many of them Torun was a rest place. Legend says that the raftsman Iwo while resting played the violin to earn money. Frogs engrossed in his music gathered around him and were led out through the gate Chełmińska and never returned to the town. 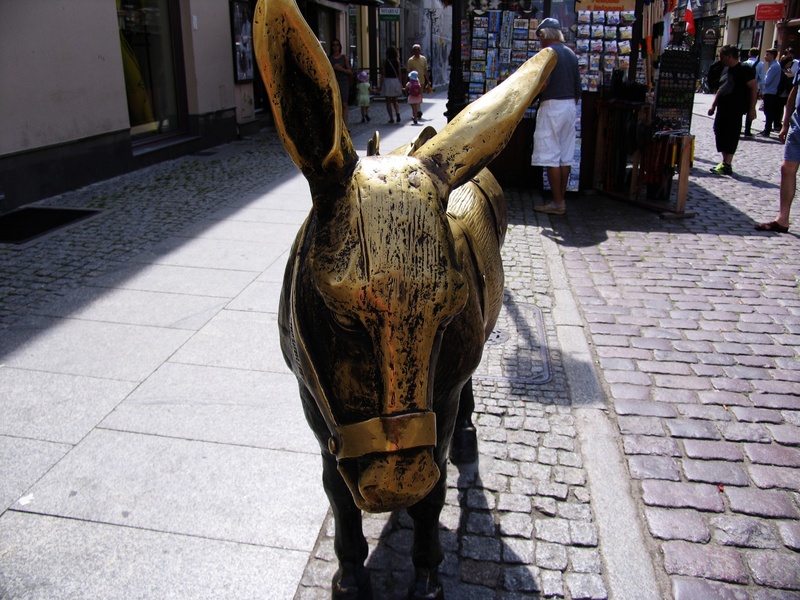 The monument was created in 1851 in Berlin, and was put in the current spot in 1853. 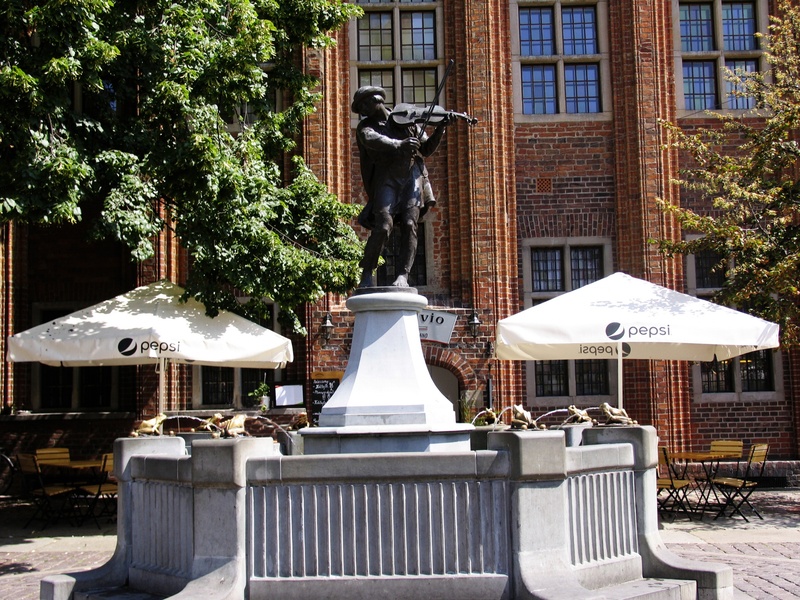 Statue with a height of 2.6 m depicting the famous Polish astronomer is placed on a pedestal, beneath which beats the well. 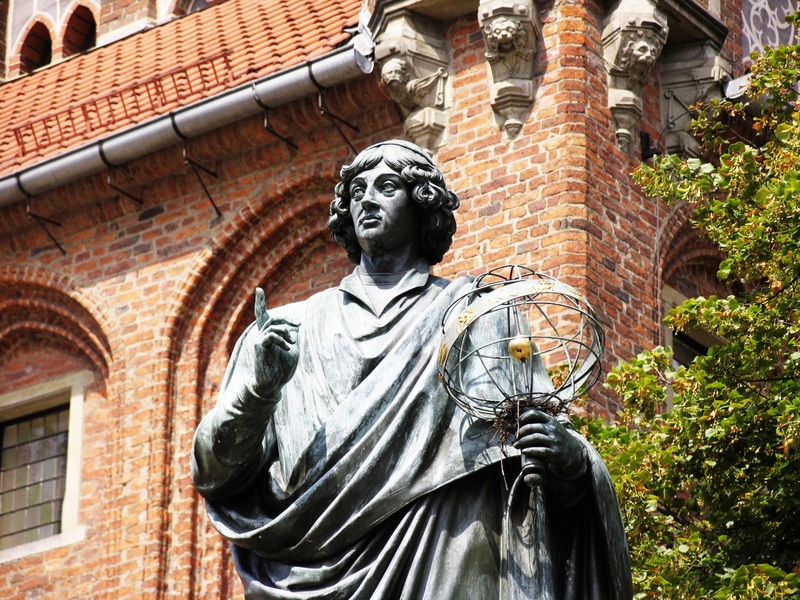 Nicolaus Copernicus is dressed in toga. In the left hand he holds astronomical instrument, his right hand points to the sky. 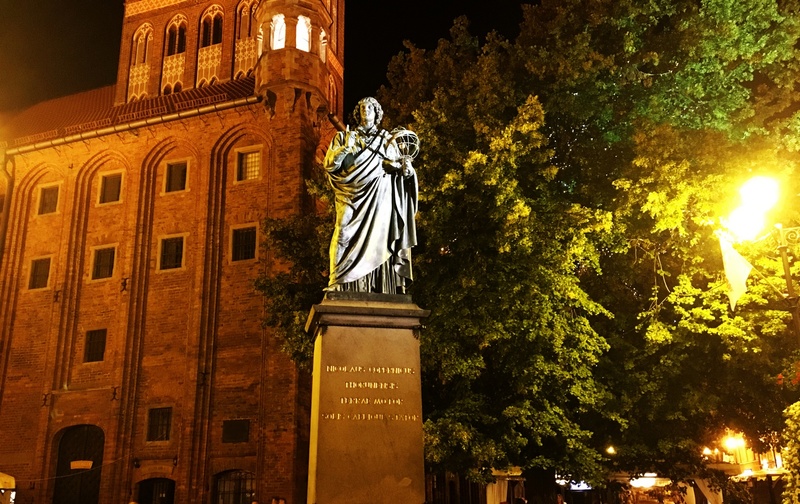 Pedestal contains subtitles in Latin such as date of birth and death of the astronomer and the date of the unveiling of the monument and the inscription: "Copernicus citizen of Torun. Stopped the Sun and moved the Earth". Currently the monument is the most common meeting place for citizens and tourists. 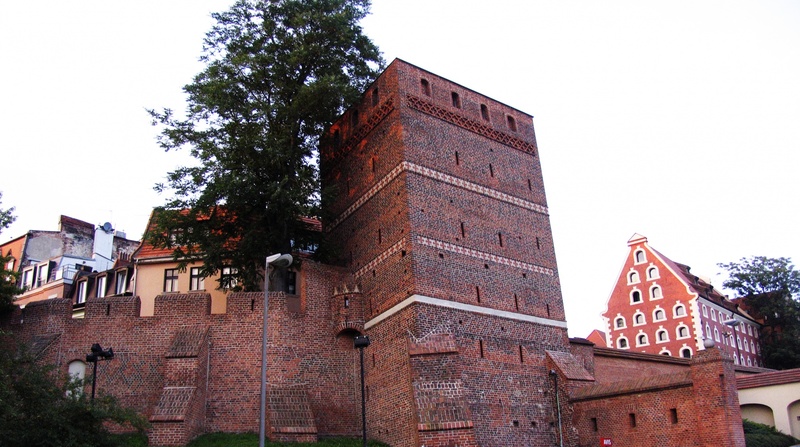 The most famous tower in Torun was founded in the 14th century. The deviation of the building is the result of unstable ground. Initially, the Tower served as a defense facility. The tower was distinguished by holes in the side walls, the porch connecting it with the defensive walls and one unfinished wall. 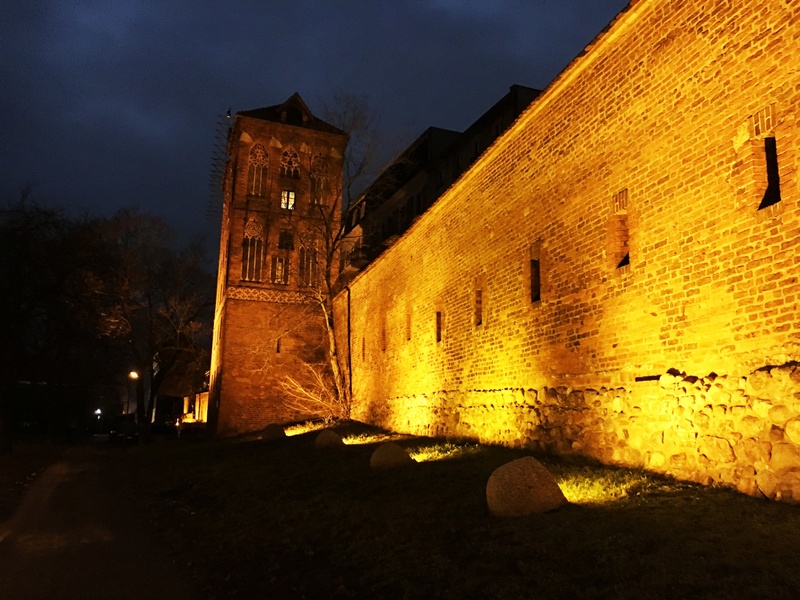 When in the 17th century, the Tower ceased to perform its function and was transformed into a prison, so far unfinished wall has been finished. 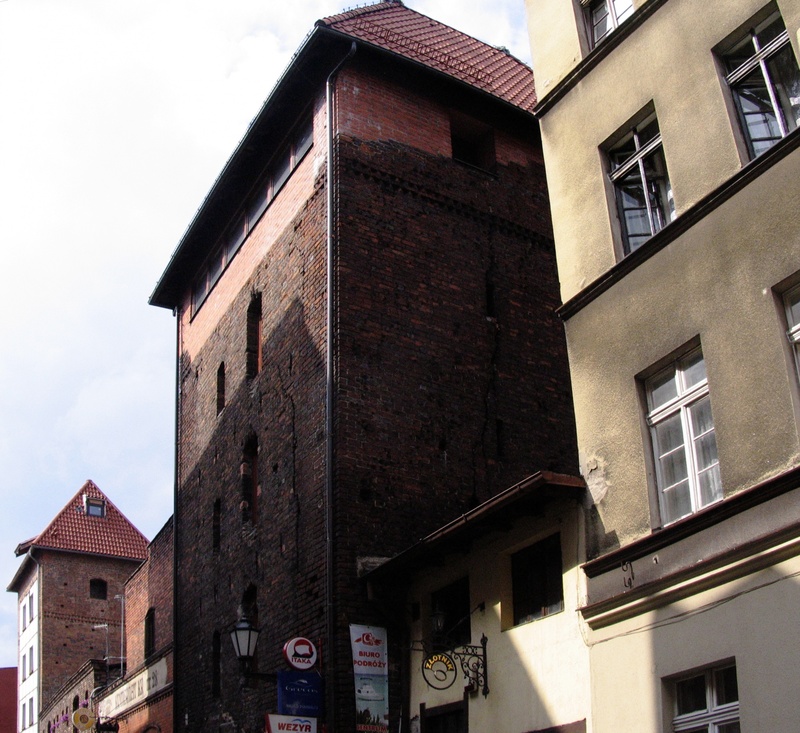 In the nineteenth century, the tower was a forge, then gained the residential function. 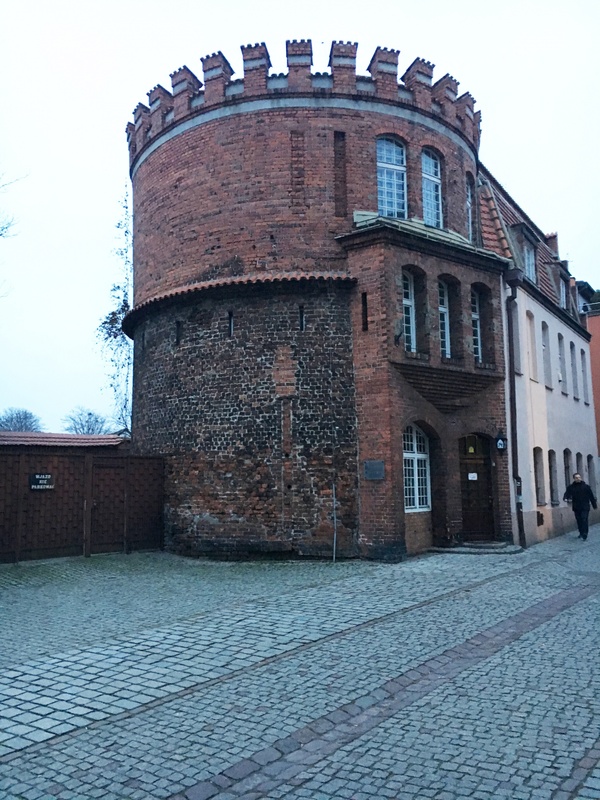 In the following years, the Tower became the seat of the cultural associations, café and gift shop. 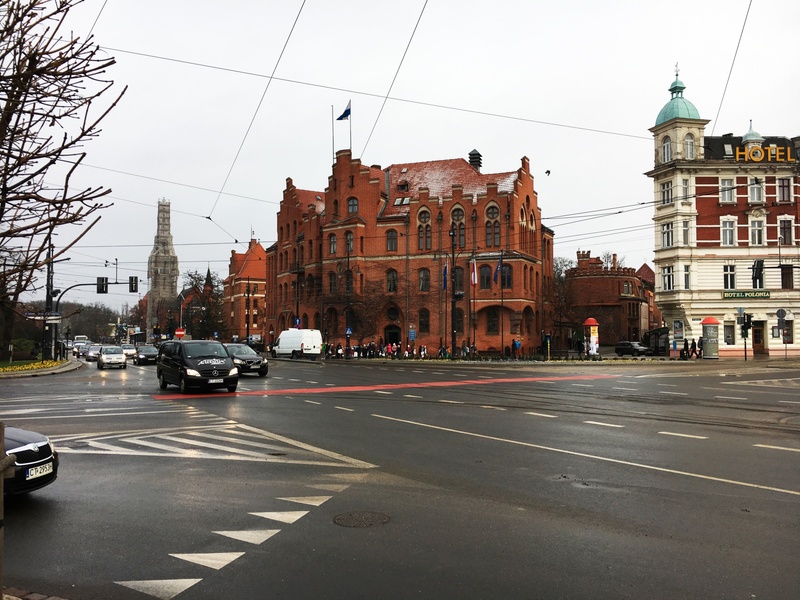 Currently, Leaning Tower hosts Torun Cultural Agency and the gallery. Philadelphia Boulevard was built in 1973 on the occasion of the celebration of Copernican Year at the site of the waterfront harbor. 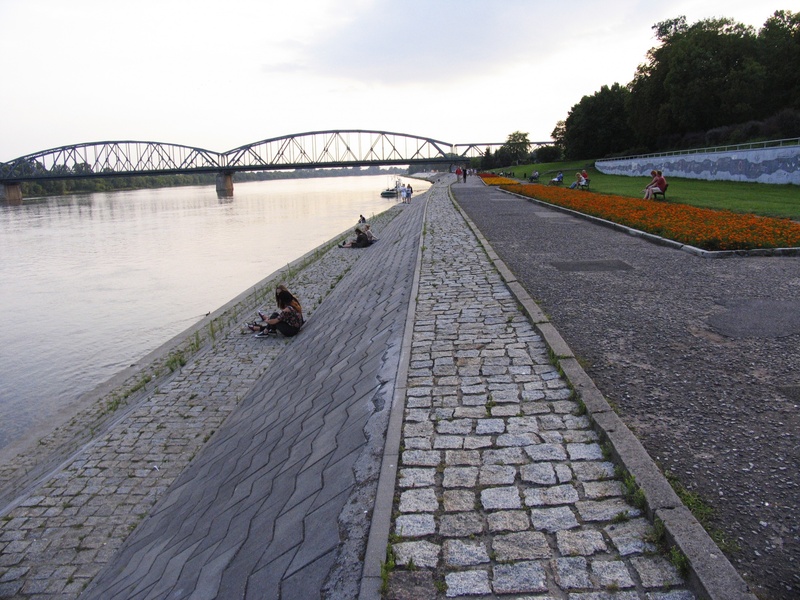 It is about 2 km long and it runs parallel to the city walls and Vistula River. In place of the current Philadelphia Boulevard, and on the waterfront old port there were devices such as: crane, unloading platform and warehouses. 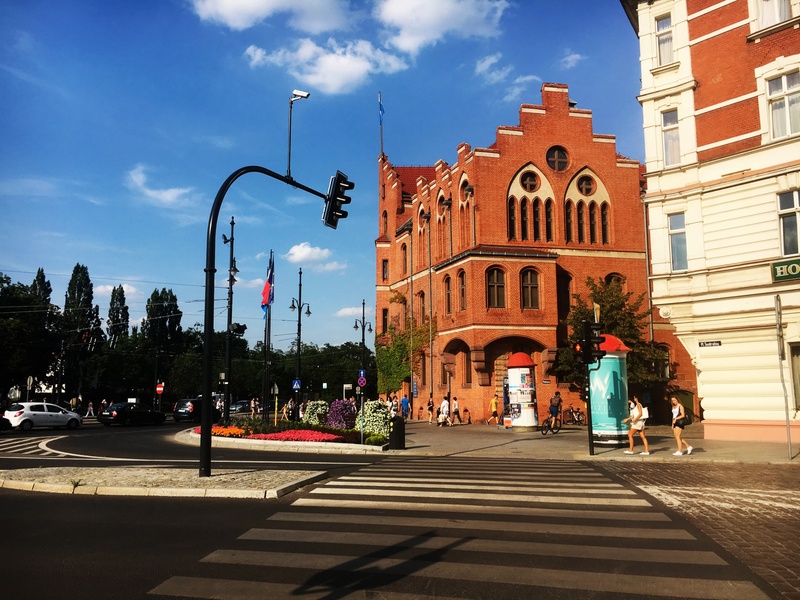 The name of the Philadelphia Boulevard comes from American City-Philadelphia, which is a partner city of Torun. 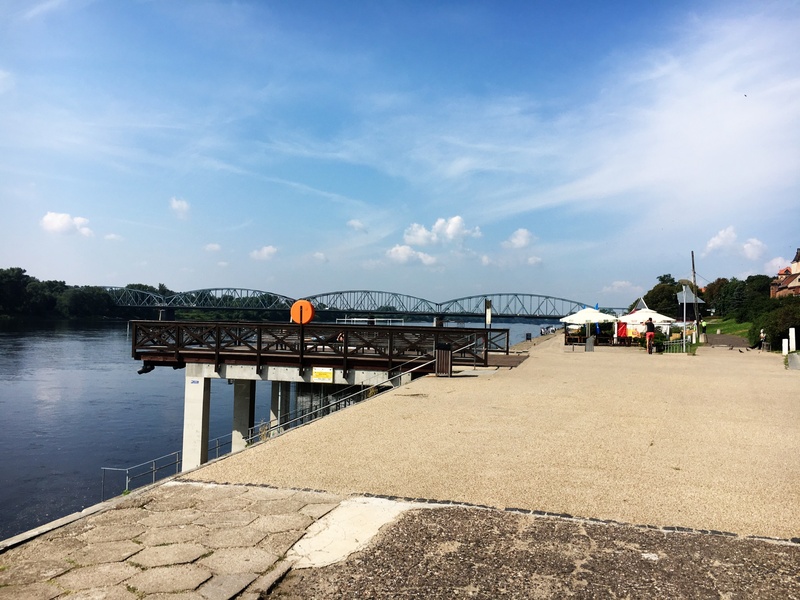 Currently, strengthened quay serves as recreational place. 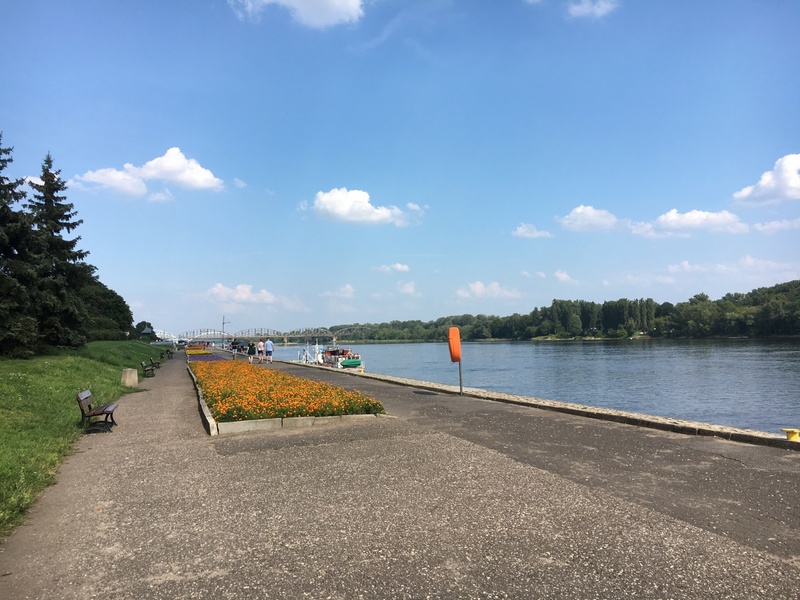 Visitors have the opportunity to not only enjoy the views of Vistula, Kepa Bazarowa, the medieval walls, towers and the ruins of the castle of the Teutonic Order, but everyone can relax or enjoy the restaurants available on moored boats. 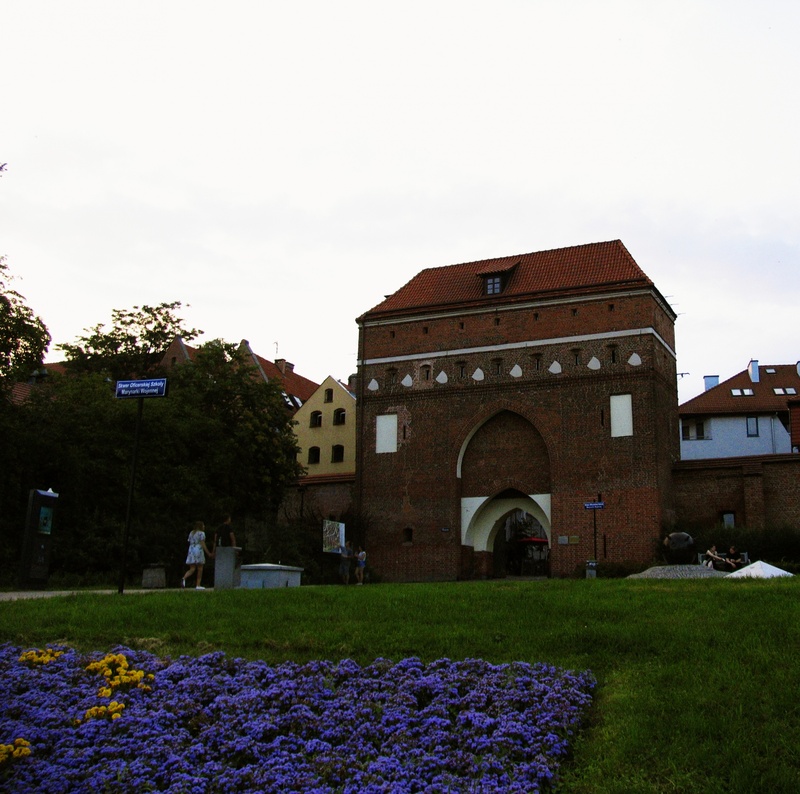 The bridge was the only bridge over the Vistula River in addition to the Krakow Bridge until second half of the 16th century. It was built in 1497-1500 entirely of wood, based on wooden spans, from which one was a bascule bar to enable sailing. Crossing the bridge was not free of charge. Fees were collected and part of them was for the King the second part was for the city. Most of money earned was spent to repair the bridge, often being destroyed due to floods and thaws. Finally, in 1877, it was destroyed by fire. 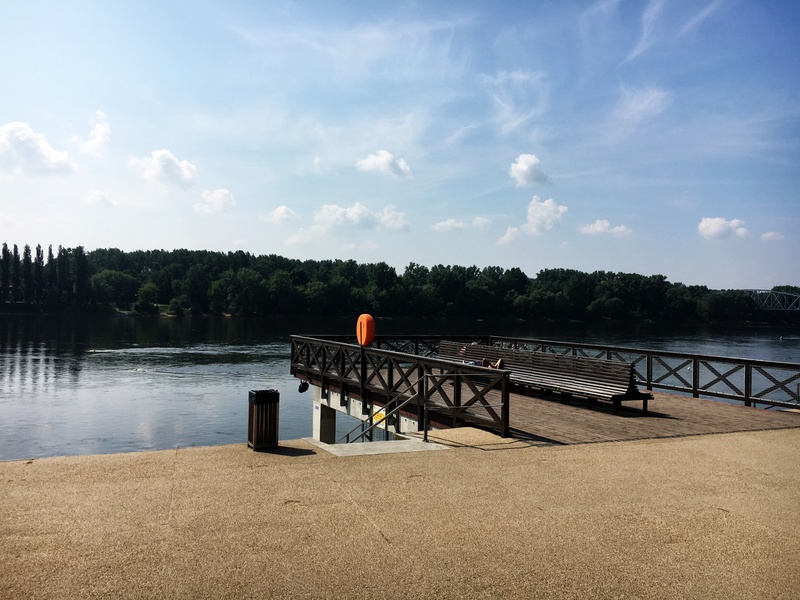 The remains of the bridge on each side of the river serve as recreational and vantage spots. 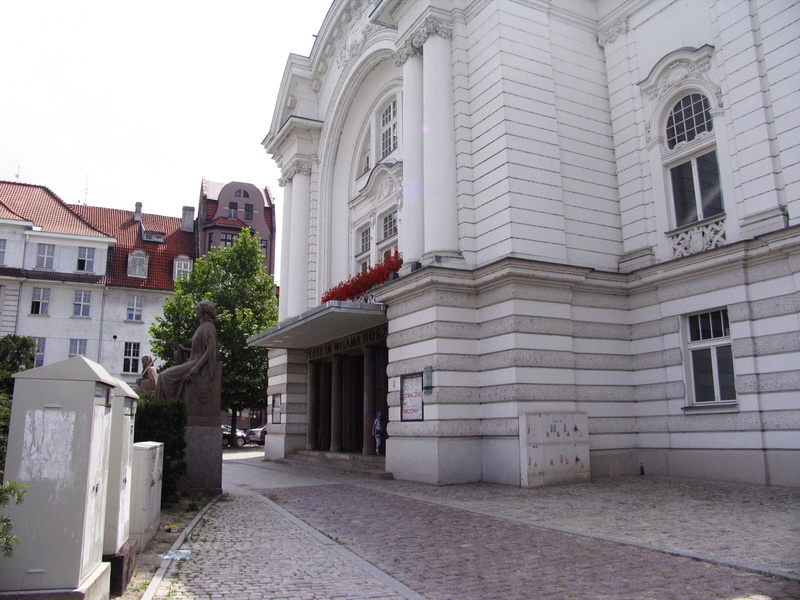 The Art Nouveau building was built in 1904 for a German theatre group. 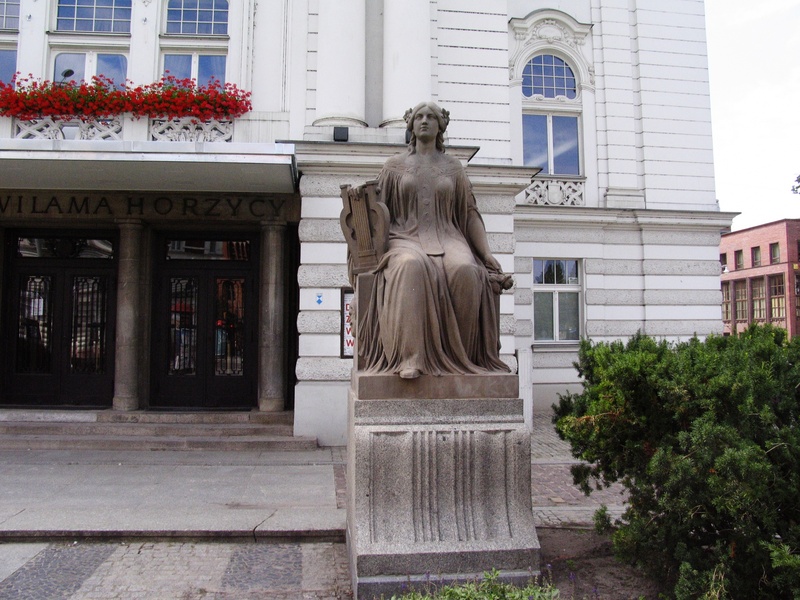 In front of the entrance in 1909 two statues were set: the Muse of tragedy- Melopomene and the Muse of dance and sing - Terpsichore. 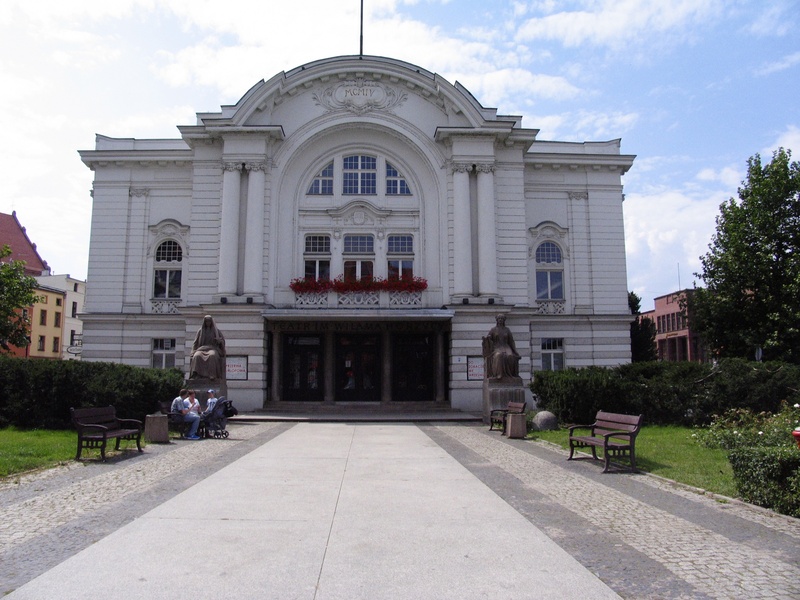 Not earlier than in 1920 the State National Theatre of Poland was opened in that building. 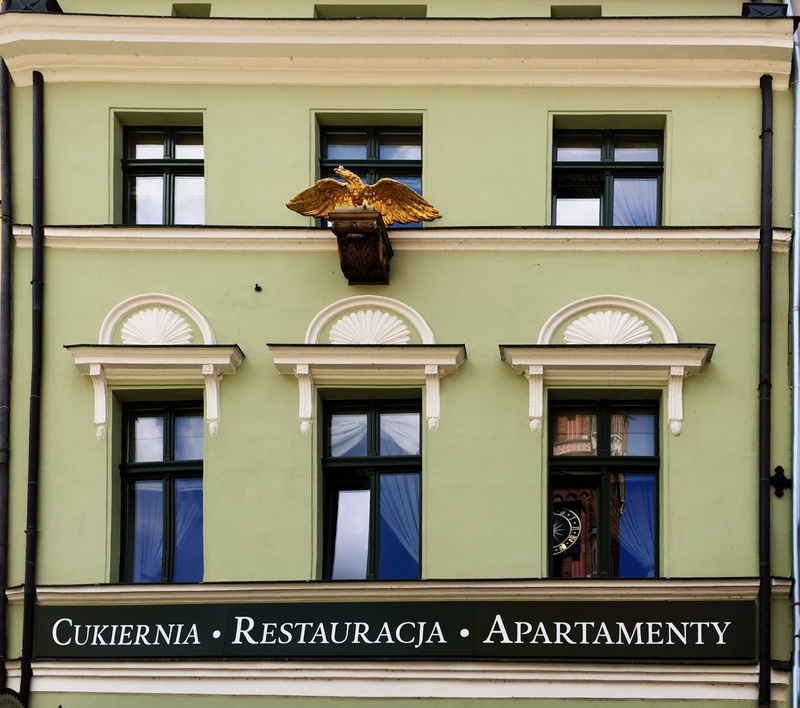 In 1941-1942, the building was simplified by removing statues of eagles and other details. 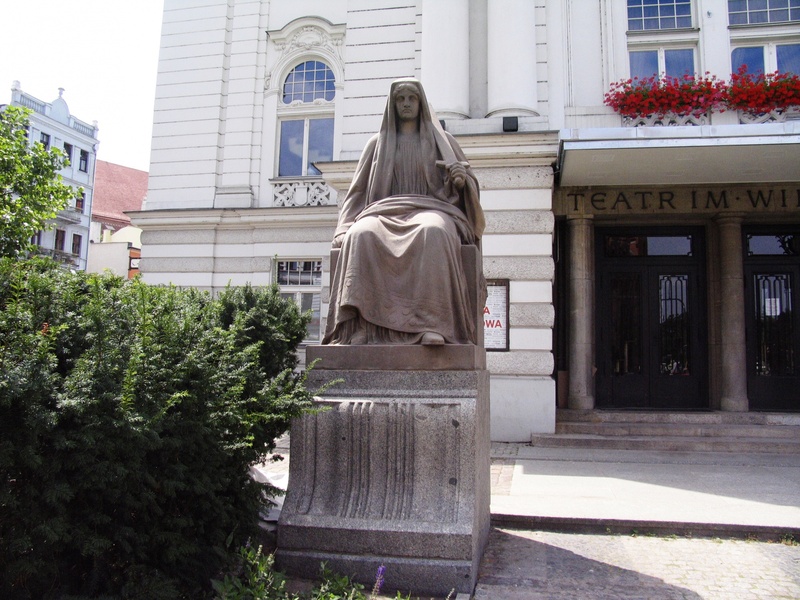 The Theatre derived its name from Wilam Horzyca who was a director from 1945 to 1948, as well as a prominent theatre critic, director, writer, and translator. 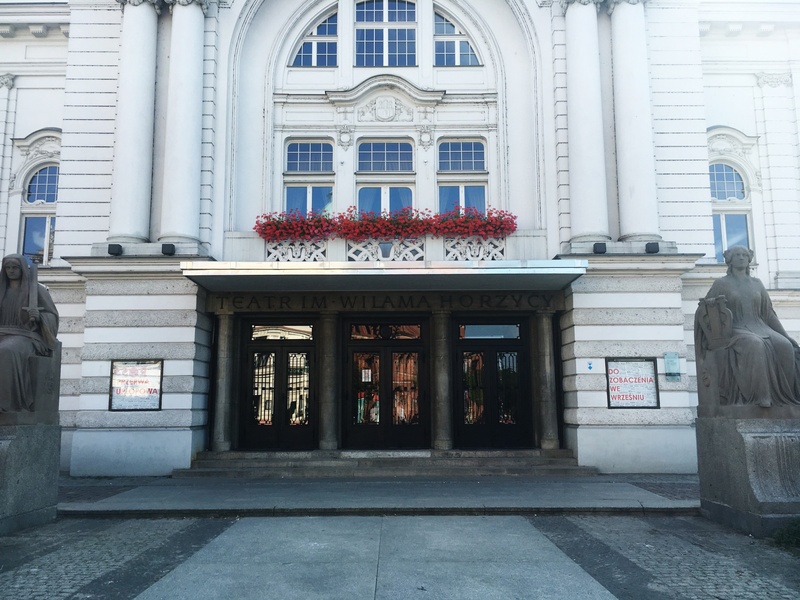 Currently, the theater exposes many theatre plays, mainly dramas. It is also the house of numerous festivals. 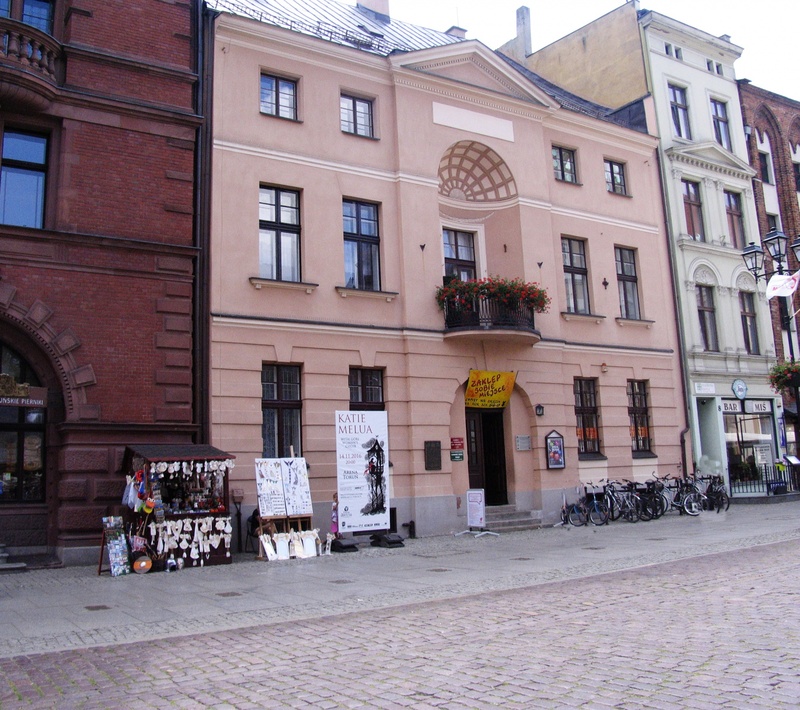 In the building visitors can find café "Wejściówka". 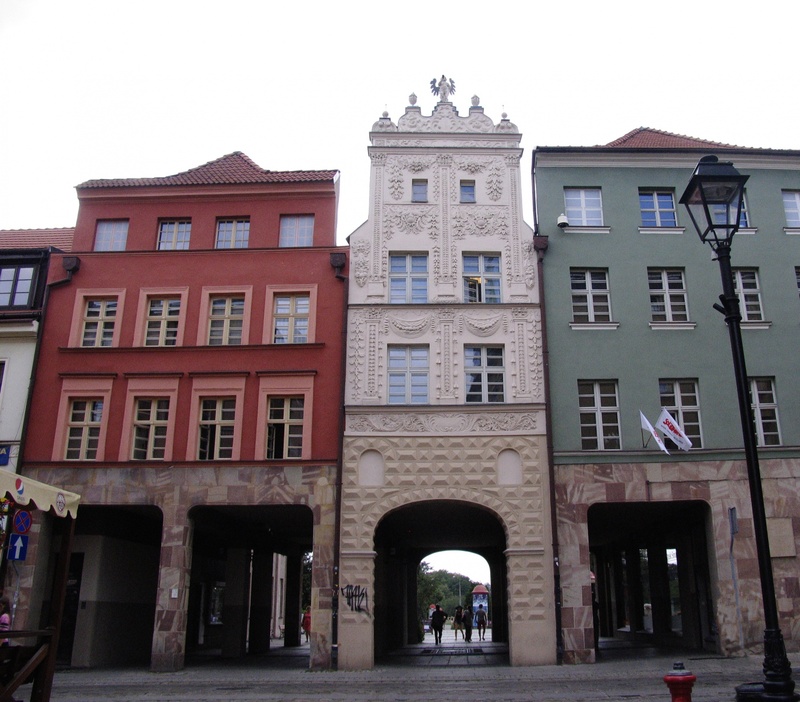 The arc of Caesar is the result of rebuilding the town house which was founded in the first half of the 18th century. 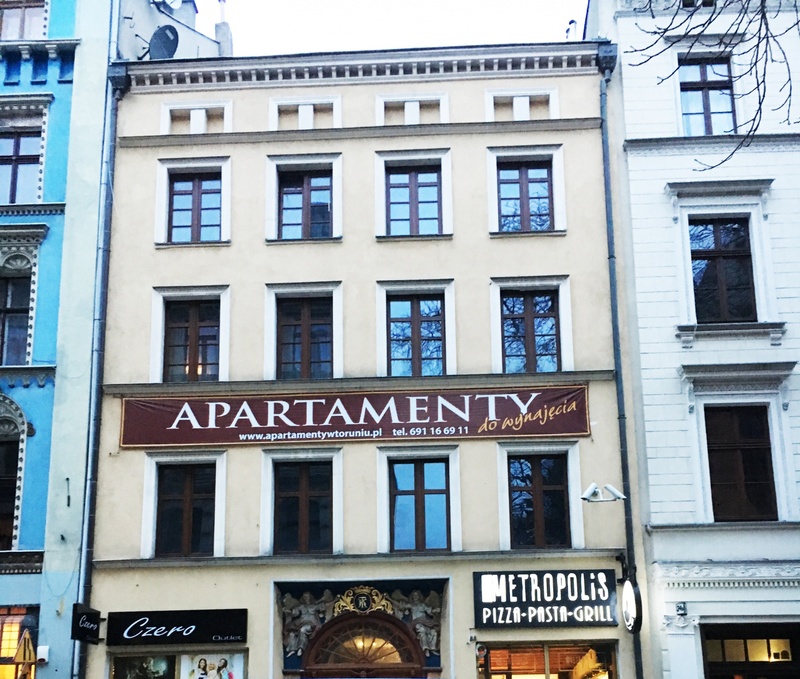 Initially, the floors of the building were used for residential purposes, while on the ground floor was a bakery. 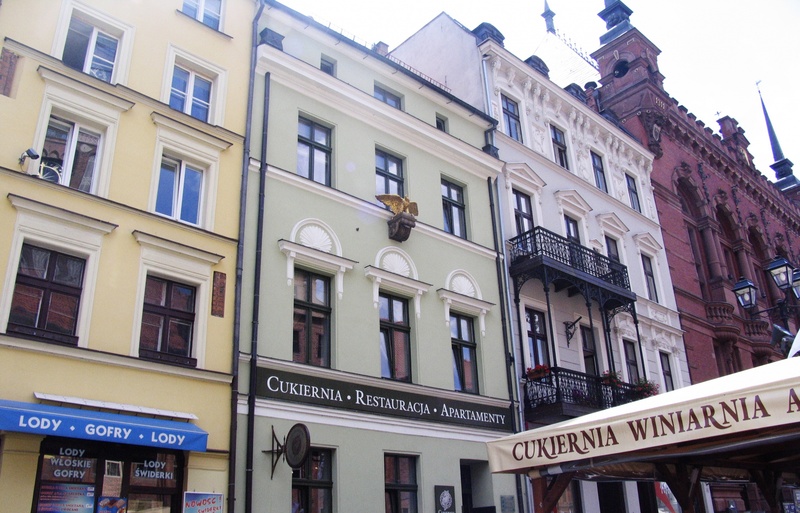 Characteristic element of the building is the Baroque statue of Michael the Archangel playing the trumpet, located on the top and appearing on each side figures, cups and metal bunting. 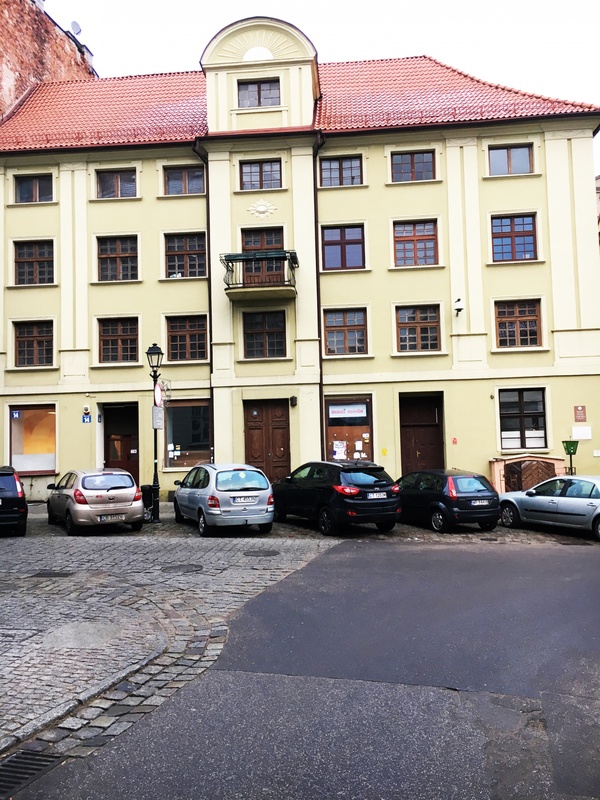 To facilitate the traffic between Old Town and Bydgoszcz Suburb in 1911, on the basis of Karl Caesar project, the ground floor of the town house was punched, forming an arc. The name of the Arc comes from the name of this German architect. Already in 1936 they launched a tram line running under the arc of Caesar, which remained until 1970, when it was discovered that the tram traffic has a negative influence on the buildings of the old town. Also car traffic was banned. Today, under the Arc of the Caesar there is a commemorative piece of track. 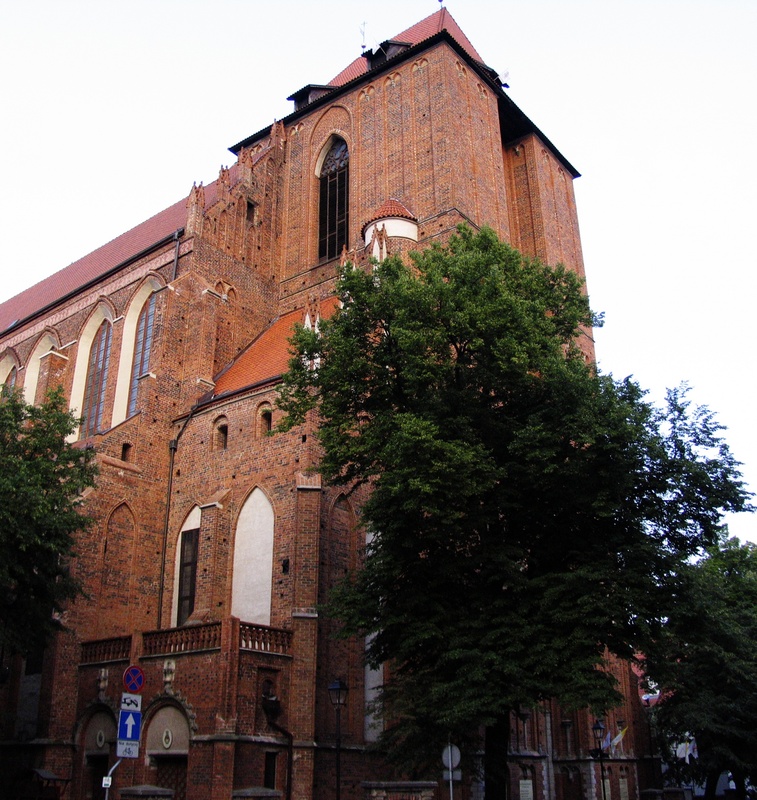 Church of the Virgin Mary was built in the fourteenth century by the Franciscans. 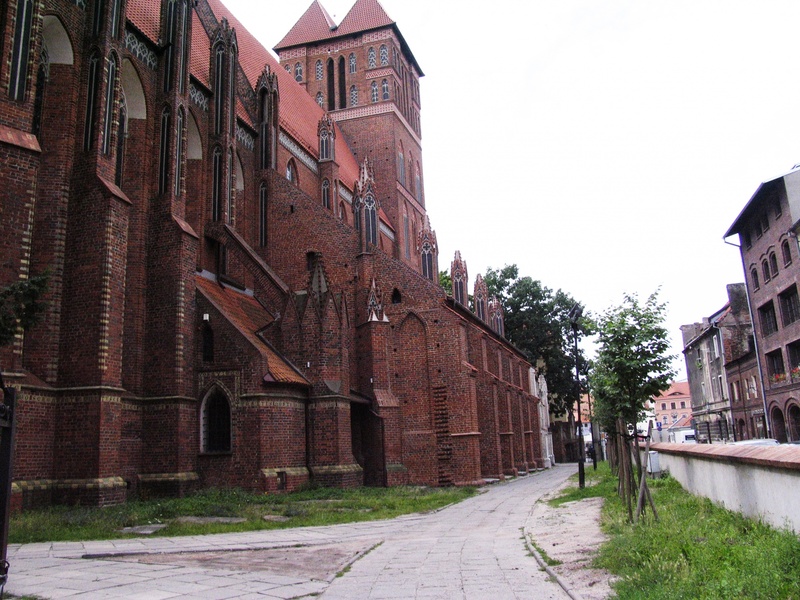 It is a Gothic three-aisled building with the adjacent monastery buildings. 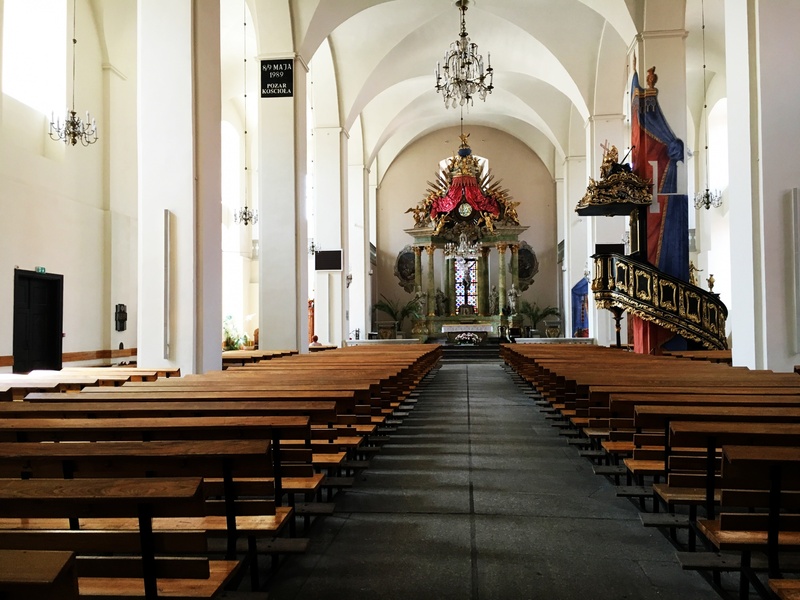 The church was abandoned by the Franciscans in the 16th century and taken over by the Protestants, while in the 18th century it came into the hands of Catholics. 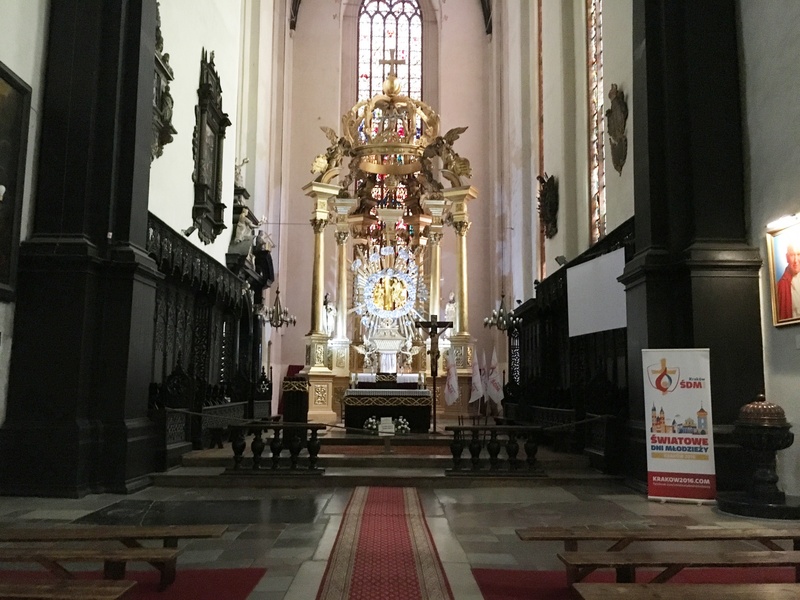 The Interior of the Church contains a lot of monuments such as the Gothic choir stalls, the mausoleum of Princess Anne Wazówna and the Renaissance church organ. 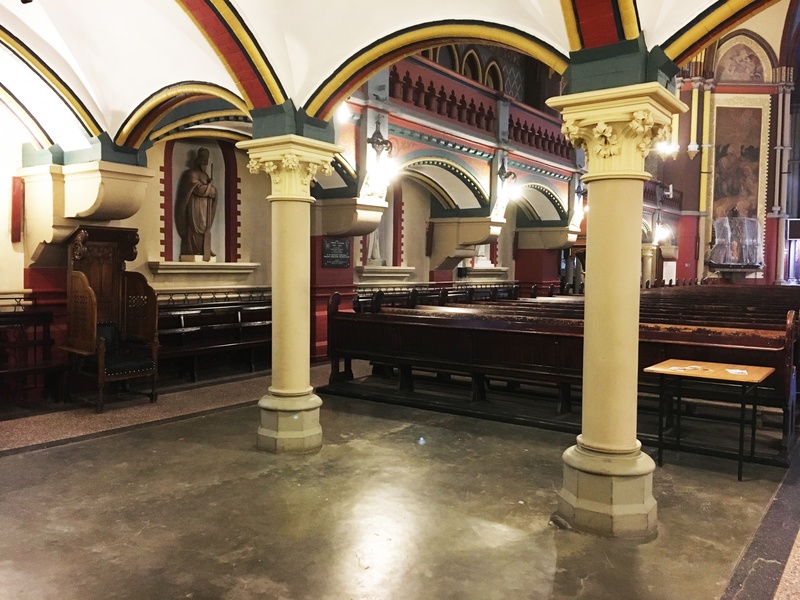 Visiting St. Mary's Church, must also pay attention to the nineteenth century stained glass windows and the pillars between aisles. 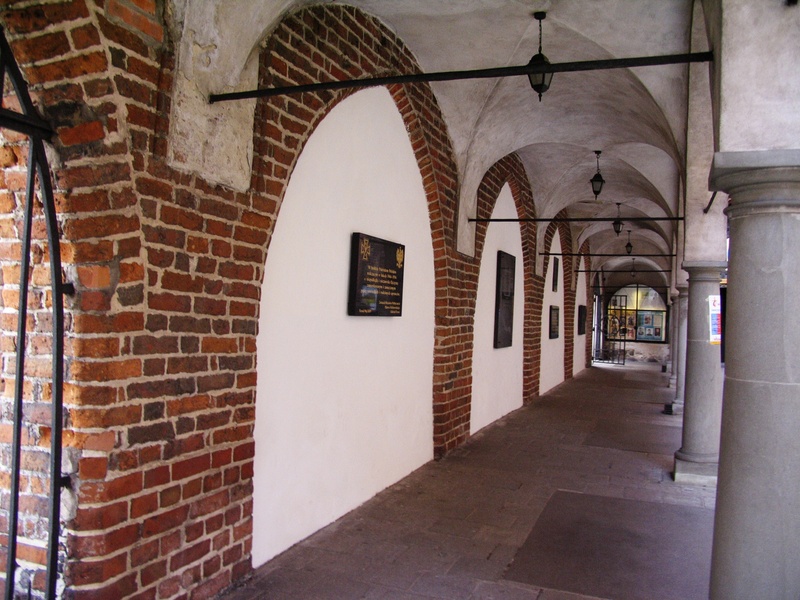 Up to date, the Gothic wall of the monastery was preserved, which, together with the gateway, creates a courtyard. 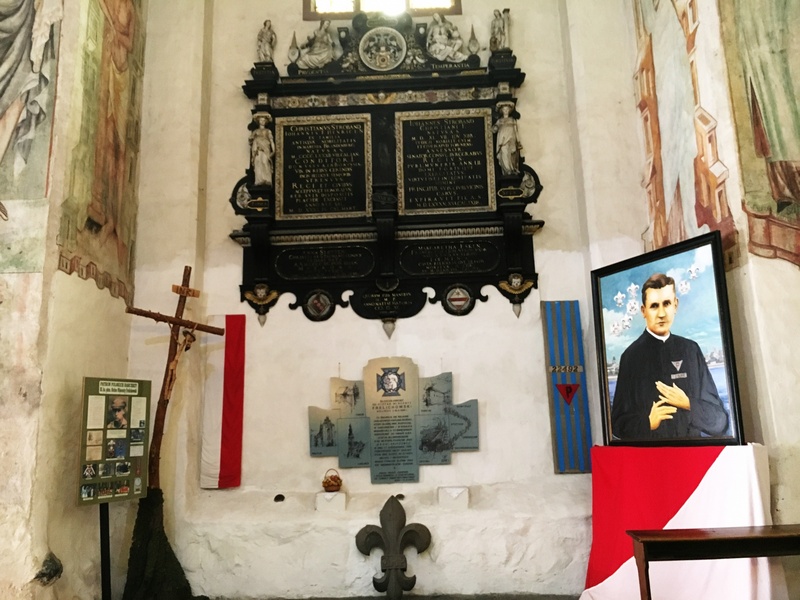 In the church there are the relics of Father Stephen Vincent Frelichowski- employee of the parish. 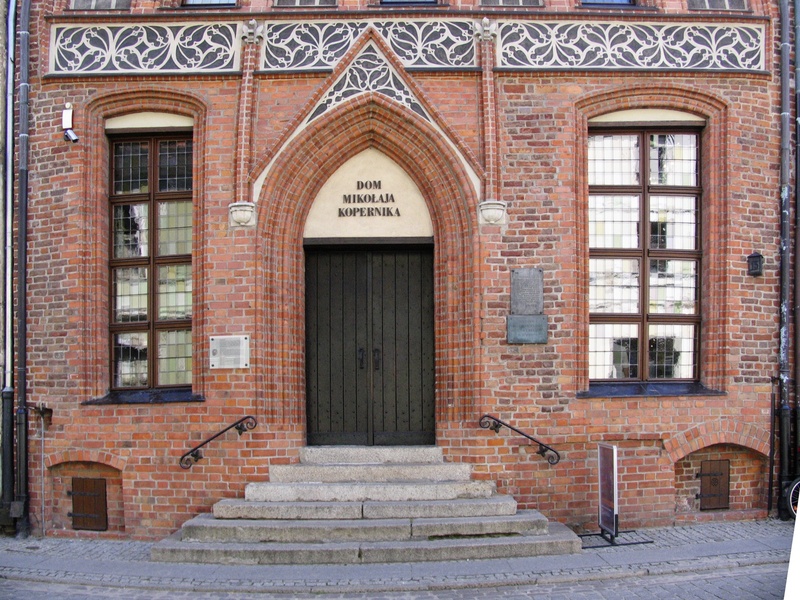 University Museum is an institution founded in 2005 and conducted by the University of Nicolaus Copernicus. 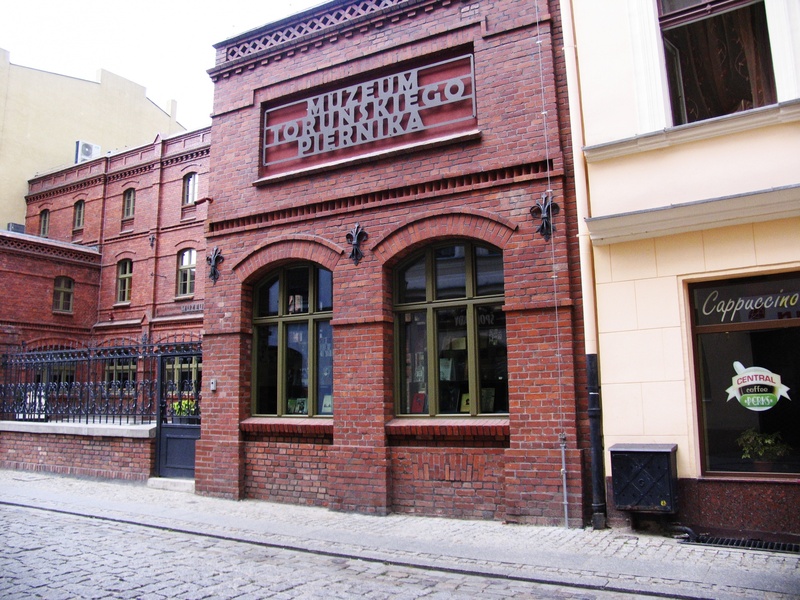 Museum exhibitions present not only the history and achievements of the University, but also numerous works of art of artists in exile in the 20th century, memorabilia from the Universities of Vilnius and items related to science and education in Torun, such as: old research equipment and scientific instruments. 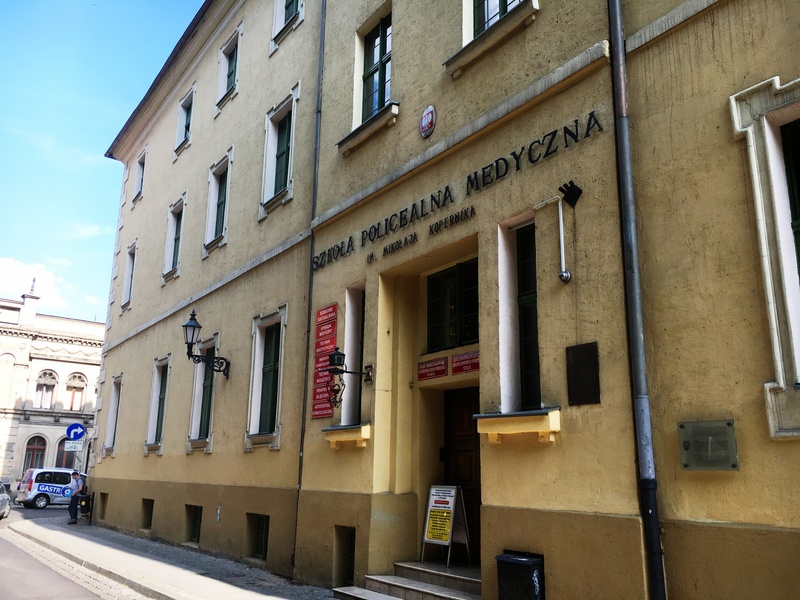 The museum also houses the Hall of Rectors, which includes portraits of rectors Nicolaus Copernicus University and their insignia. 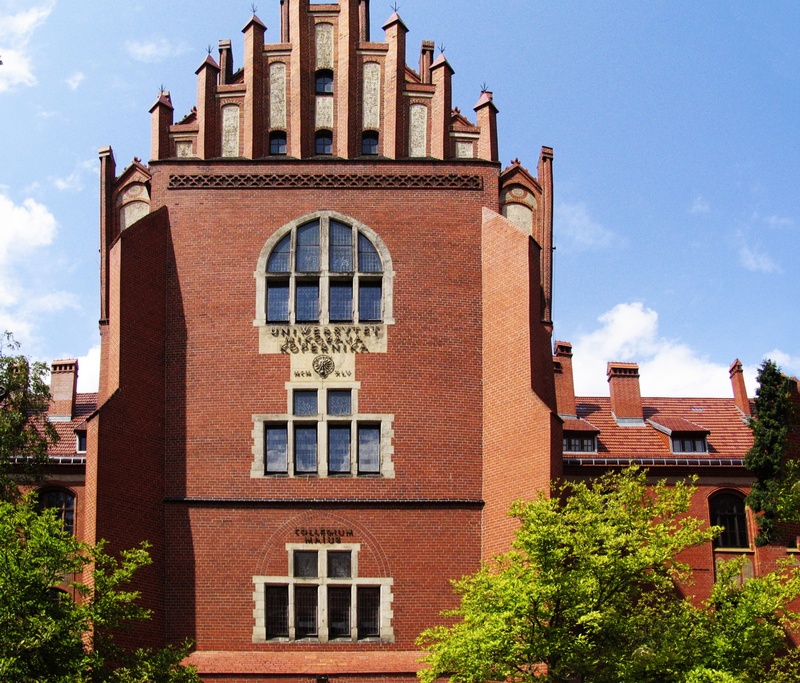 The Hall is a place where the most important University events take place. In addition, the museum conducts research. 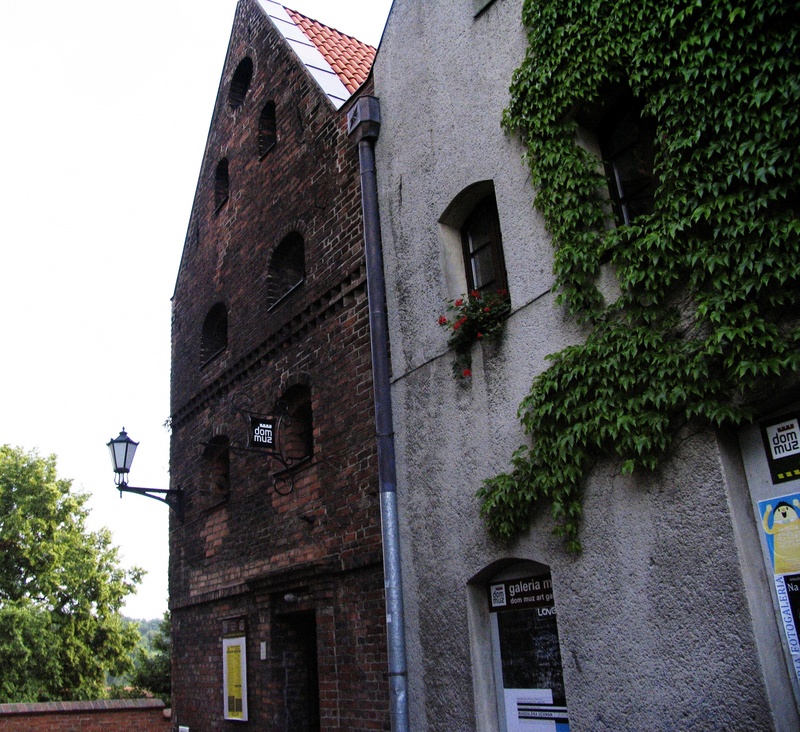 Granary was built in the first half of the 17th century. 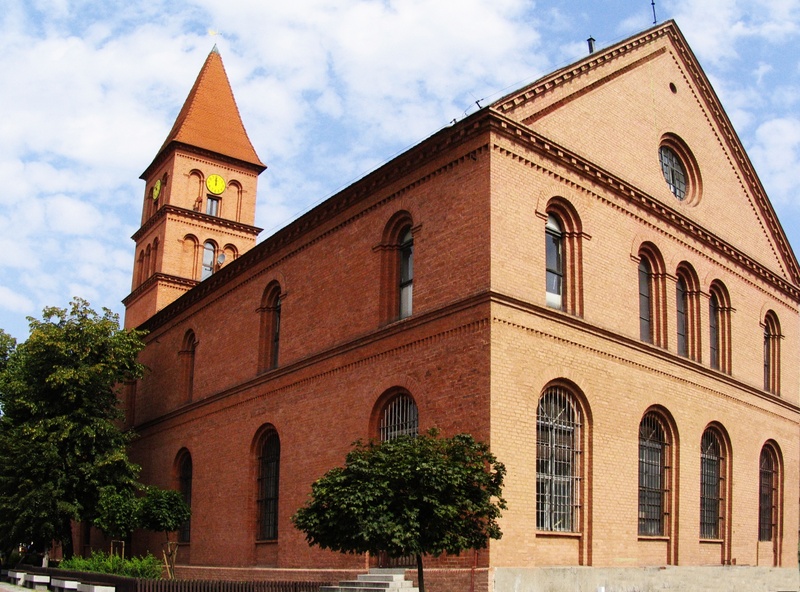 The building was built of brick, since initially it served as a warehouse. It stored mainly grain, of which remind granary' windows of white garnishing, which look like a sack of grain. Stored goods were used for bakery and trade. 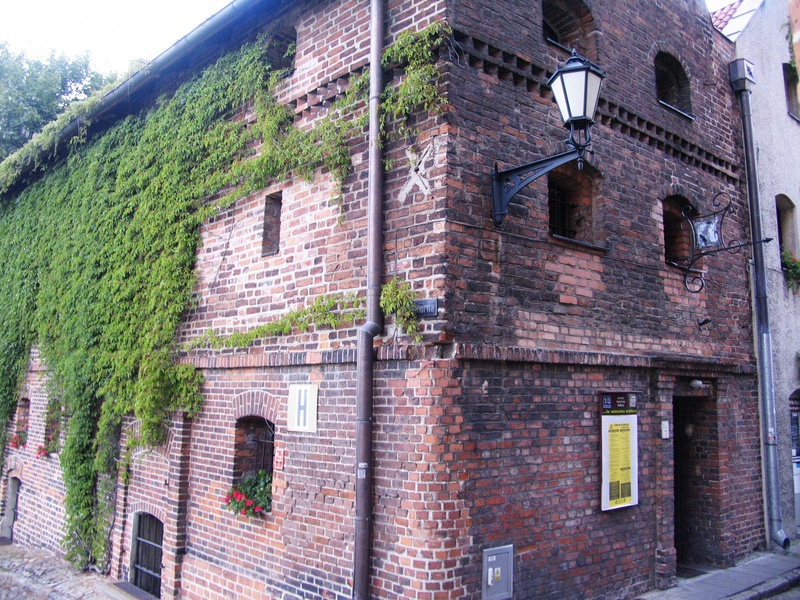 Currently, the granary is one of the thirty buildings that have survived to this day. Granary was built in the late 13th century. Initially it served as a storage of grain, which in those days was so plenty that it was not possible to accommodate. 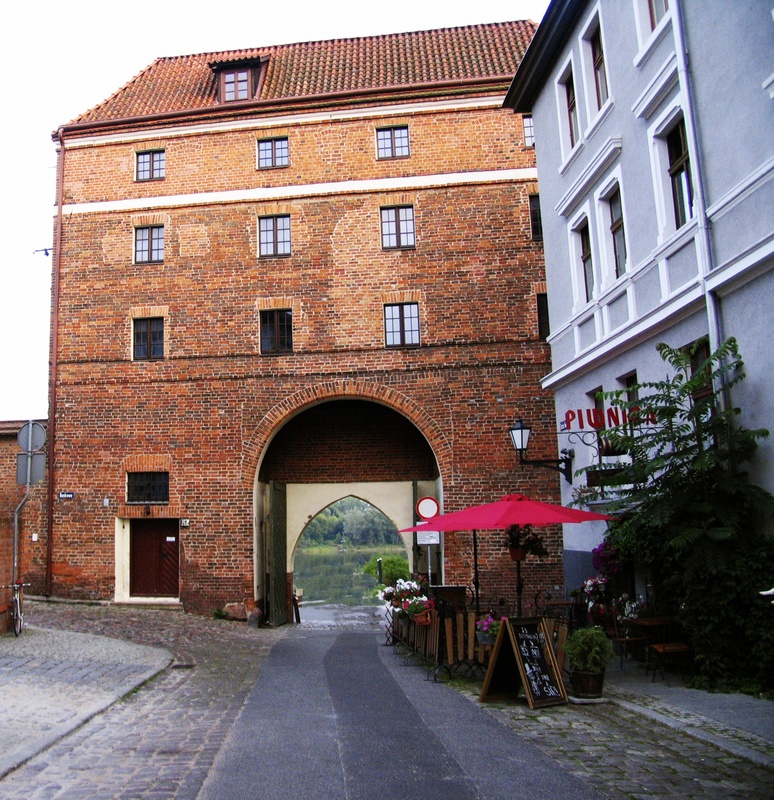 In the nineteenth century granary was rebuilt and then served as a residential place. 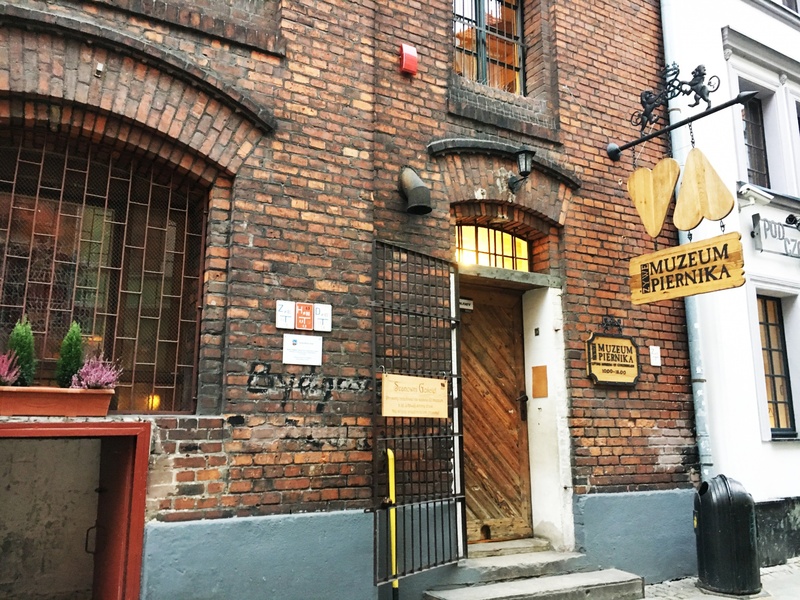 After World War II, it housed an electric workshop. Today, the building has a cultural function. 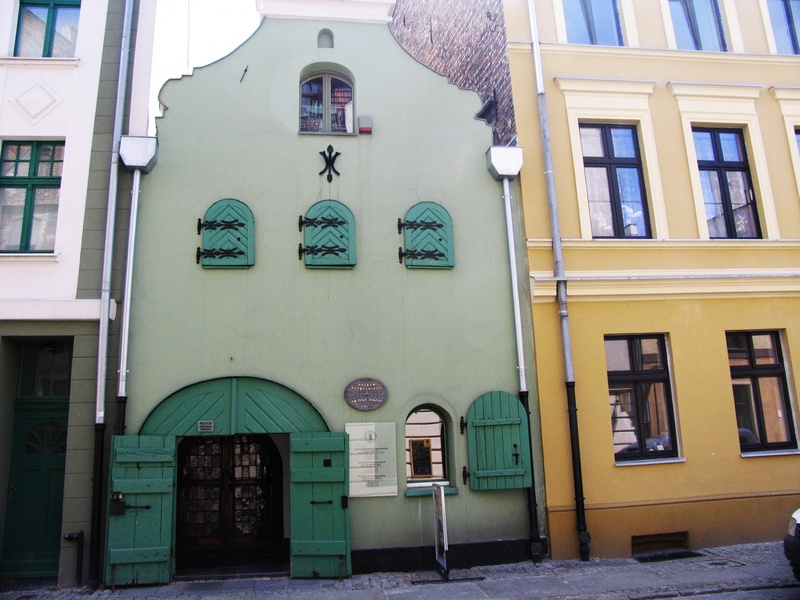 It houses a cultural center - The House of Muses. 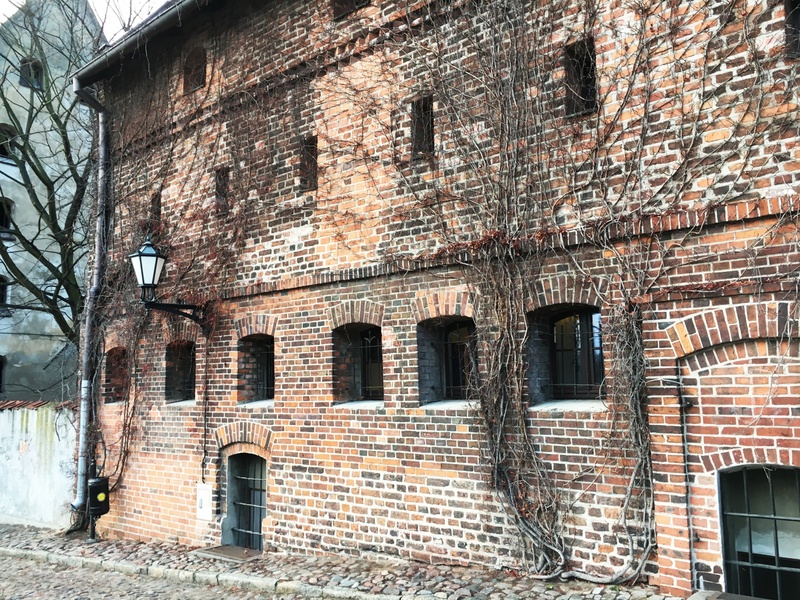 Swedish Granary is a Renaissance Baroque building from 1719 built by the Swedes during the Swedish Deluge. 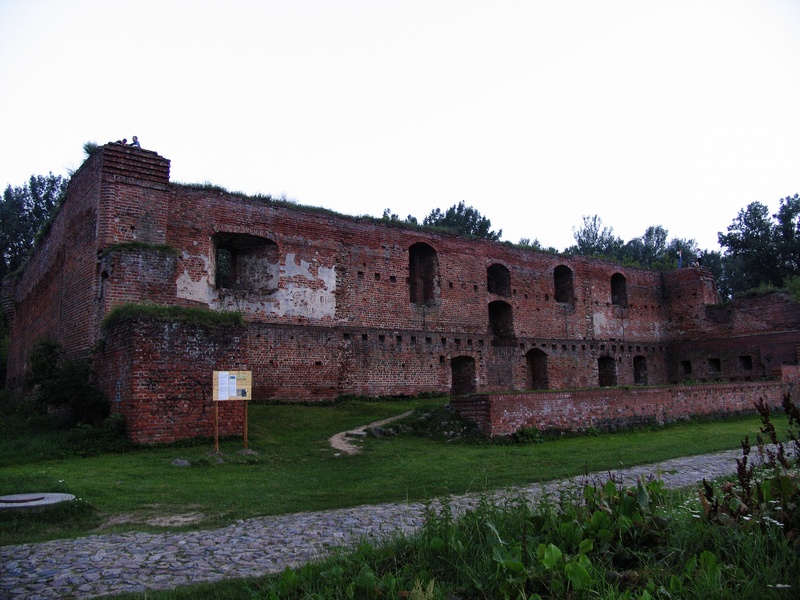 Initially, it served as a warehouse of goods, then was used as barracks. 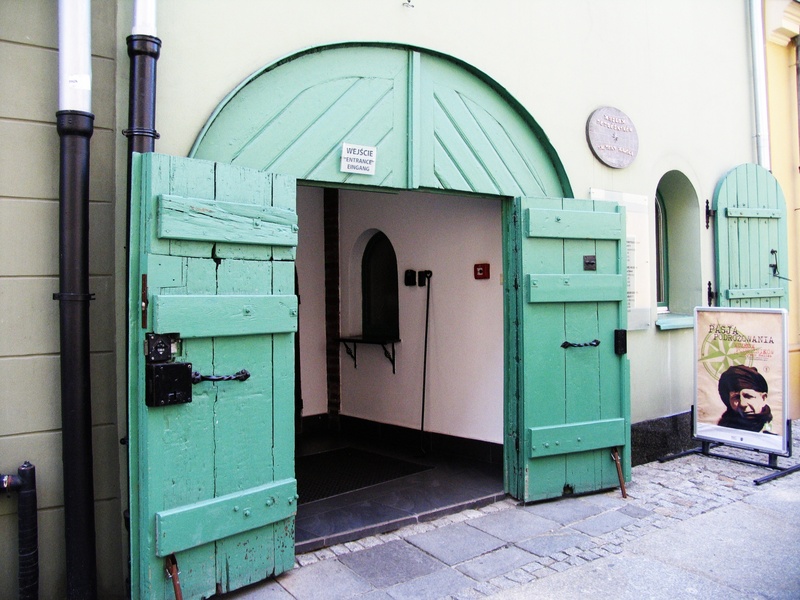 In 1823 it was rebuilt and connected to the tower and since then has served as a military storehouse of food. The building also serves as office. 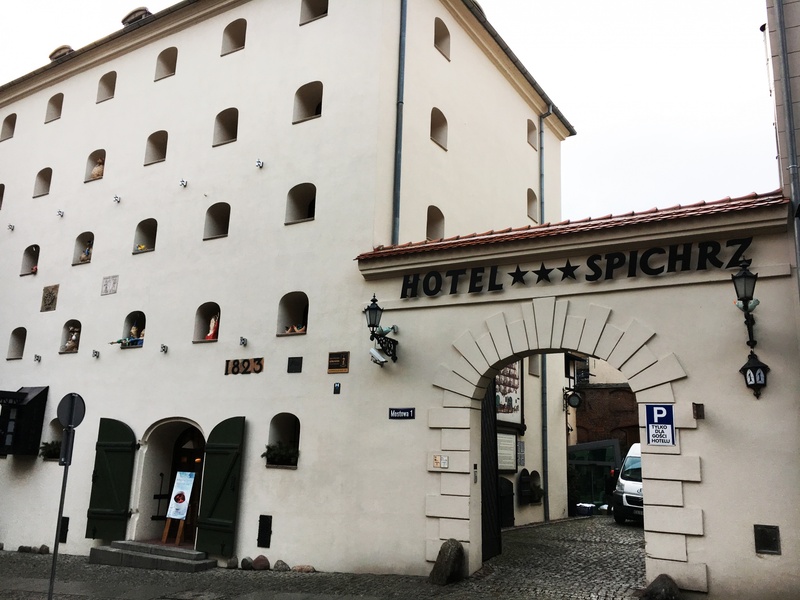 Currently, there is a restaurant and a hotel. Gateway was founded in 1832. 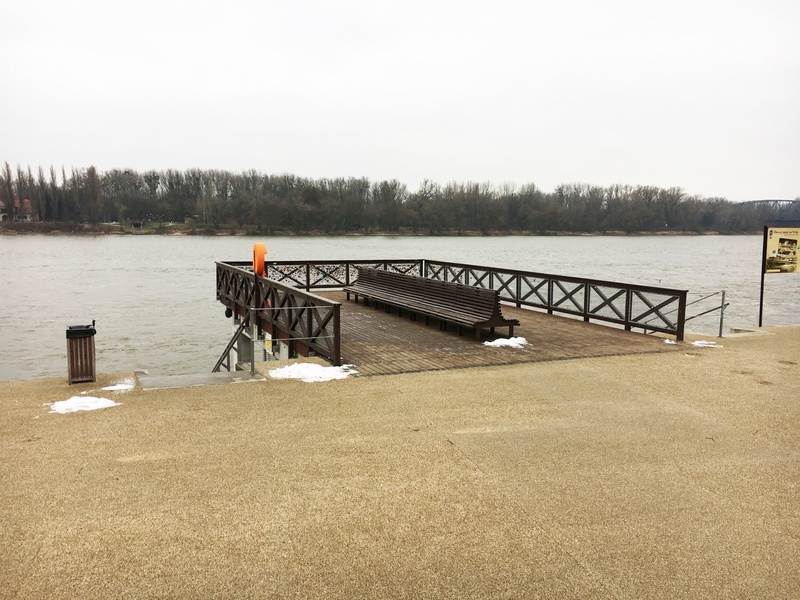 It leads to the ferry crossing to the other side of the River, that's why they called it the Ferry Gate or Mobile gateway. 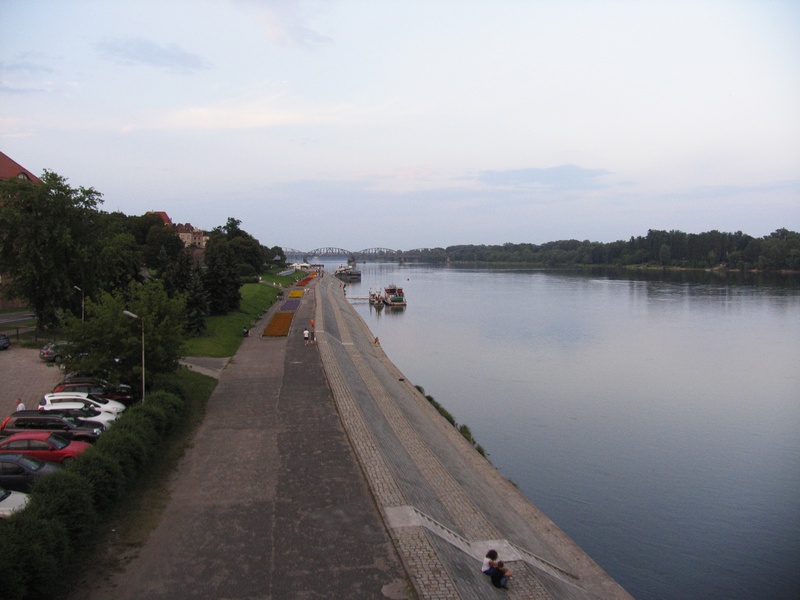 Its present name comes from the bridge that was the only bridge in the city connecting two sides of the Vistula. To this day the fragment of the bridge remained, which is used as a vantage point and the place of rest. 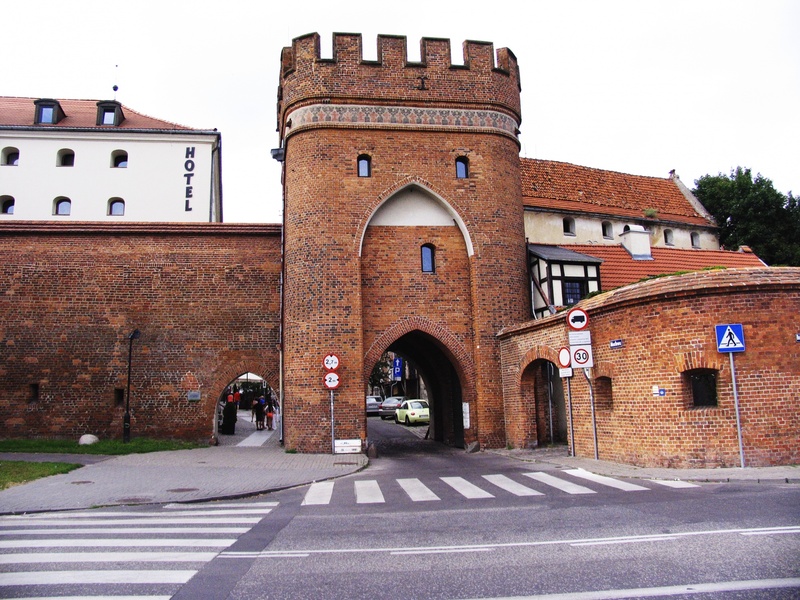 The gate is characterized by rounded corners and battlements, which had a defensive function. An important task of the gate was not only protection against gunfire, but also allowing communication. 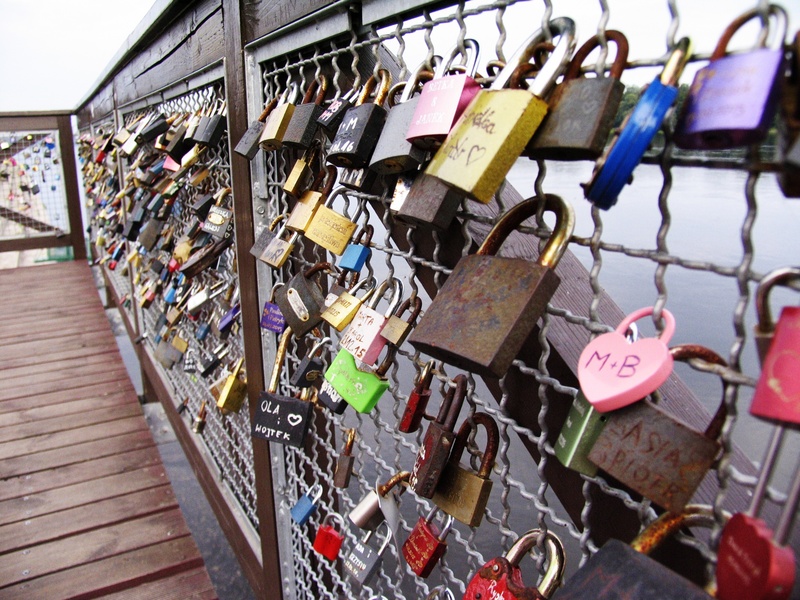 In addition, during the major floods, water level of the river was meant on the gate. 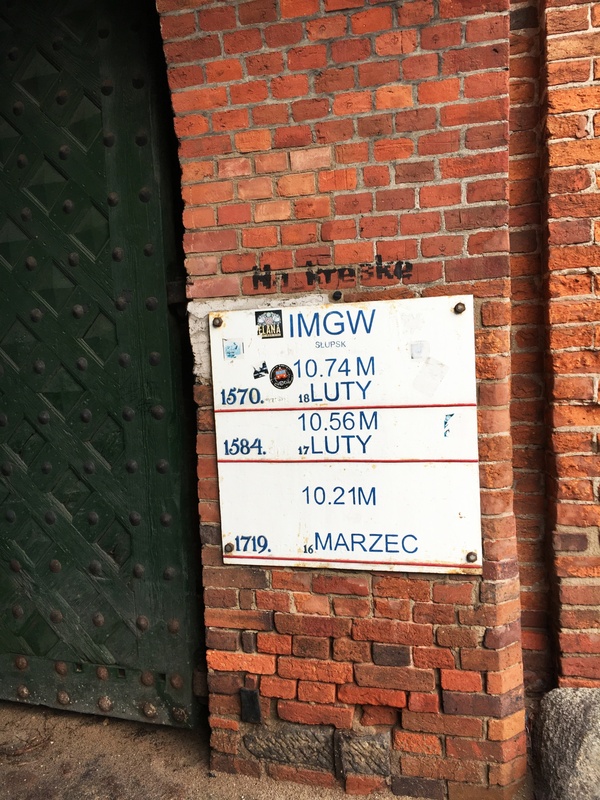 Up to date, in the gate's passing there is an array showing the highest levels of the Vistula from the 16th to the 19th century. 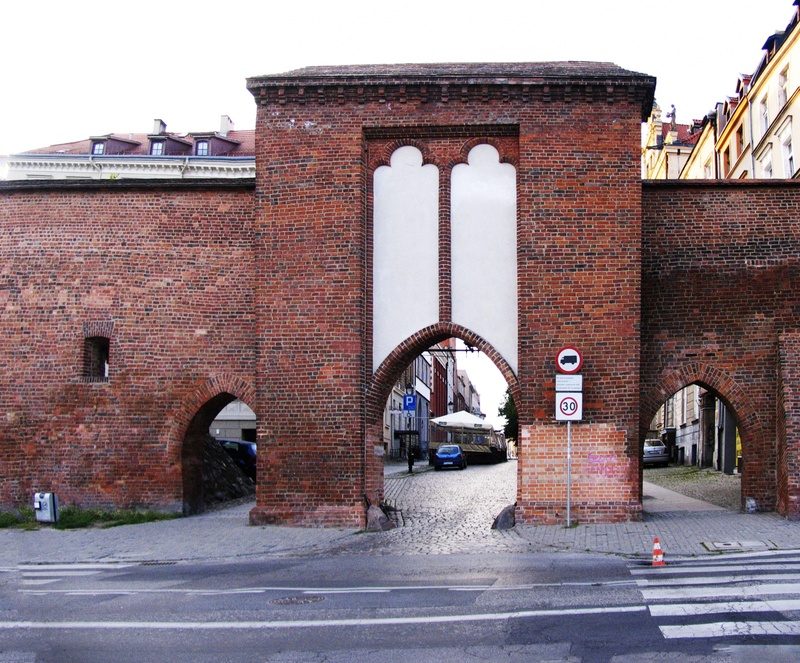 The gate that once ran on the Vistula River waterfront and the non-existent today hospital, church and monastery, was founded in the first half of the 16th century. The primary function of the gate also known as Maidenly or the Holy Spirit was defence. It consisted of variety of traps waiting for a potential attacker such as a lowered wooden trellis, closed gates and a hole, from which heavy objects were thrown or hot oil or grits were poured. 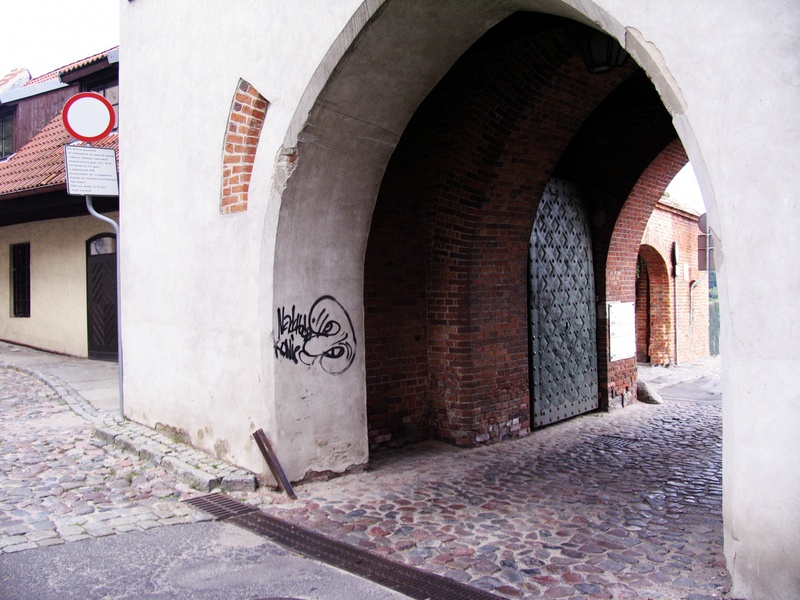 In the 19th century, the gate was rebuilt and since then has served as residential area. Currently in the Monastery Gate there are organizations promoting culture. 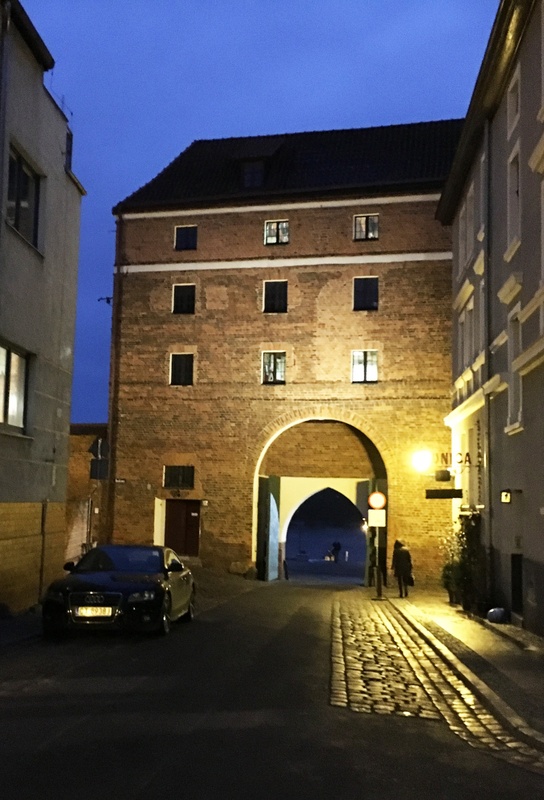 Gateway leading to the old port waterfront was founded in the 14th century. In addition to defense tasks also it had representative function. At the gate important guests arriving to the city were ceremonially welcomed. 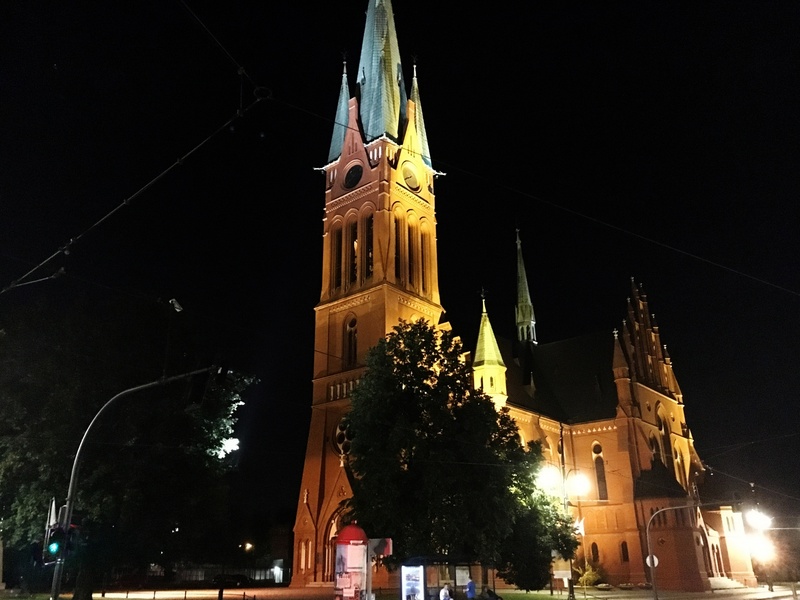 For example the Polish kings, who, according to tradition, after greeting were going to Mass for St. Johns' Cathedral and then to the Old Town Hall. 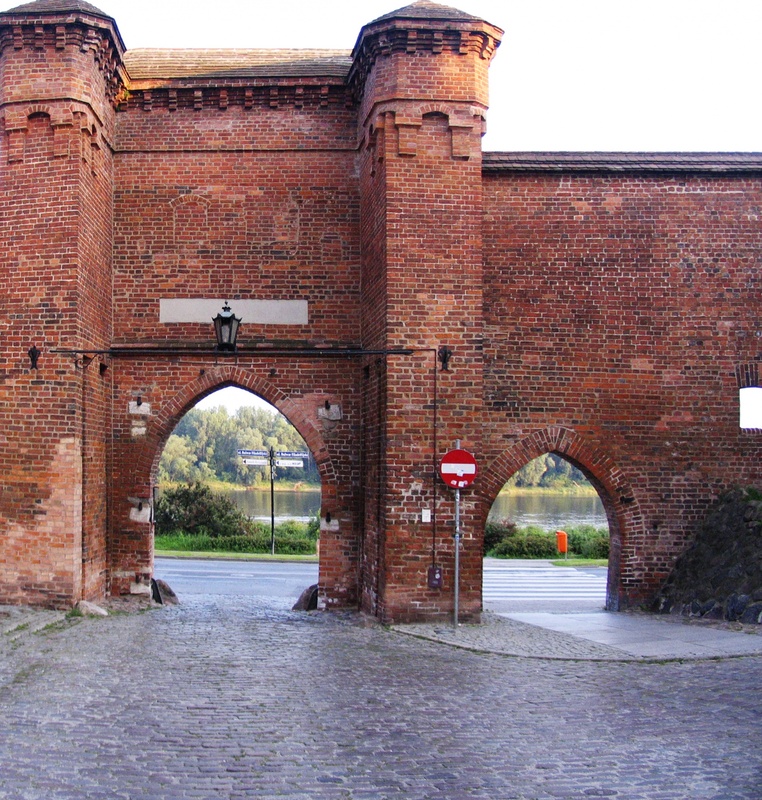 Every side of the gate adjoins a wall, in which some additional transitions were created. 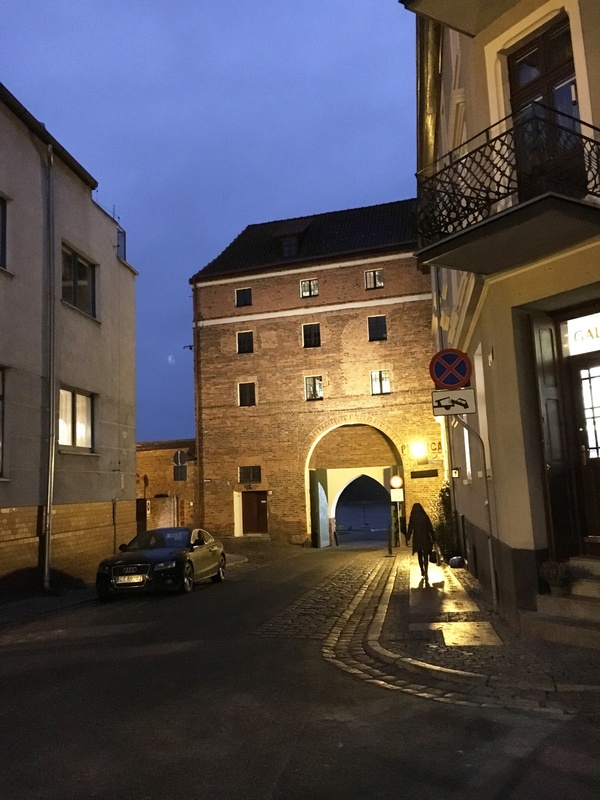 When the gate lost its defensive significance in the 18th century, it was transformed into a prison, and later into residential building. Due to the numerous expansions and changes, today only a fragment of the original building has been preserved. 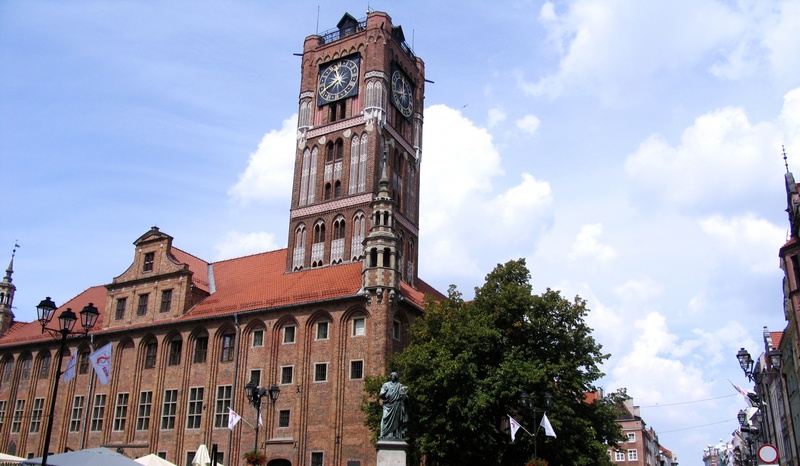 Tower formerly called as civic was established in the first half of the fourteenth century. 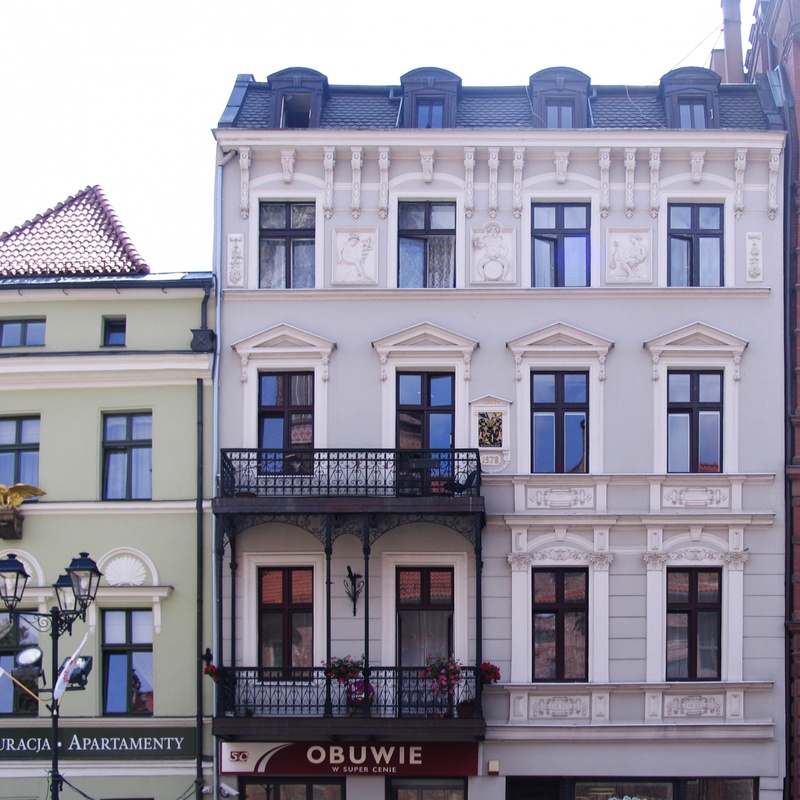 Originally, it served defense function, but in the 19th century it was converted into an apartment, which resulted in an emphasis on the facades of the window openings. 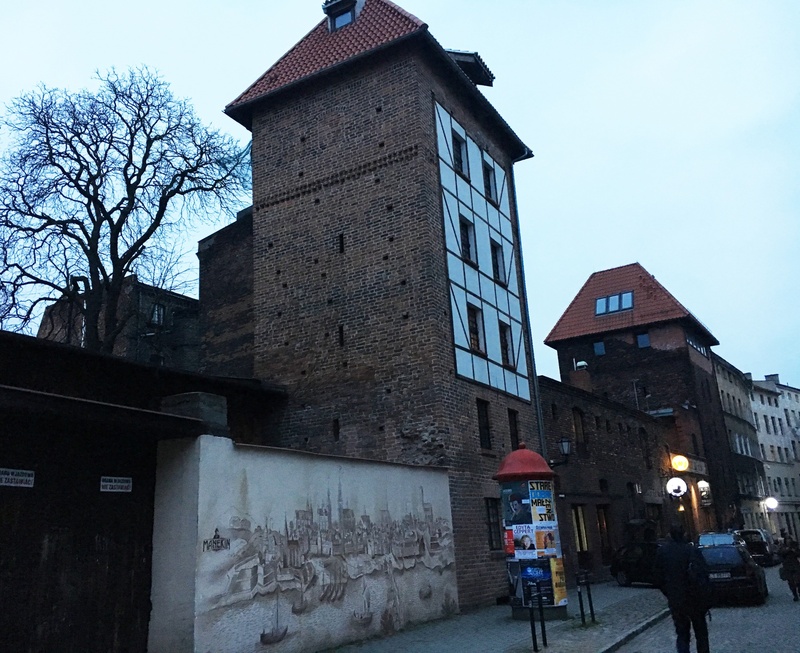 The tower is characterized by distributed in its facades the so-called fifteen Blend, or shallow window-shaped recesses in the wall, over which there are decorative shields, and under them painted frieze. 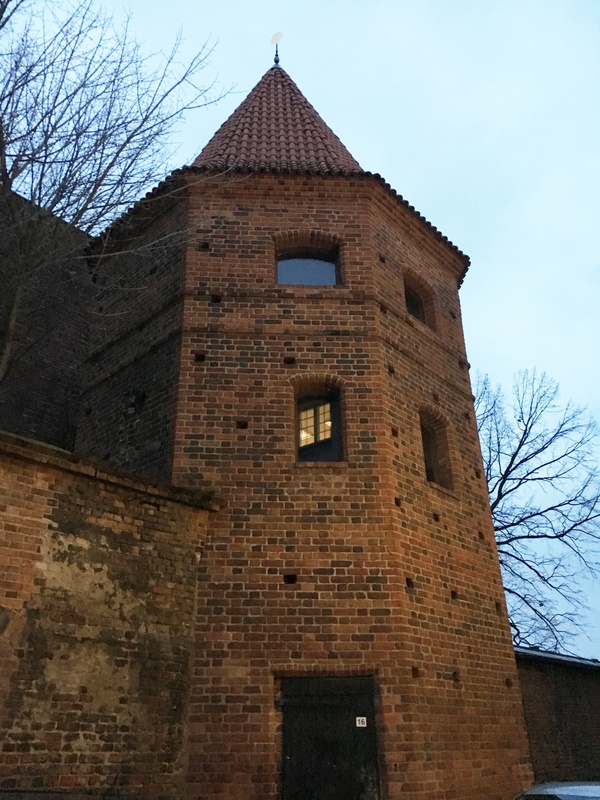 The current name of the tower comes from the placed in the 19th century loft for pigeons, which were used to transfer information between points of defense. 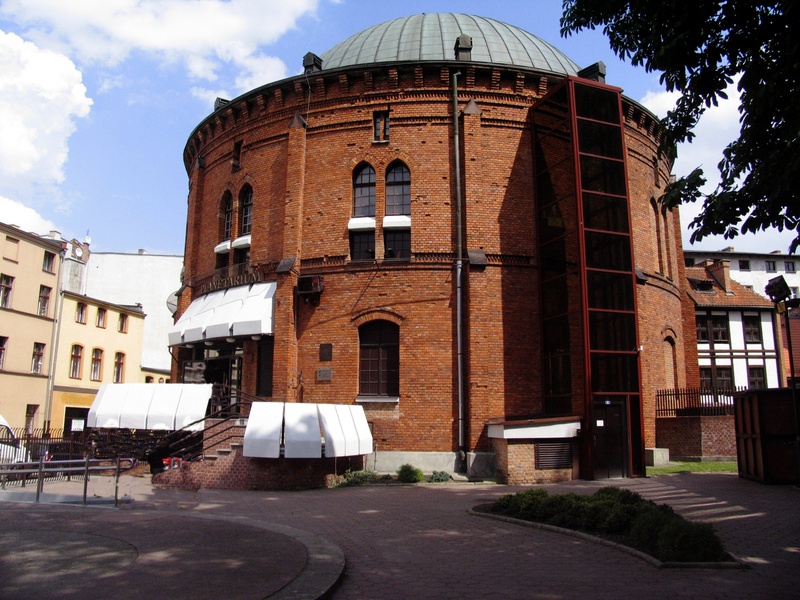 Planetarium was founded in 1994 in the building of a circular tank gas company formed in the second half of the nineteenth century. 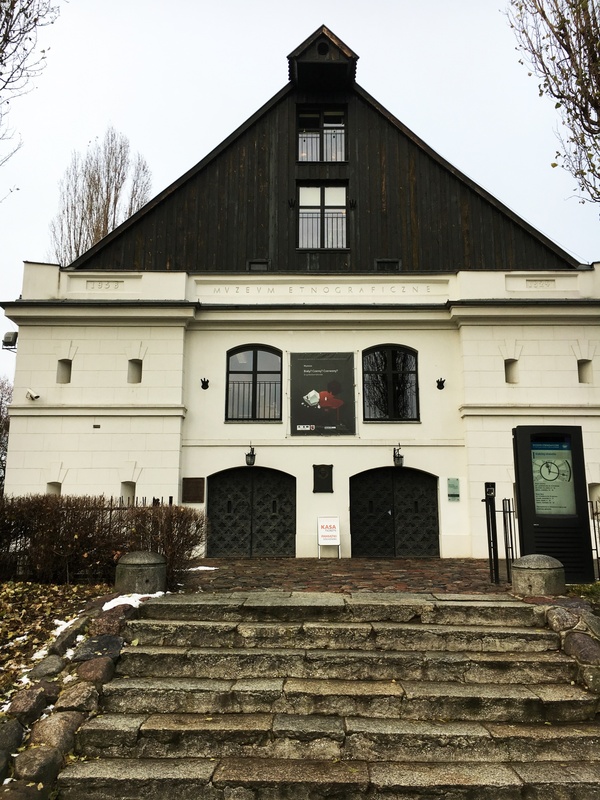 Planetarium guests have an opportunity to take part in sessions presenting not only astronomical objects, but also allow embark on a virtual tour through the old town. The projections are displayed on the screen formed by the dome. In addition to the shows, there is an opportunity to admire interactive exhibitions located in the Hall of Orbitarium and Geodium. An extra attraction provide audiovisual performances on Saturdays and Sundays. Free entrance on Saturdays, Sundays and public holidays half-fare tickets are valid for everyone. It is possible to purchase the familly tickets, and with language version. 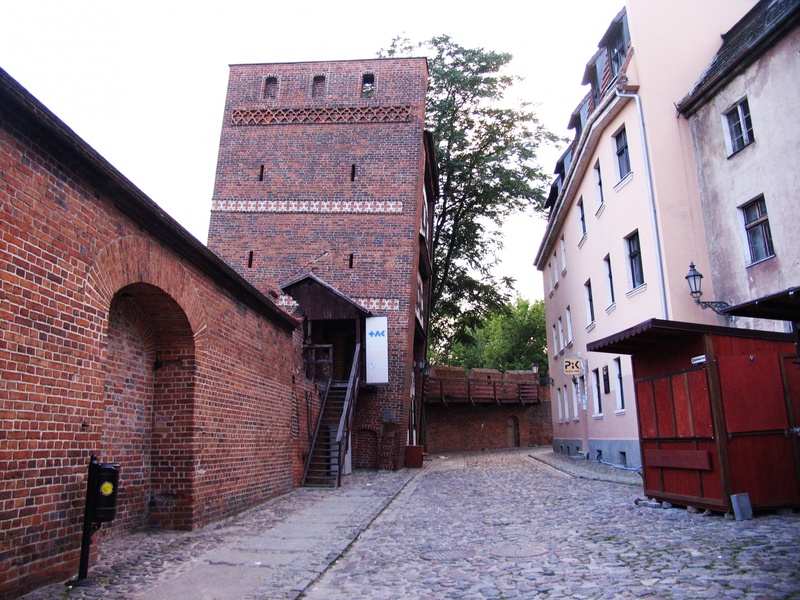 Tower built on a square plan was founded in the second half of the 13th century. It was rebuilt into a tower on the set of wheels around 1500. Equipped with a position artillery served the defensive purposes. In a well-preserved to this day underground dungeons, prison cells were situated. 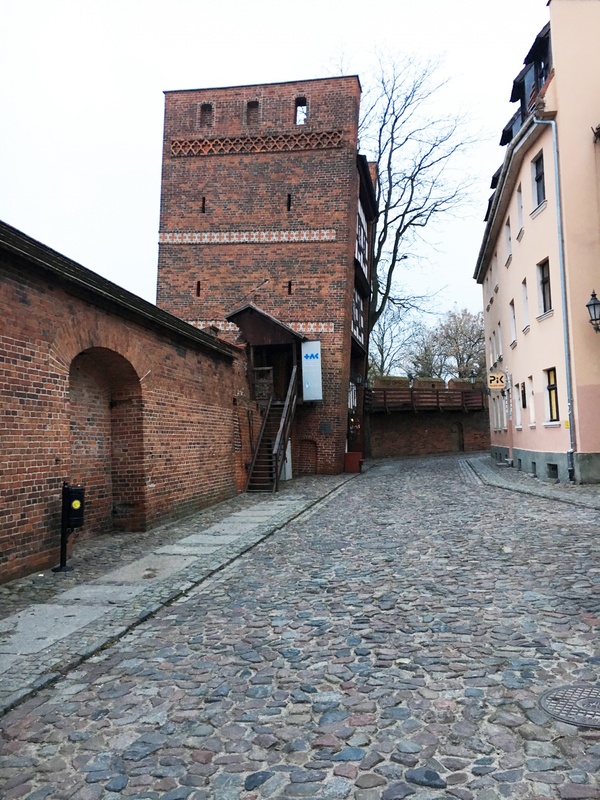 In order to undermine the military position, tower was destroyed by the Swedes in 1703. 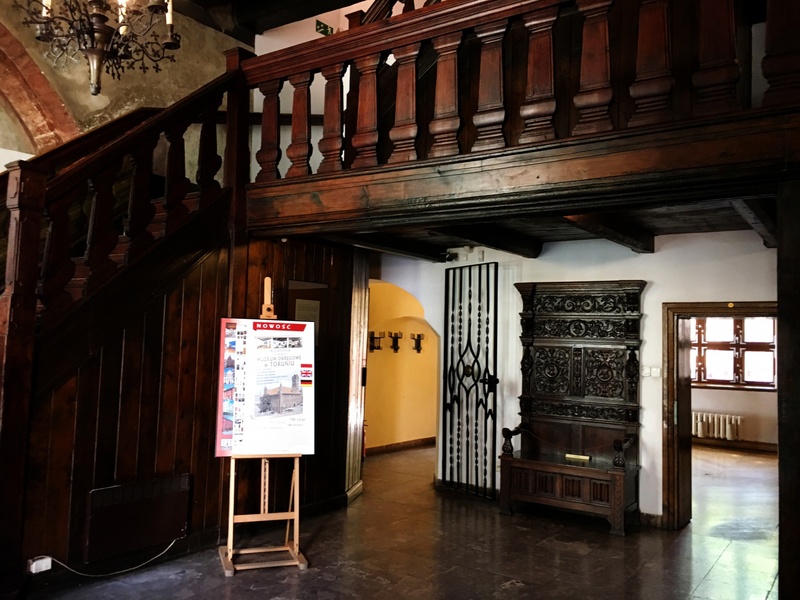 In the same century it was rebuilt, and in the 20th century extended with its third floor. 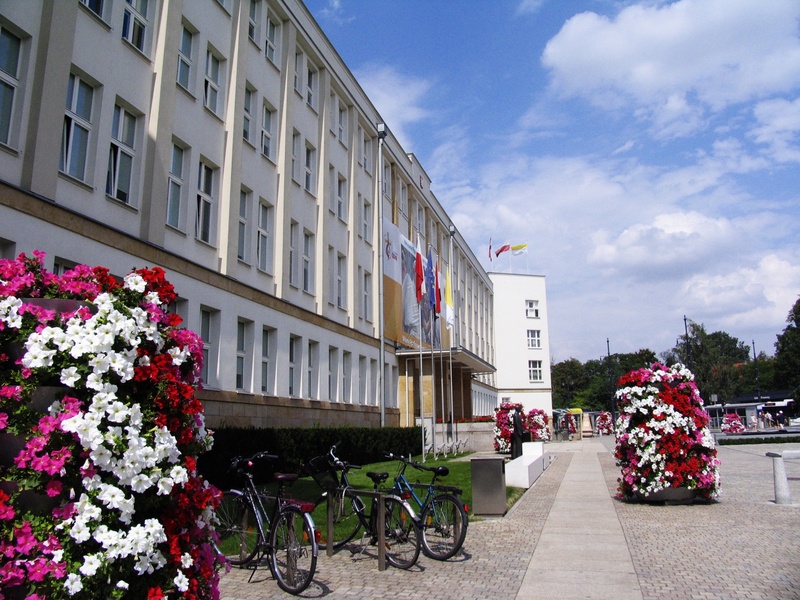 Currently, the building houses the headquarters of the Department of Sport and Tourism of the City. 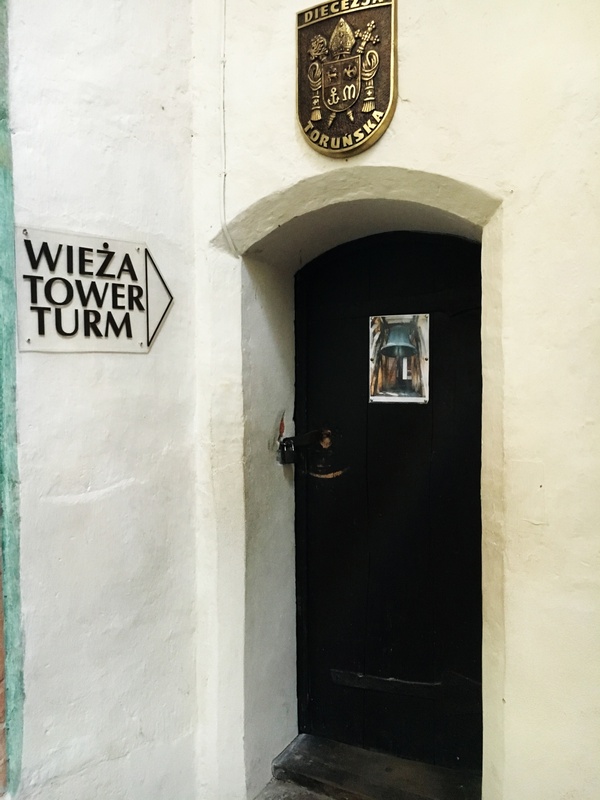 The tower was founded in the second half of the 13th century as quadrangular building. 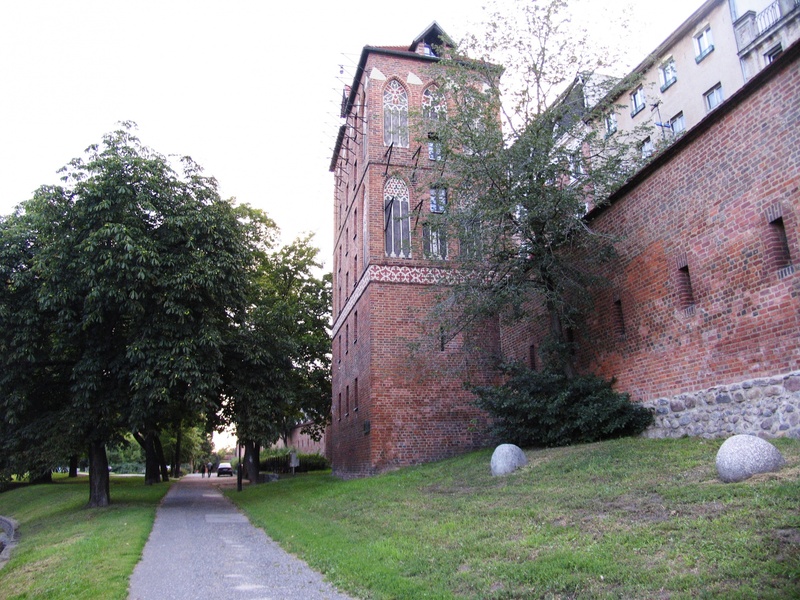 To the current shape of an octagonal tower was rebuilt in the first half of the 15th century. 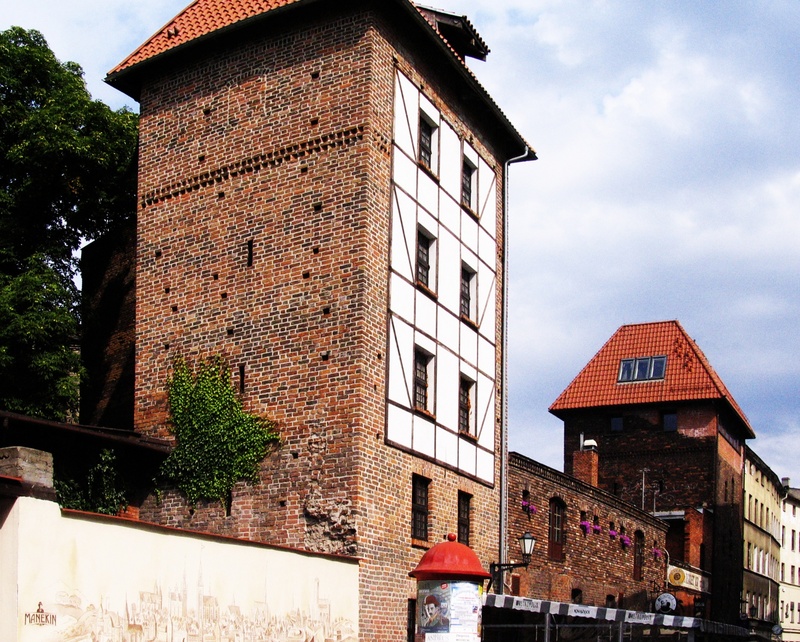 Reconstruction of the tower was not only with the spread of firearms, but it was also used to improve the defense of the city after the demolition of the castle of the Teutonic Order. Another reconstruction of the tower took place in the nineteenth century. 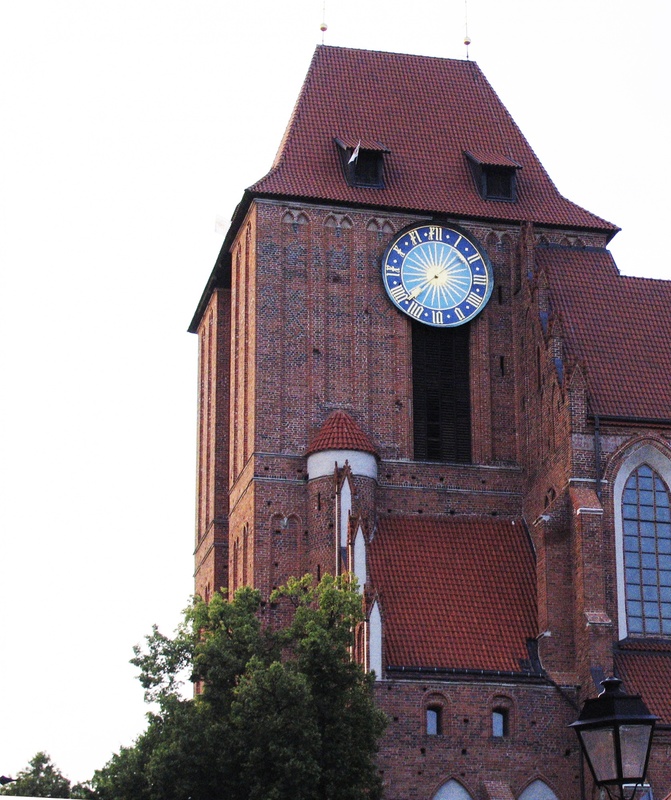 At the top of the building there is a Monstrance-Catholic liturgical vessel, from which the tower derived its name. 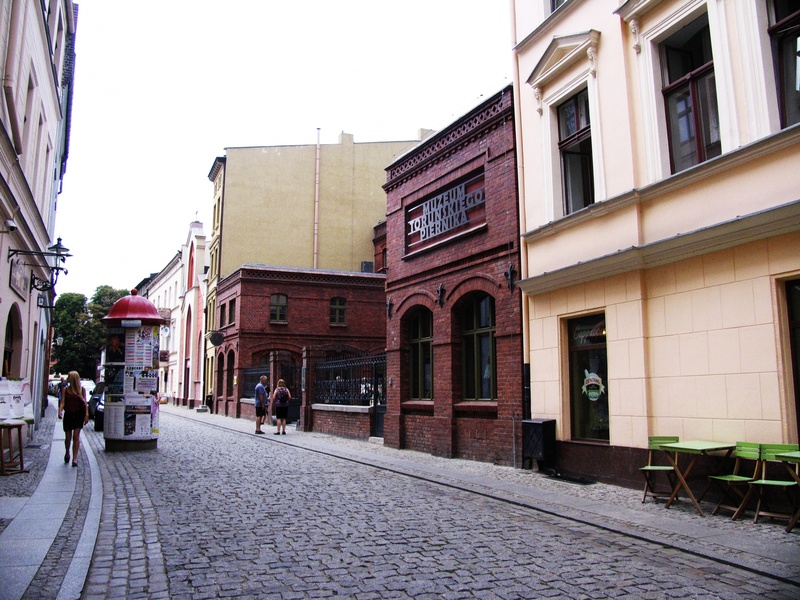 After losing the defensive function, in the building there was situated storage of road signs and artistic studio. Currently here are located workshops and art and craft studios. 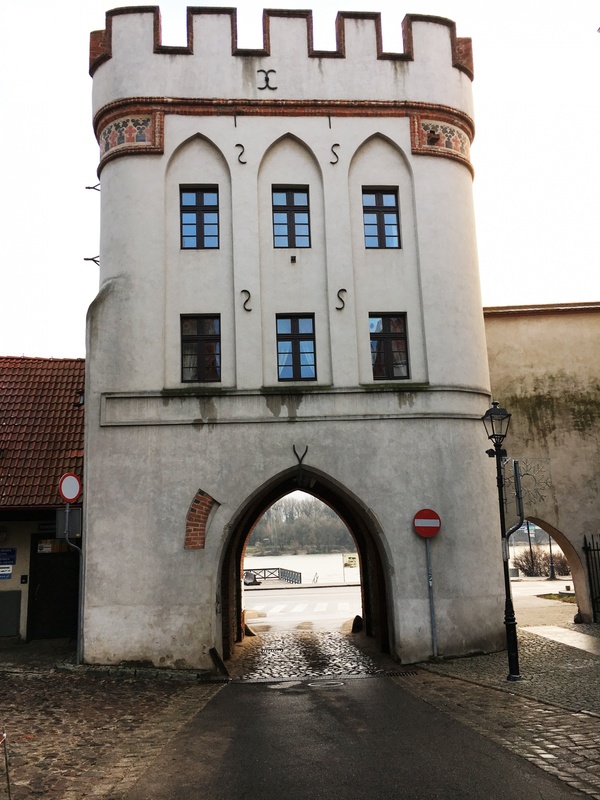 Both the towers on the Street Podmurna 26 and 30 come from the beginning of the 14th century. Both were built on a square plan. 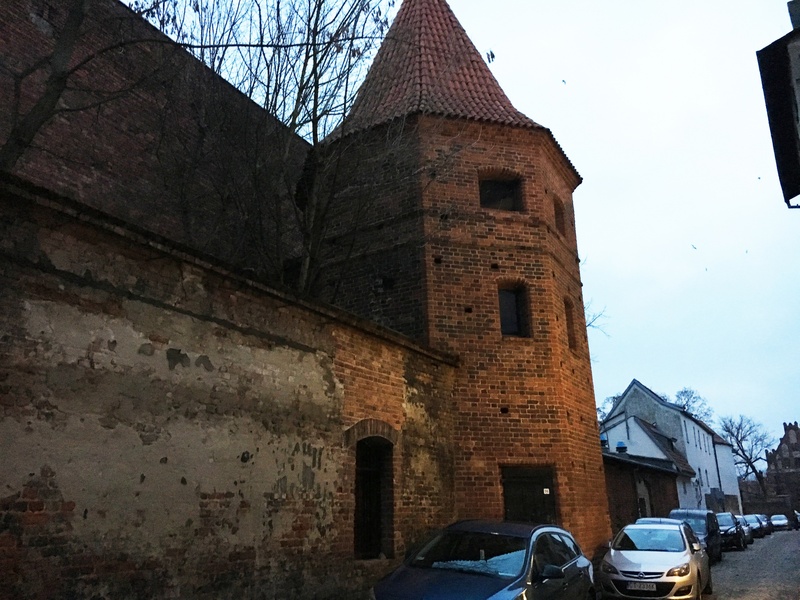 The tower located on the street Podmurna 30 was rebuilt in 1880's. 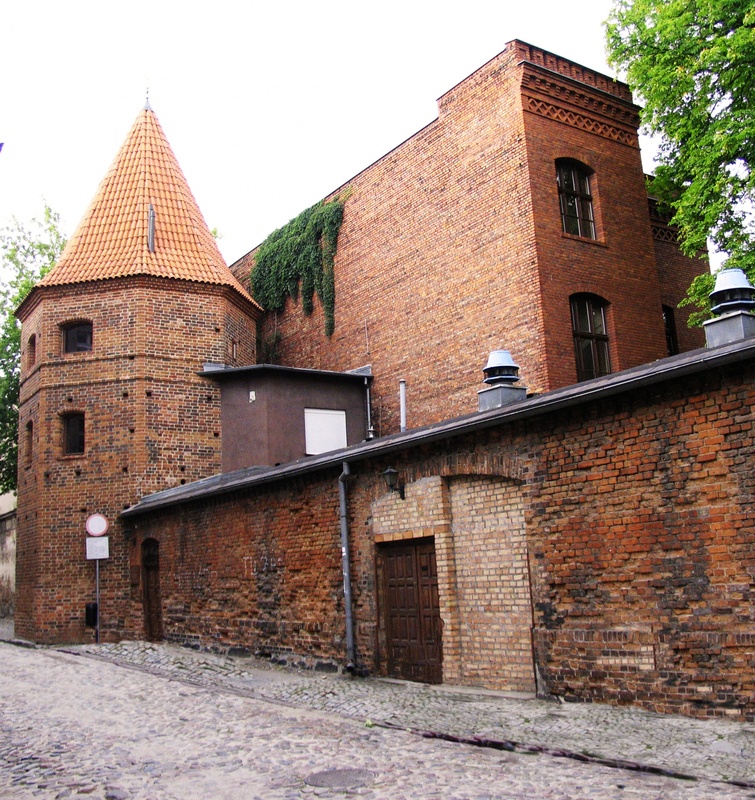 The towers were used as granaries in the 19th century. 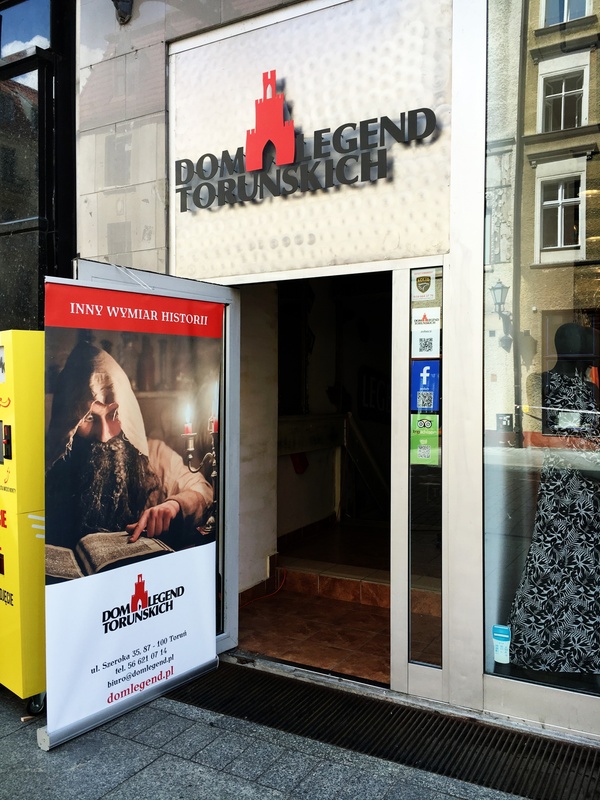 Today, in one of the towers there is a travel agency. 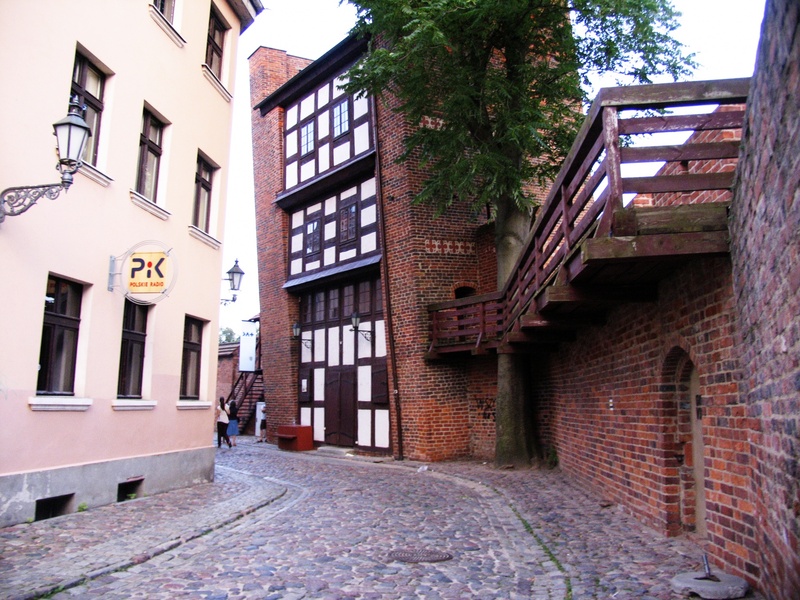 Tenement house, in which once there was the Eskens' House was built in the late 14th century. 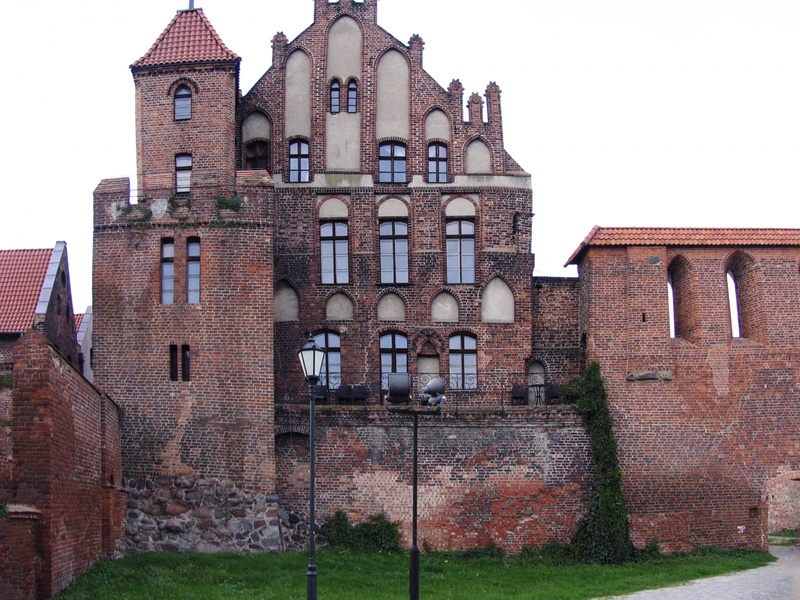 In the 16th century it was bought by wealthy patricians Eskens family, by which it had been rebuilt. 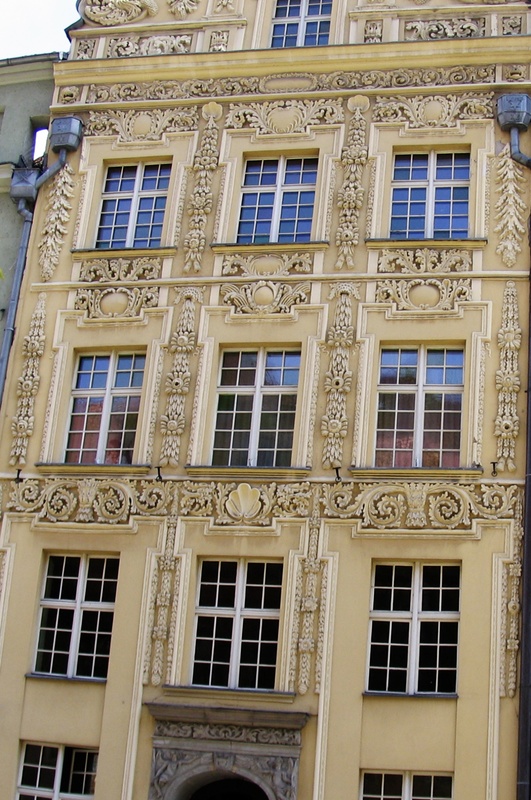 After the year 1703, the building had many owners, who also made changes to its appearance. 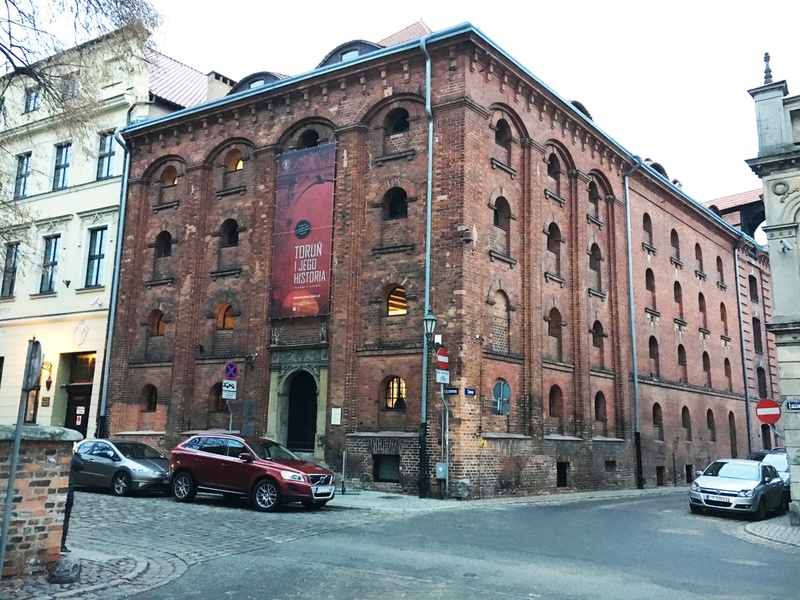 In 1844 there was a thorough reconstruction of the building, by changing the layout of the floors, the rebuilding of the windows and the roof, so that it can serve the purposes of warehouse. 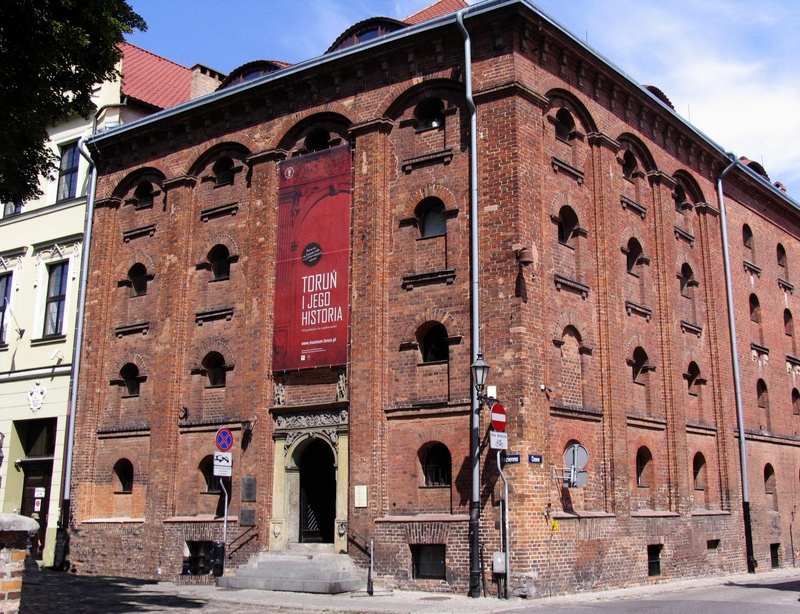 Since 1991, it houses the Museum of the History of Torun, presenting the exhibition devoted to the history of the city. 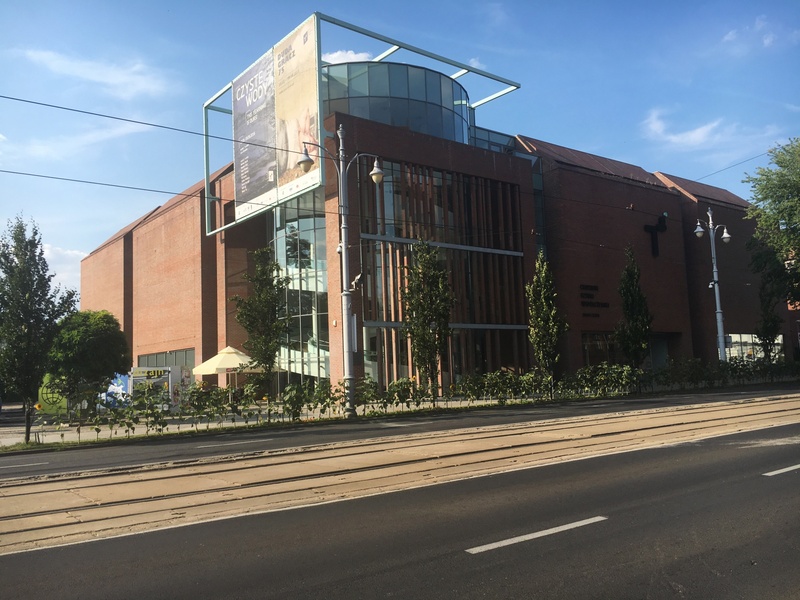 In addition to exhibitions containing exhibits, such as: weapons, documents, everyday objects and commodities, which once marketed, the Museum organizes shows in 3D technic. 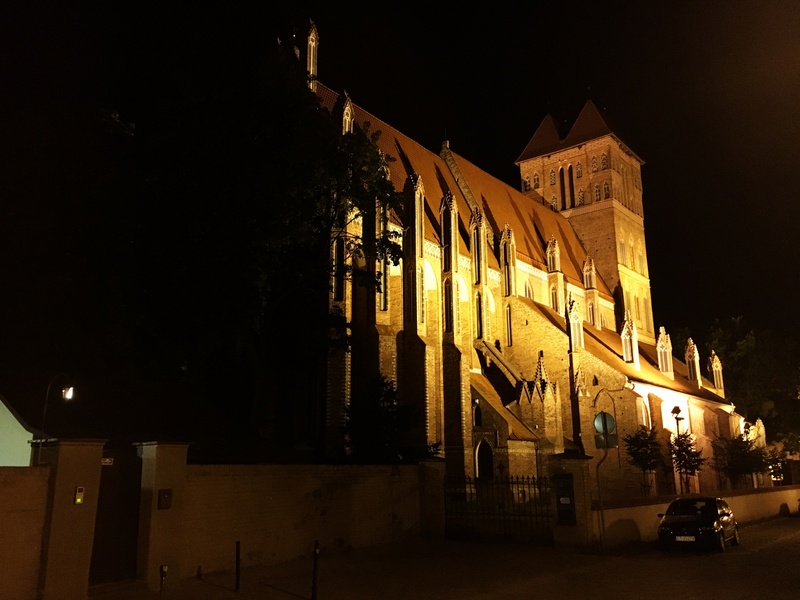 Single-nave, Gothic church of St. Catherine was built between 1894-1897. 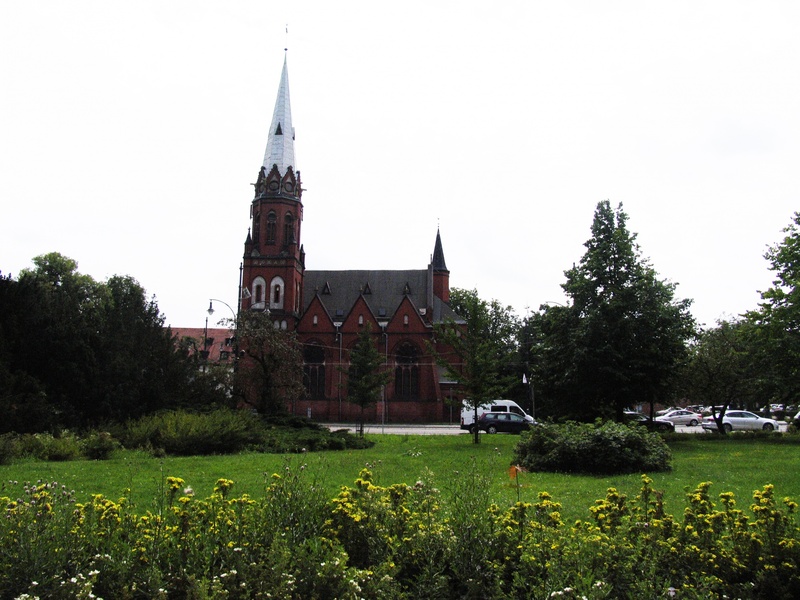 Until the First World War it was a Protestant church, which was a permanent quarter of the Prussian Army in peacetime. 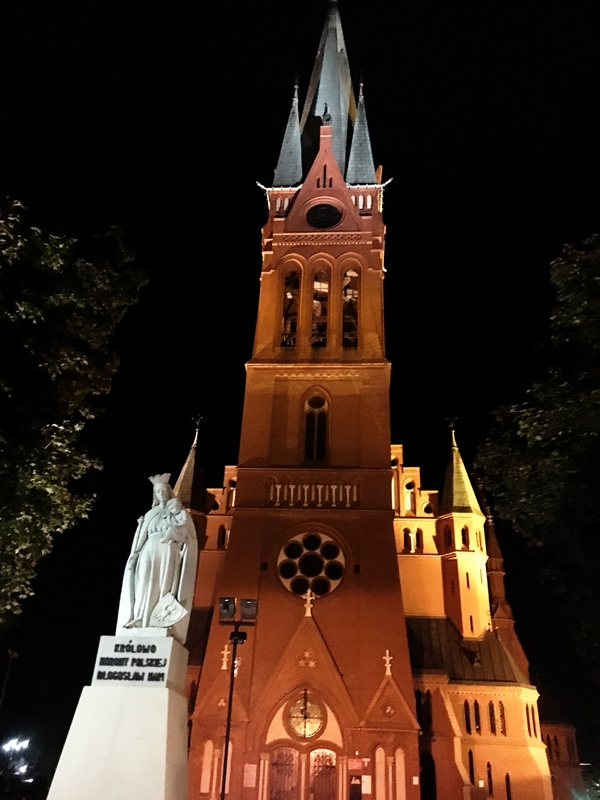 After the war it became a Roman Catholic Church. 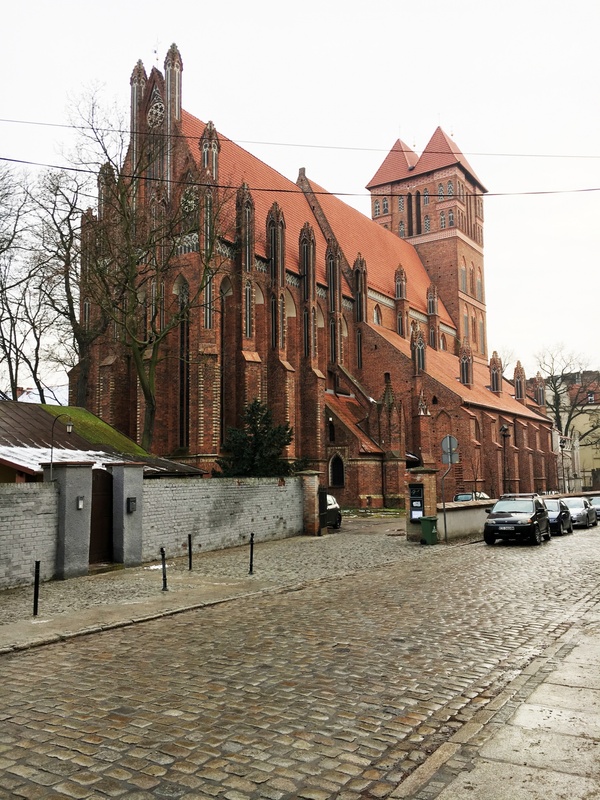 Next, it served as the garrison church, but for the Polish Army. The interior of the sanctum hides, among other things, starry vault on the model of Teutonic architecture, Thirty-five voice organ and numerous sculptures. 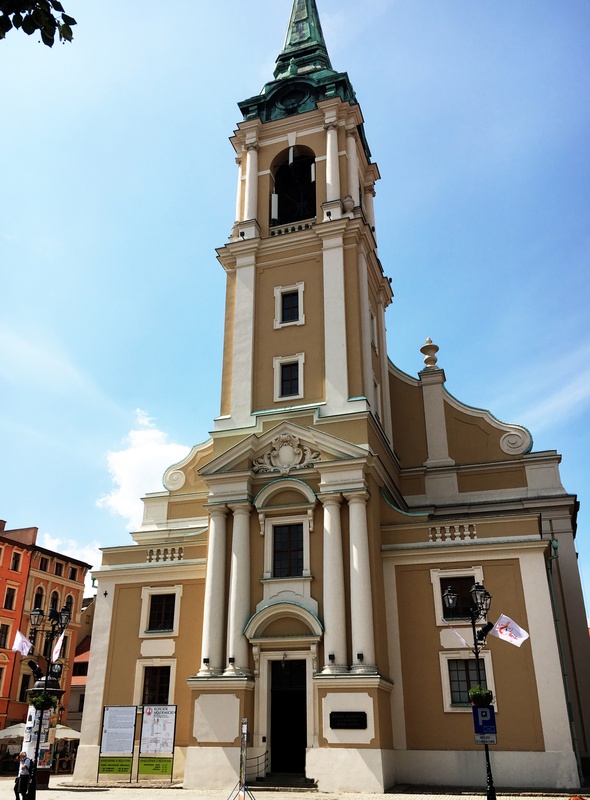 The church was built in the 18th century by Protestants. 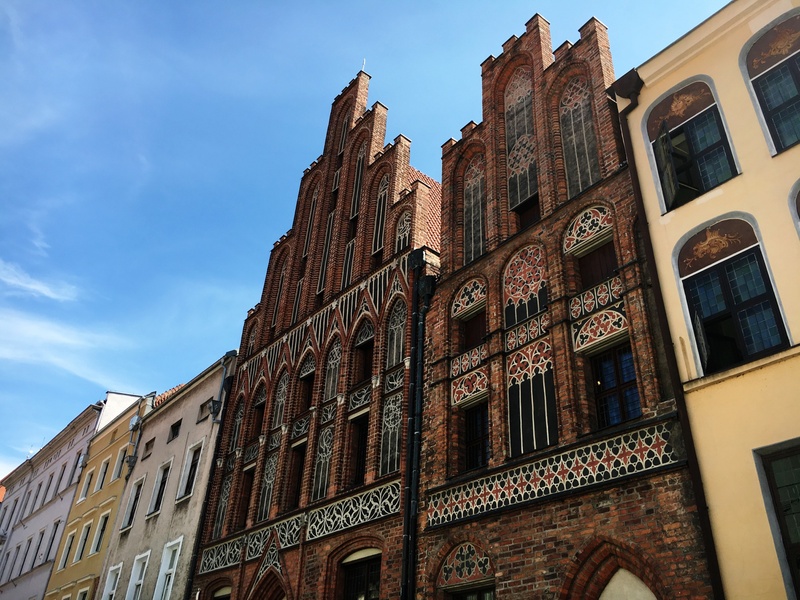 This late Renaissance temple initially hadn't tower - it was built in the 19th century. 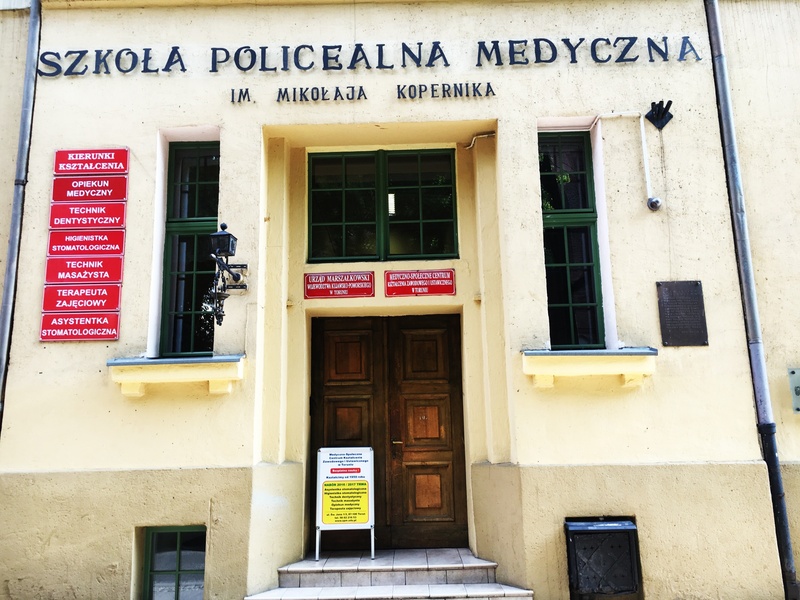 Since 1945 it is the Catholic Church Nicolaus Copernicus University. After taking it by the Jesuits, Protestants elements were removed, and church dedication was changed from the Holy Cross to its current name. 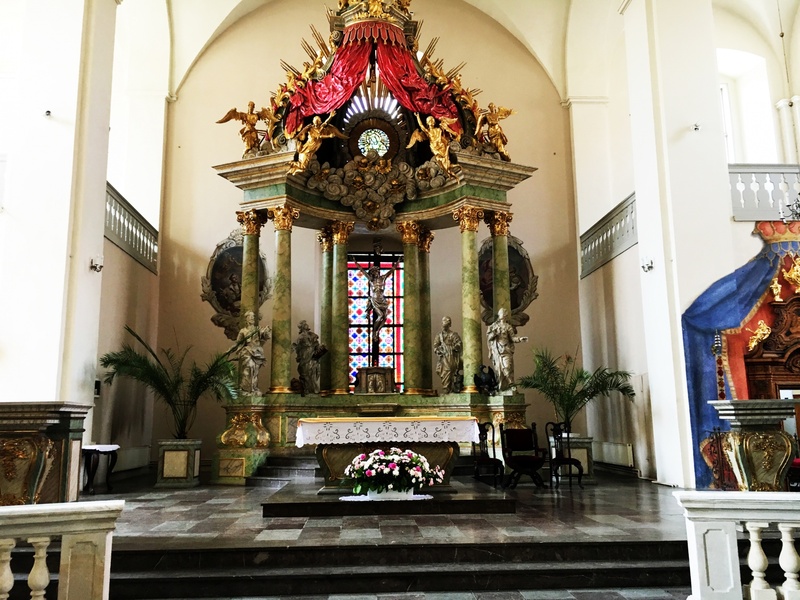 The church hides many 18th century works such as rococo altar and pulpit, gravestones of the mayors of the city, the door depicting religious scenes, wall paintings and numerous paintings. Organs within the church was rebuilt in 2005 after a fire in the 1989. 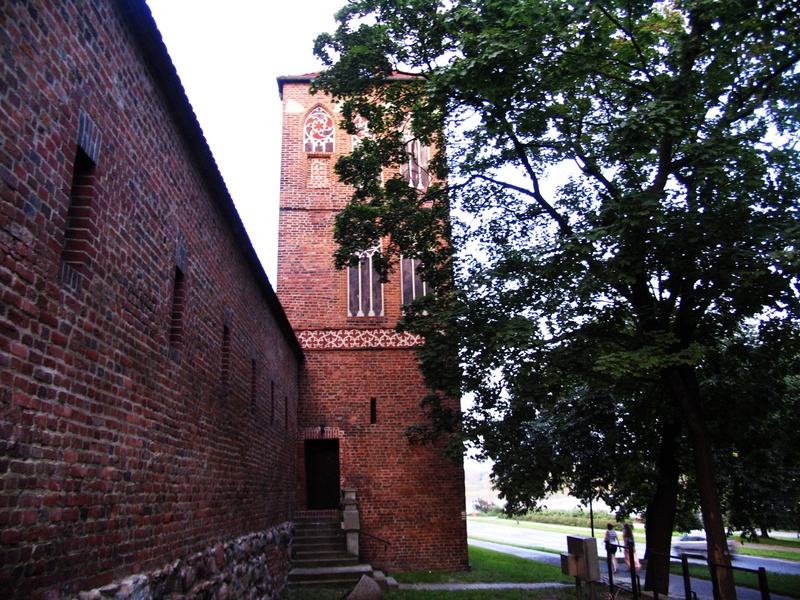 The church was built in the first half of the 14th century. 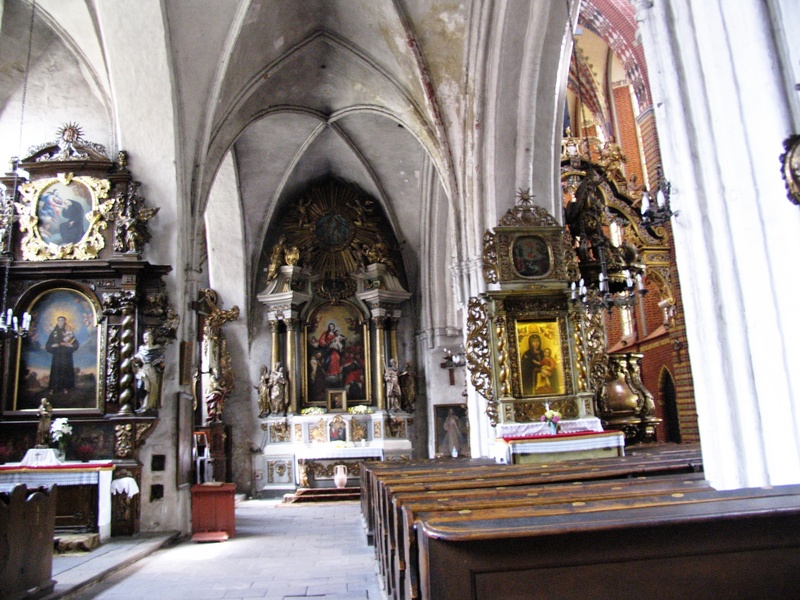 It is a basilican church, as evidenced by the fact that the nave is higher than the aisles. From the fourteenth century temple was managed by Cistercians, then went through the possession of Benedictine nuns. 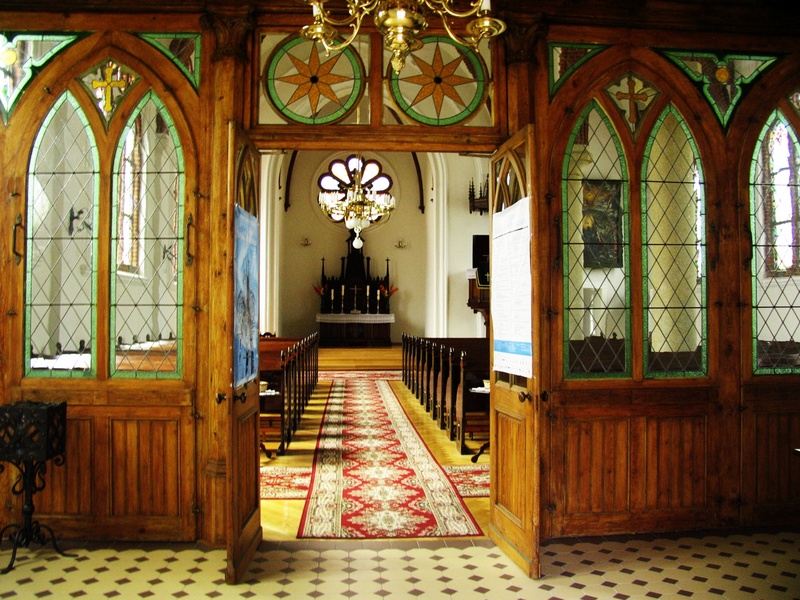 In later years, managers of the church were the Protestant commune and again Benedictines. 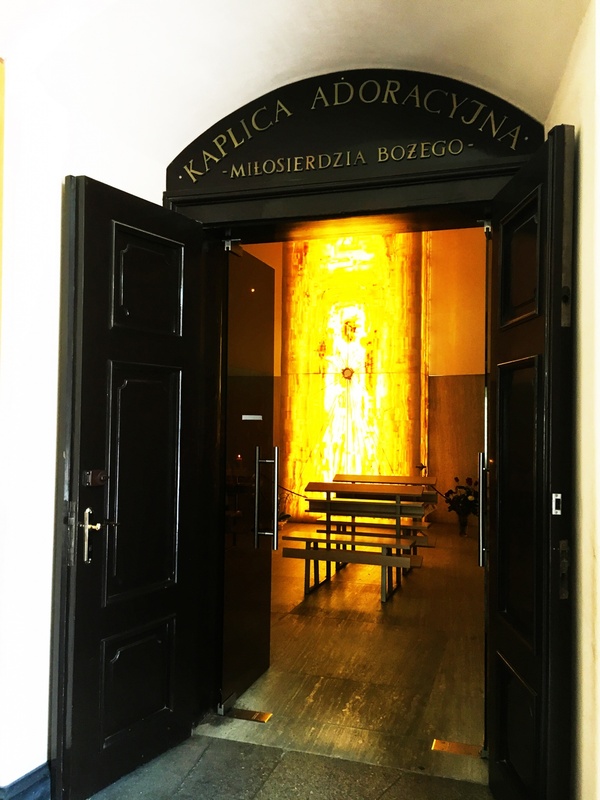 To this day, the temple is the parish church, which houses valuable relics such as polychrome wall, the tree of life cross, the image of the Passion of Christ, a crucifix, historical organ church, statues, sculptures, numerous wall paintings. Many of them have been transferred from the now defunct St. Nicholas' church. 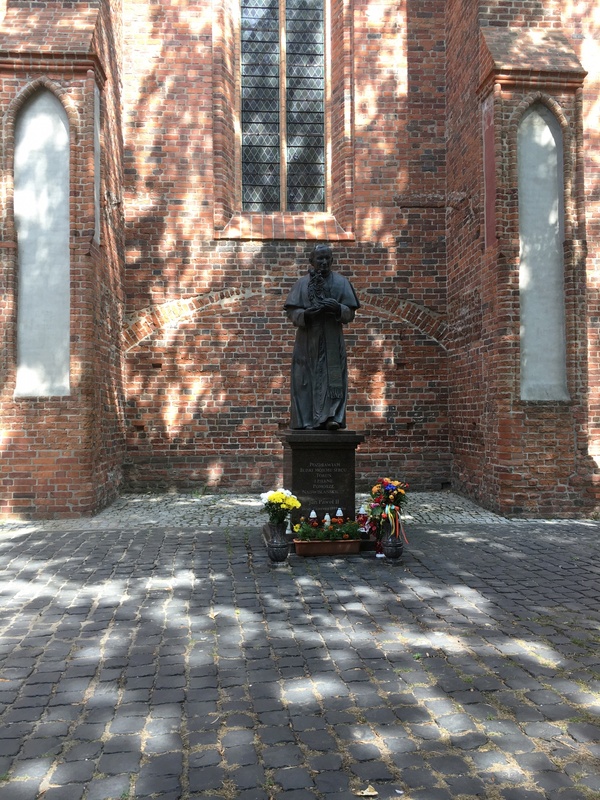 To the church backyard leads historic Gothic gate with a statue of the temple’s patron. 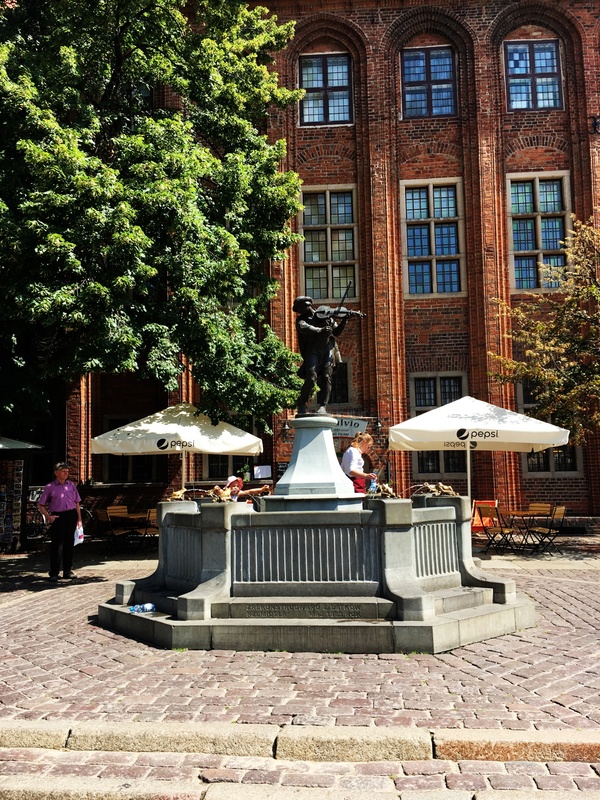 Artus Court is a Renaissance building built in 1891 on the site of a former manor house which was the seat of the Brotherhood of St. George and place of important meetings. 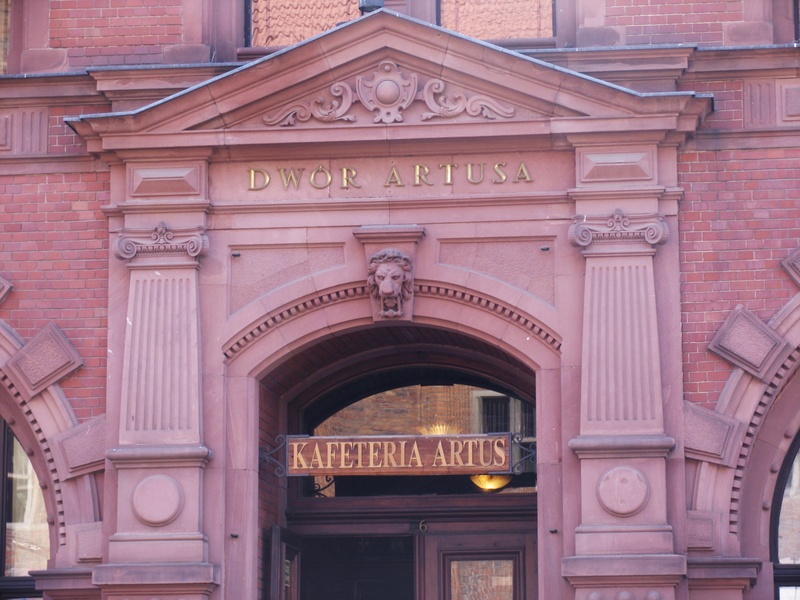 After the shutdown of the Brotherhood of St. George in Arthur's Court it housed the theater. 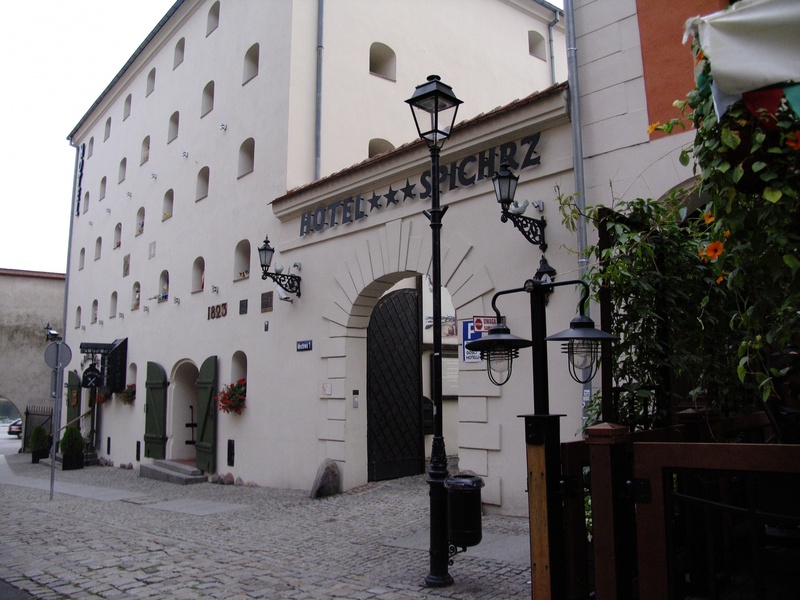 Before World War II the building housed a restaurant and shops on the ground floor, but the rooms on other floors were accepting guests, among others, Joseph Haller, Joseph Pilsudski, Ignacy Moscicki and numerous others. 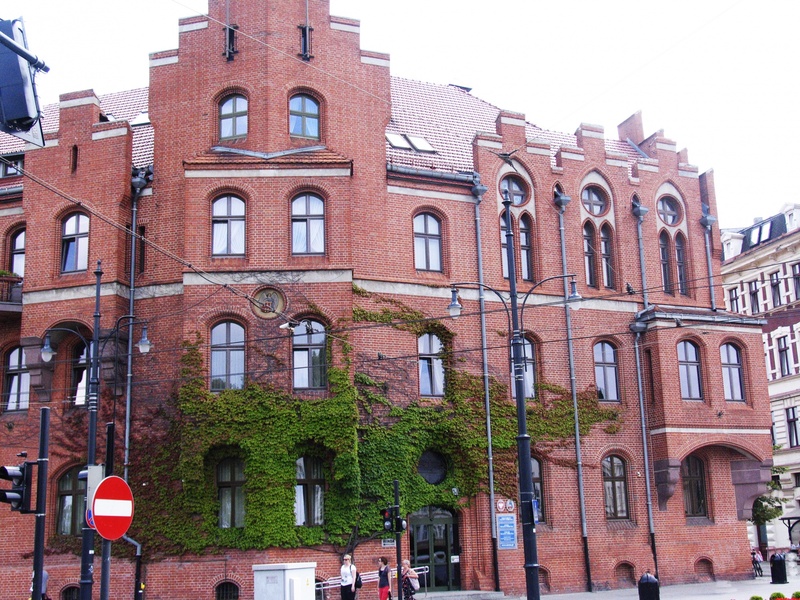 From 1949, Artus Court belonged to Nicolaus Copernicus University, and since 1993 it is the seat of the cultural centre. 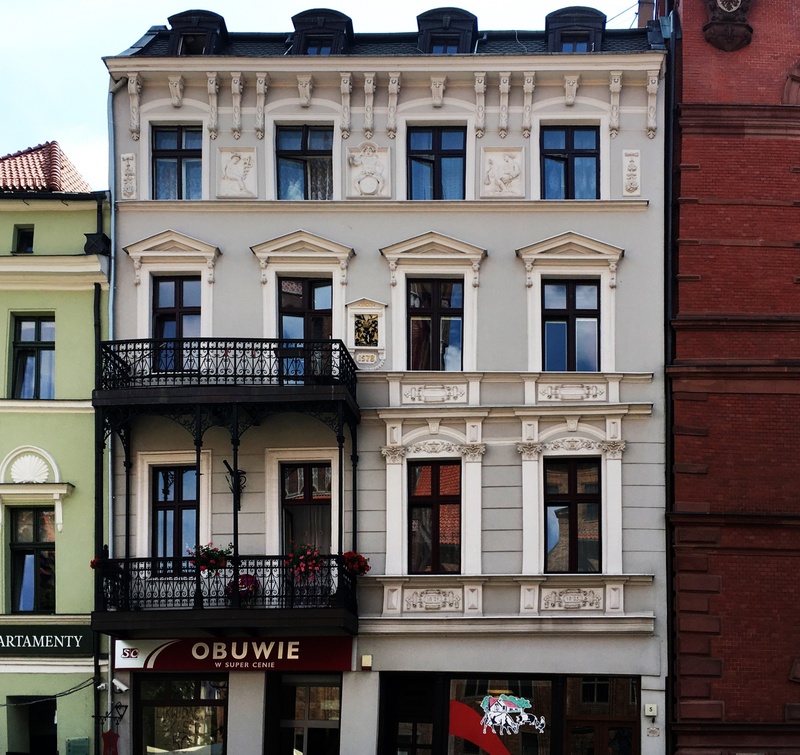 Tourists can admire only ground floor of the Artus Court, which houses shops and a cafeteria. The vaults of the building are full of paintings depicting various historical scenes. Today, in the building a number of cultural events and festivals are organized. 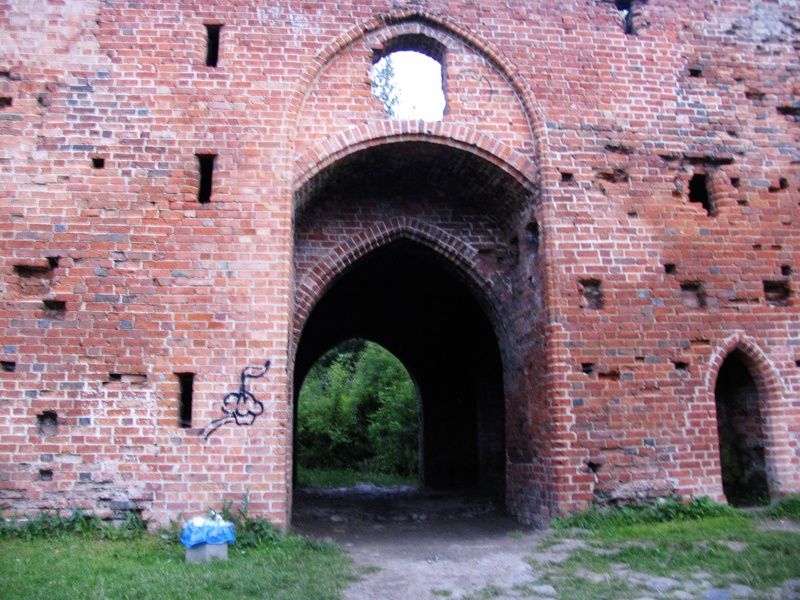 The ruins are the remnant of the castle built in the years 1424-1428 on order of Władysław II Jagiełło. 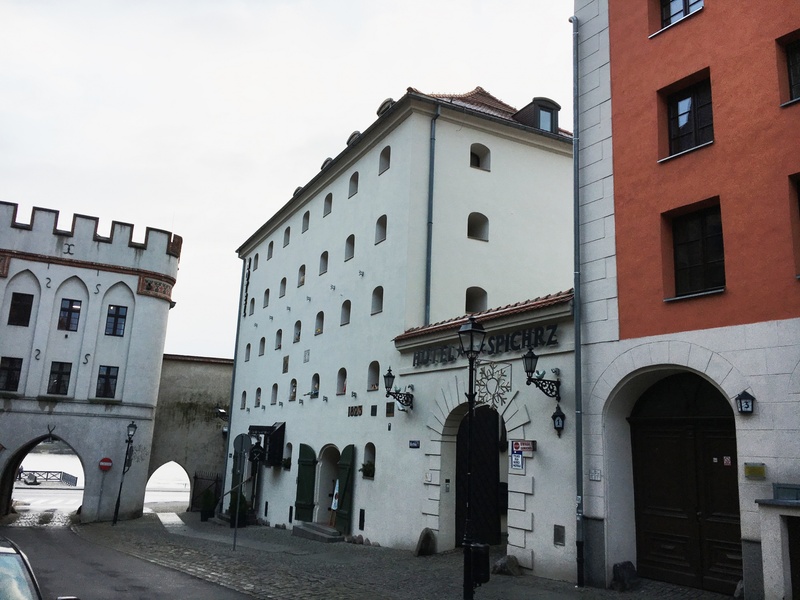 Castle being a four-storey, four-sided building with turrets in its corners, inside which has a large courtyard, served as the seat of royal starosts and customs station. 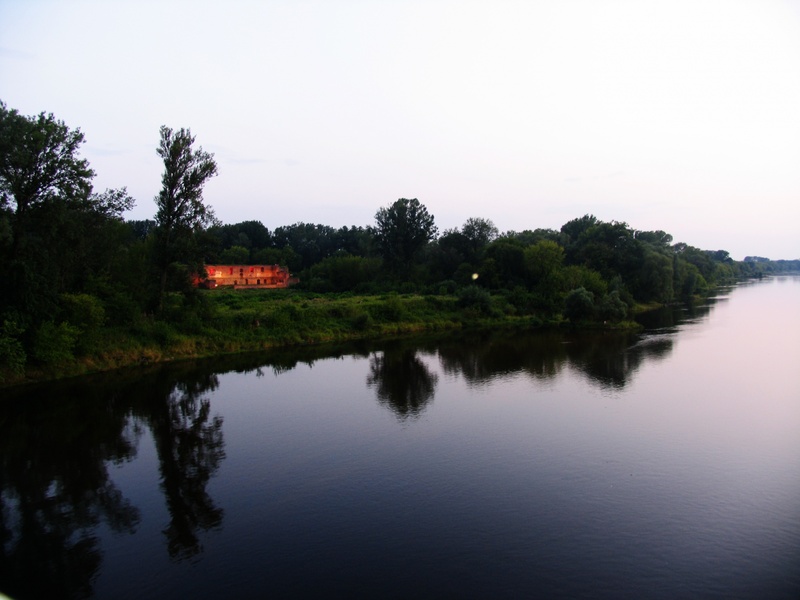 By the castle was a settlement known as Nieszawa, which after burning it by the Teutonic Knights and seize by them, castle has been moved into the upper part of the river. 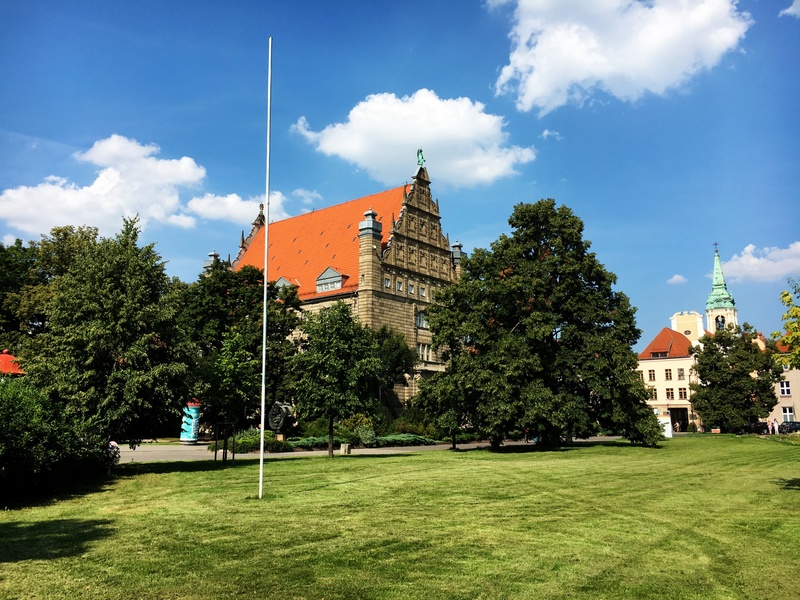 Four years passed until the castle came back into possession of the Poles. 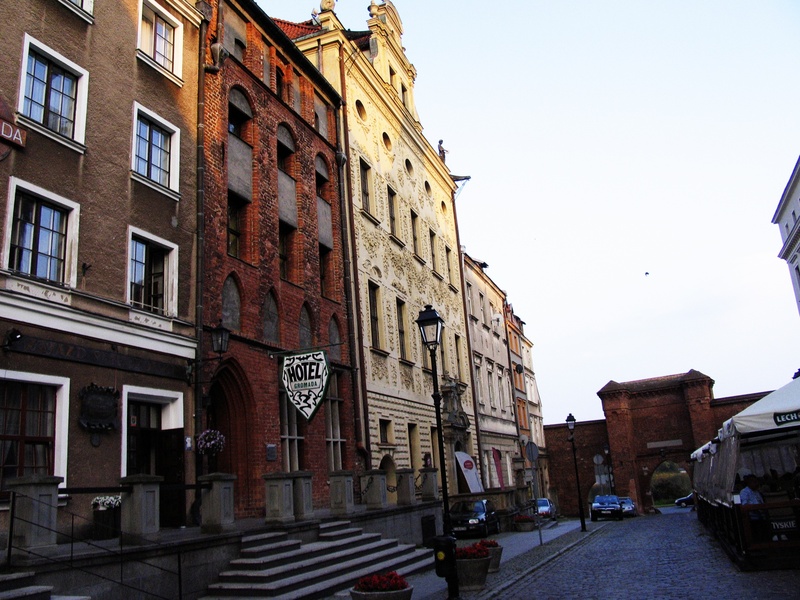 In 1656 it was damaged during the Swedish-Polish wars. To the fall of the Castle also contributed events of 1703, when during the siege the city was strafted from it. 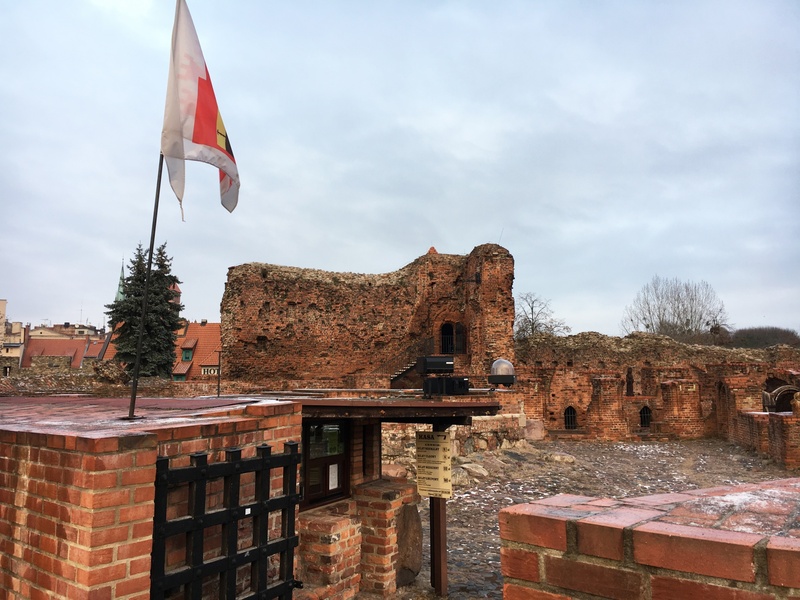 In the following years the castle was owned by the Dębski family, then the distilleries were formed and in the year 1813 it served as a point of resistance of the French troops. 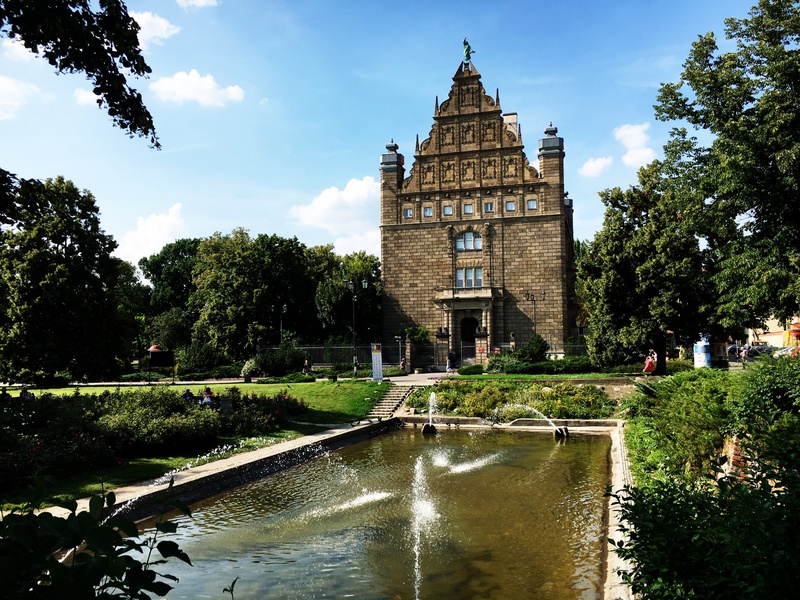 The Palace was built by Casimir Dąmbski in 1693 and until the end of the 18th century has remained as Dąmbski family property. 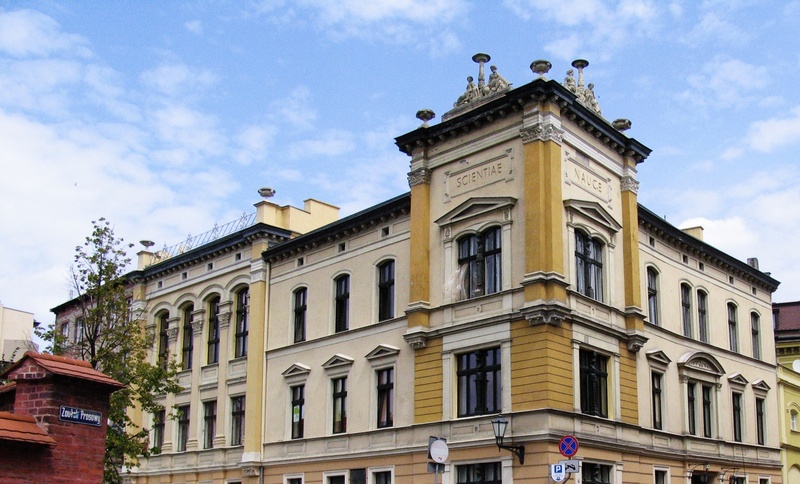 After this period, Baroque town house, which is characterized by richly decorated facade covered with plant-flower decoration was owned by many owners and served different functions, among others, there was hotel, casino, police headquarters, Command Corps District VIII, as well as the Society of Fine Arts. 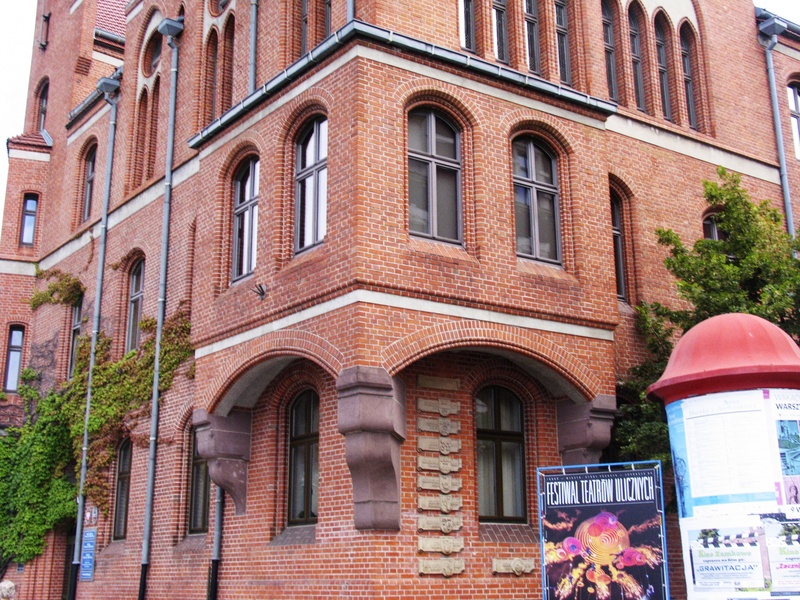 The building was also property of the Faculty of Fine Arts UMK. 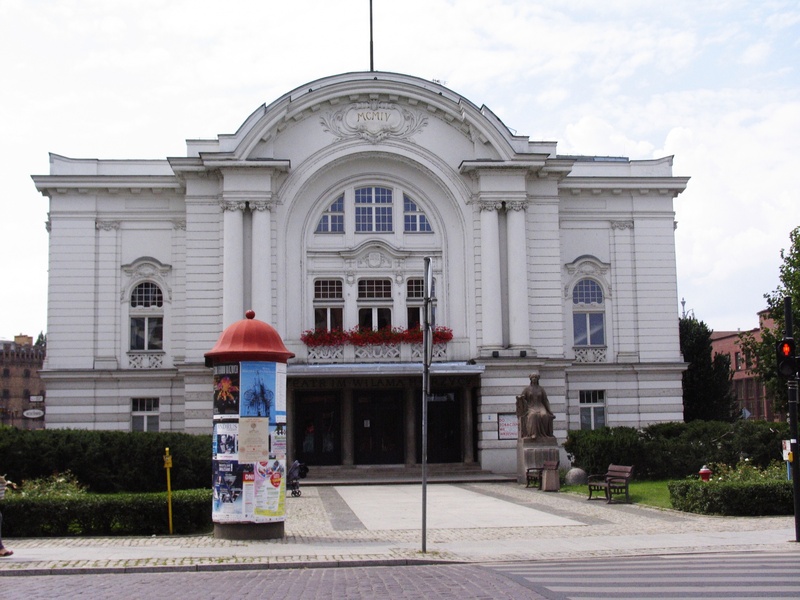 Today it houses Kujawsko-Pomorski Music Theatre. 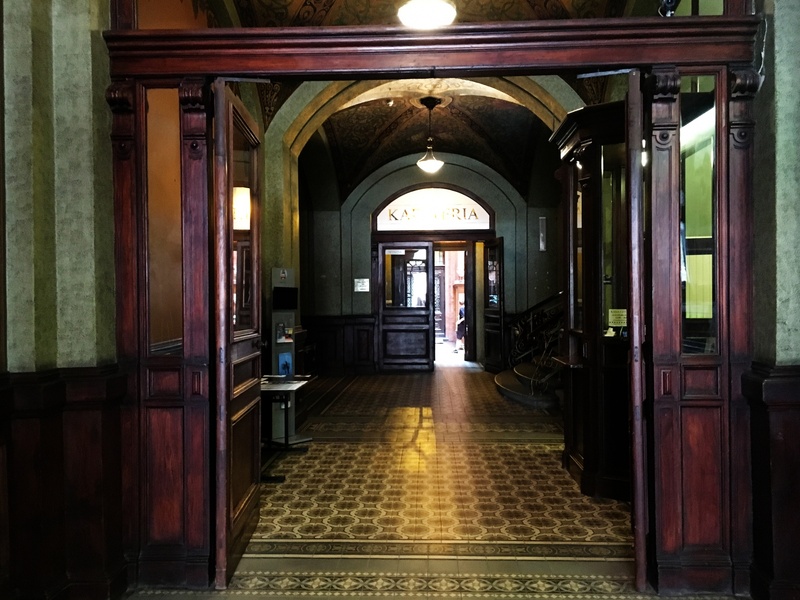 The building was built in neo-Gothic style in 1907. Initially it housed the School of Crafts. 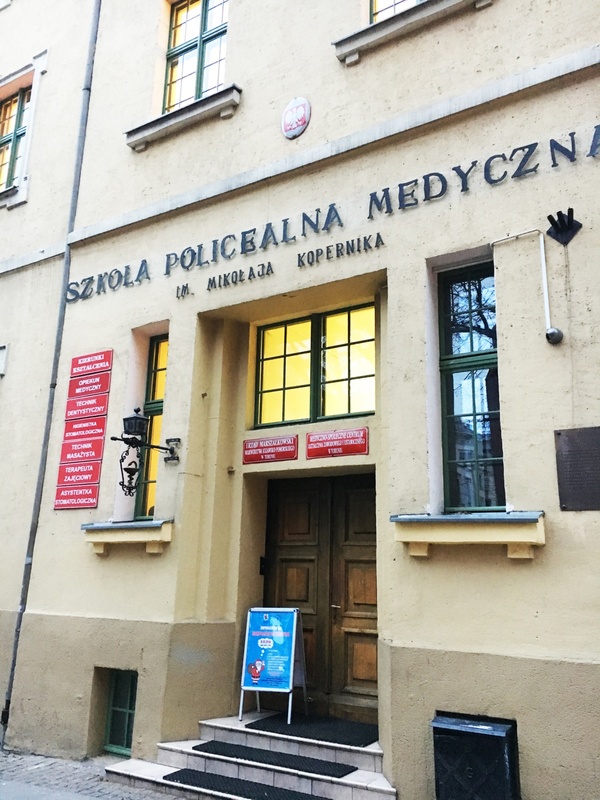 During the First World War there was a field hospital, and in the interwar period, the Office of the Pomeranian province. 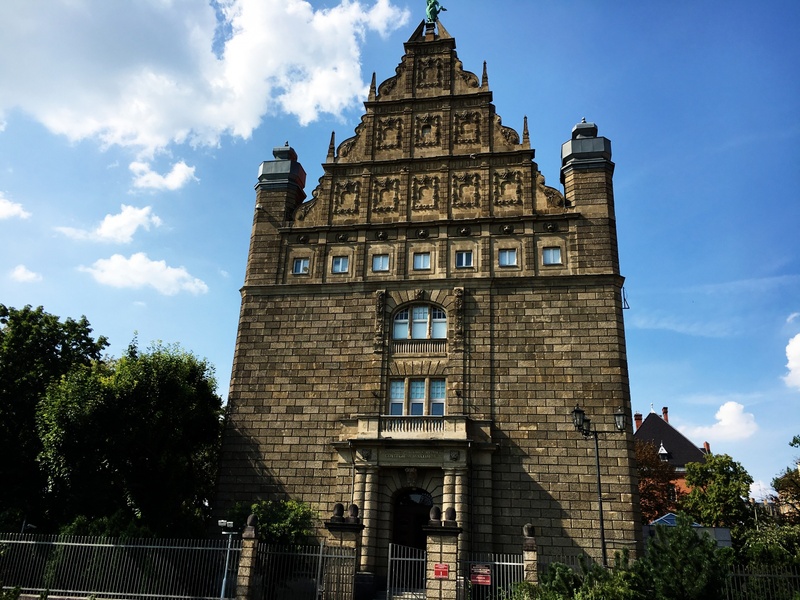 During the German occupation, the building became the headquarters of the Police and in his basement the prison was organized. 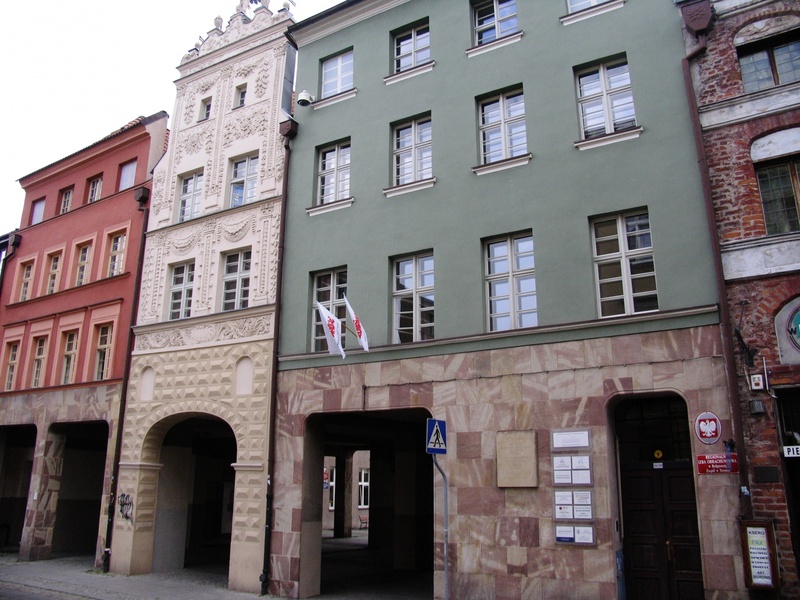 After founding of the University of Nicolaus Copernicus the building became its property, where initially the Rectorate was located, and then the Faculty of Humanities. 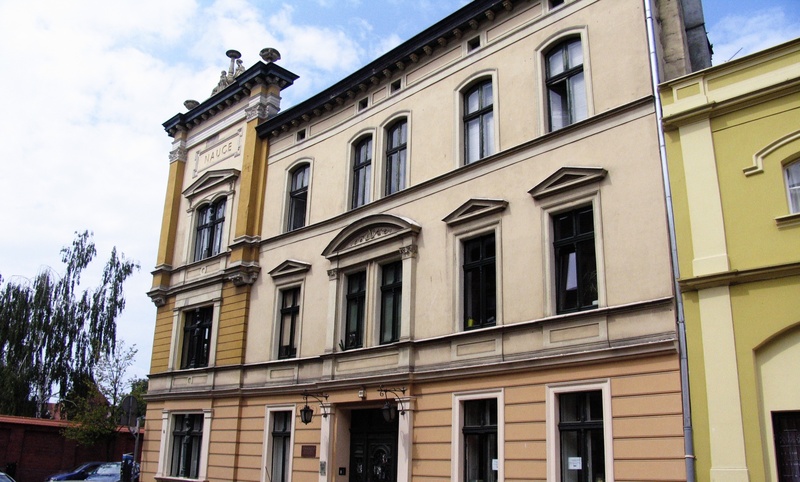 Today it houses the Faculty of Philology. 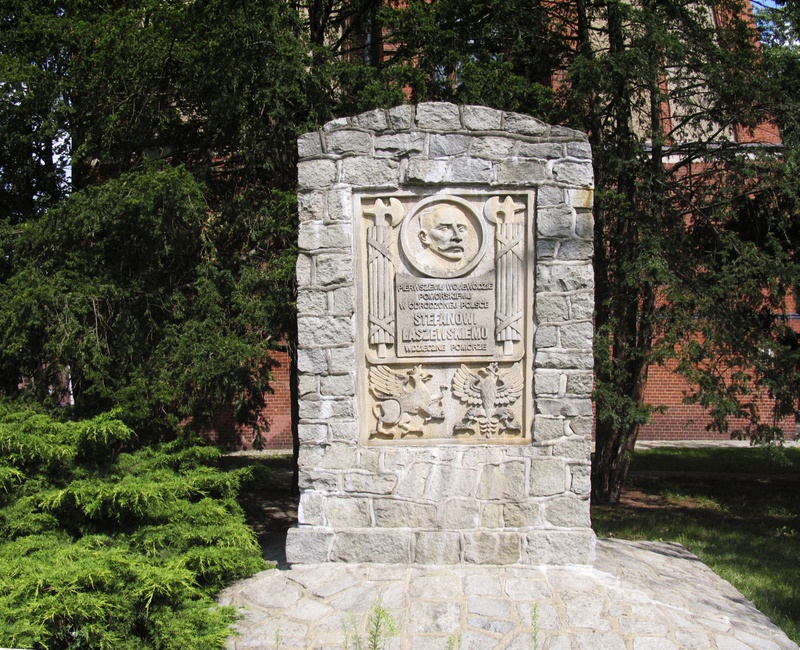 Next to Collegium Maius stands a monument of the first Pomeranian voivode- Stefan Łaszewski. 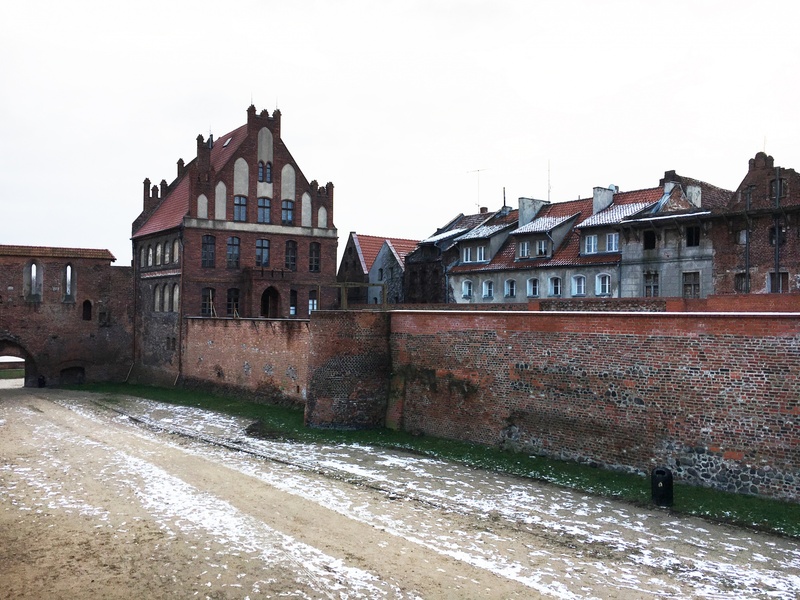 Manor Bourgeois is a Gothic building which was founded in 1489 and build of materials remaining after the destruction of the castle of the Teutonic Knights. 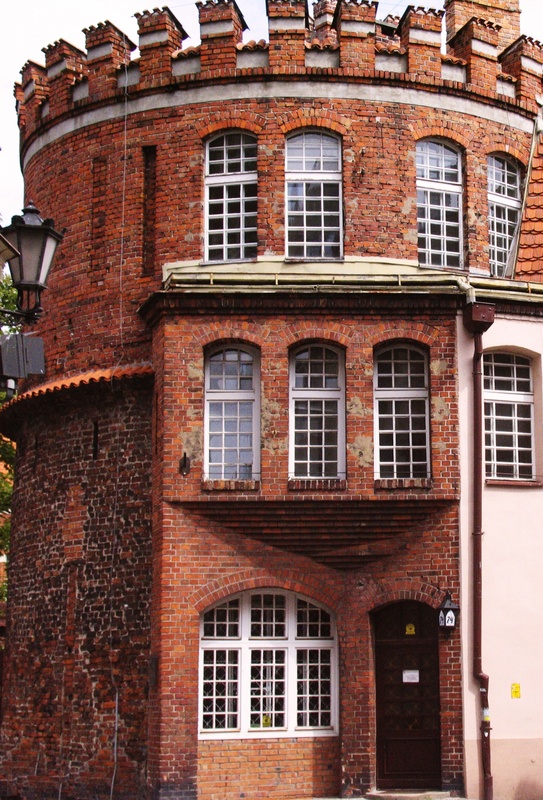 Court was the summer house of the Brotherhood of St. George who lived in Arthur's Court. It served mostly as recreational place. In the gardens were organized meetings during which they were shooting and drank beer. 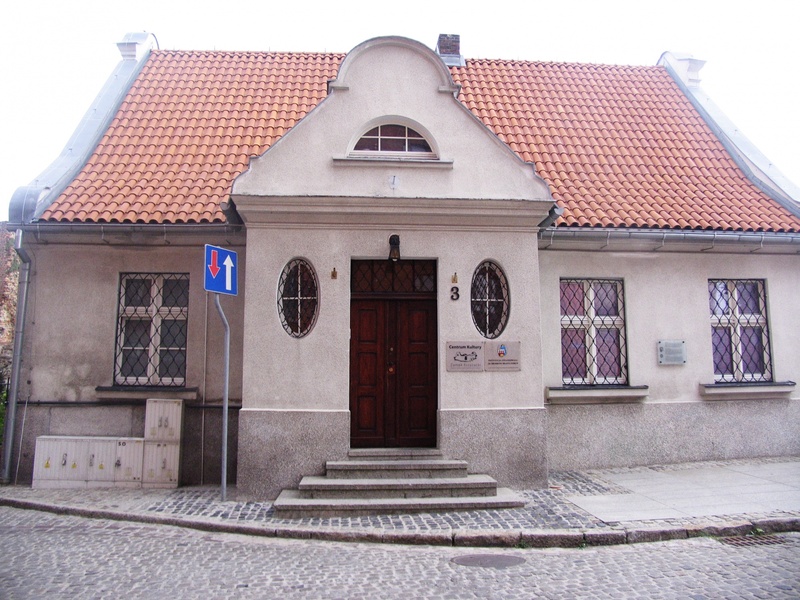 Today it houses the Centre for Cooperation Twin Cities Torun. 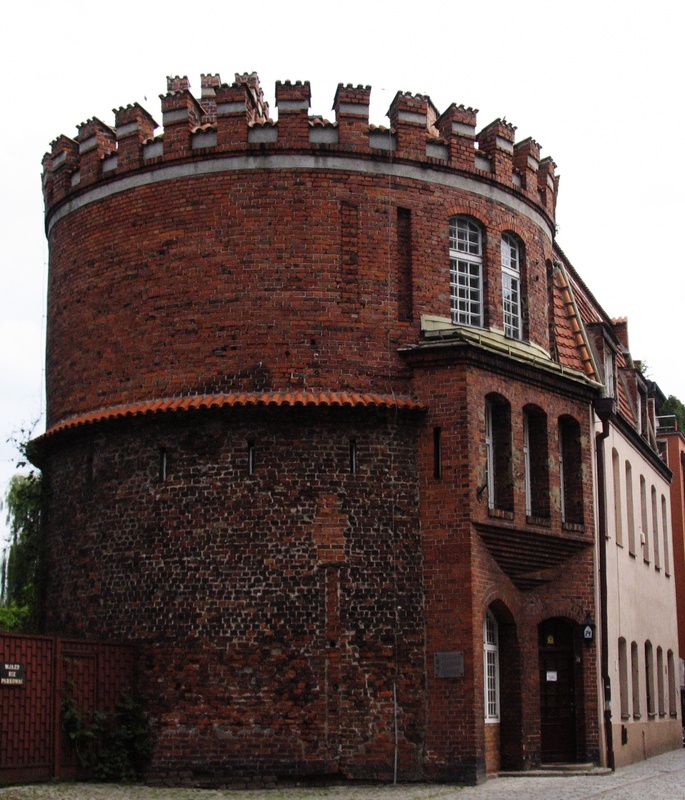 To the building characterized by shallow recesses in the walls and turrets, belongs Guardhouse Tower. 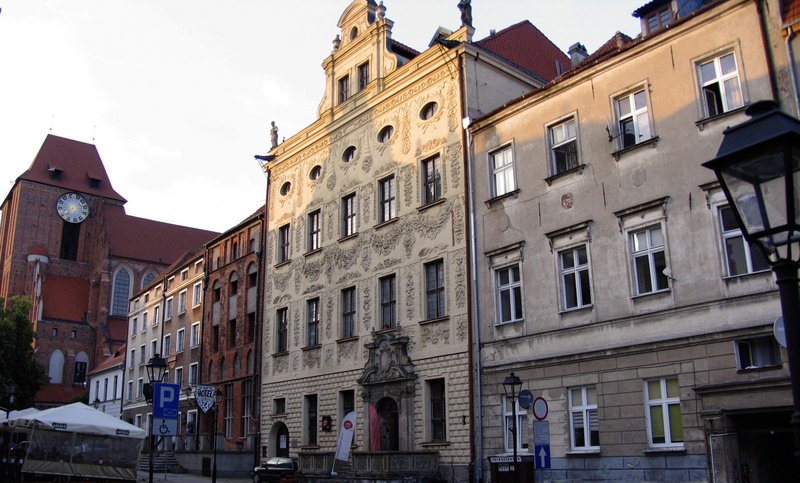 The Palace was built in the late Baroque style in the year 1739, as the seat of Jacob Meissner -the town Mayor. 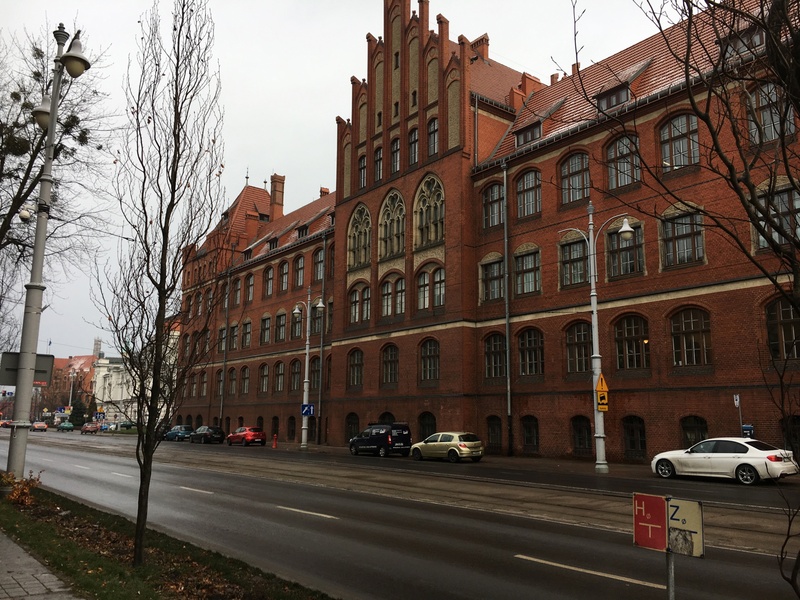 Fifty-six years later, for two years, Region of Plock had been placed here, and the building became the seat of the Office of excise duty. 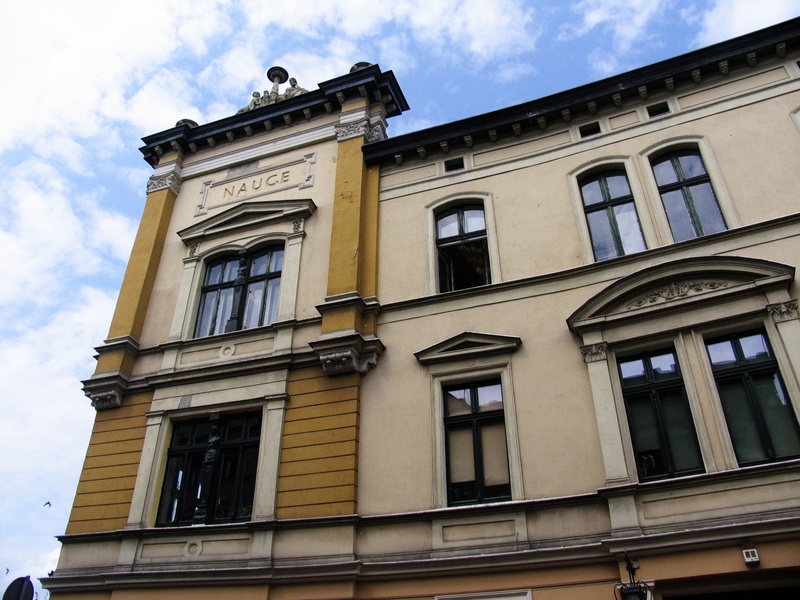 Present Classicist-style of building was given to it in 1800 during the remodeling. Today in the building there is the House of the Boy Scout located, where there are organized activities for children, youth, and adults. 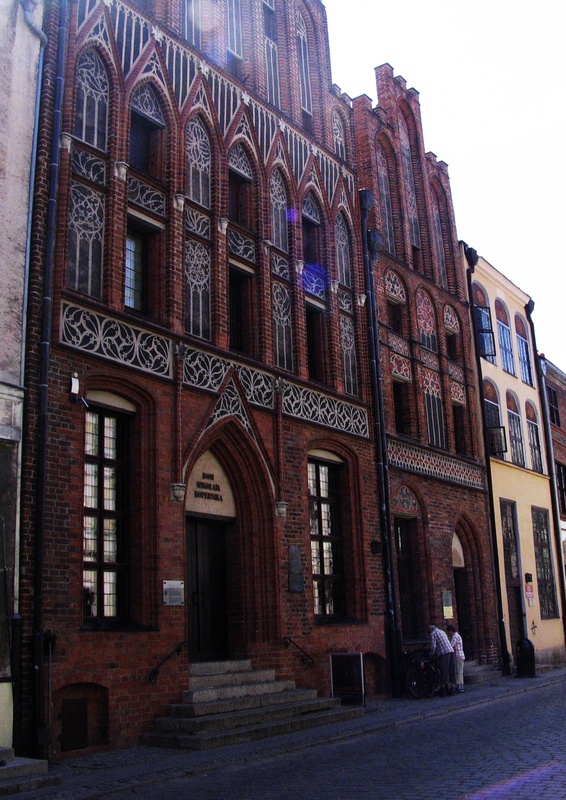 The Royal Pharmacy was located in 14th century Gothic building. 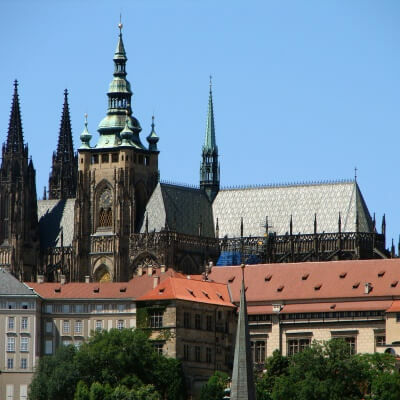 It was founded in 1389 and existed until 2011. 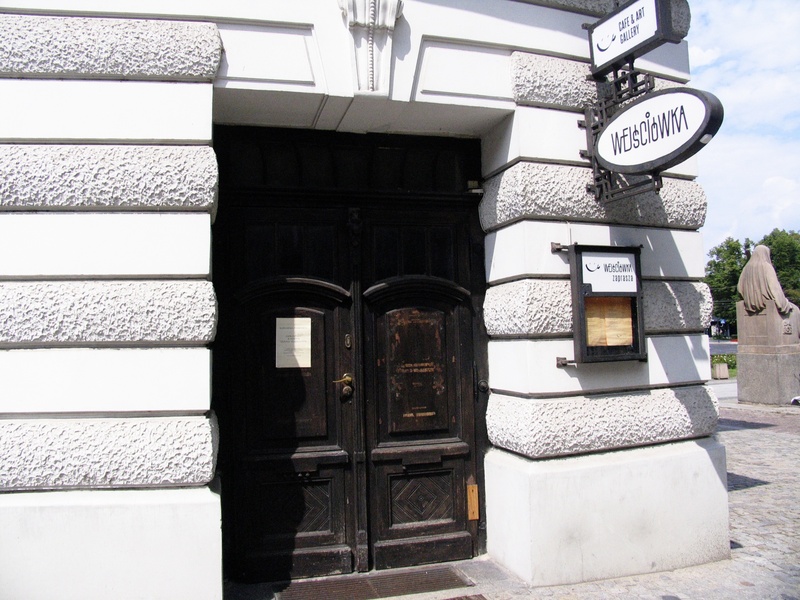 It was considered the oldest continuously operating pharmacy in Europe. After 622 years it was closed, and in its place patisserie and apartments were located. 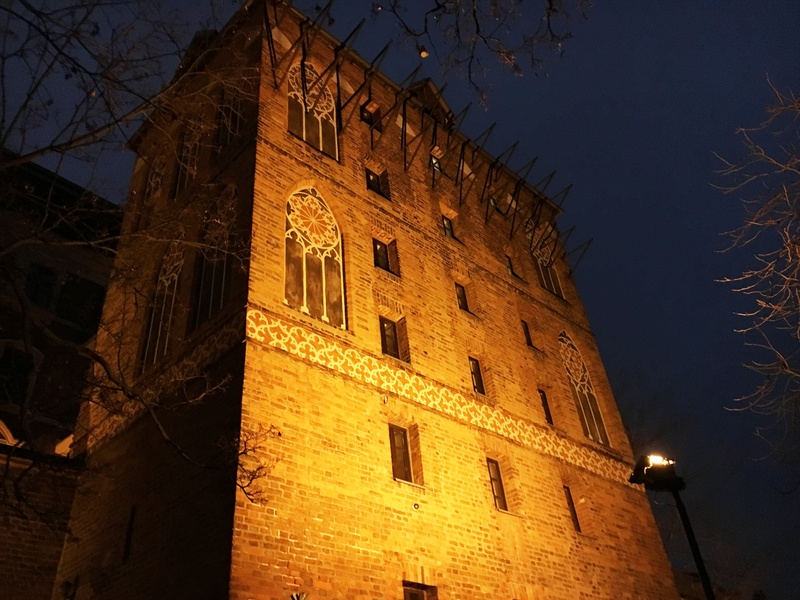 To this day, the elements of the building's interior from the Gothic period, Renaissance, and the 18th and 19th centuries were preserved. 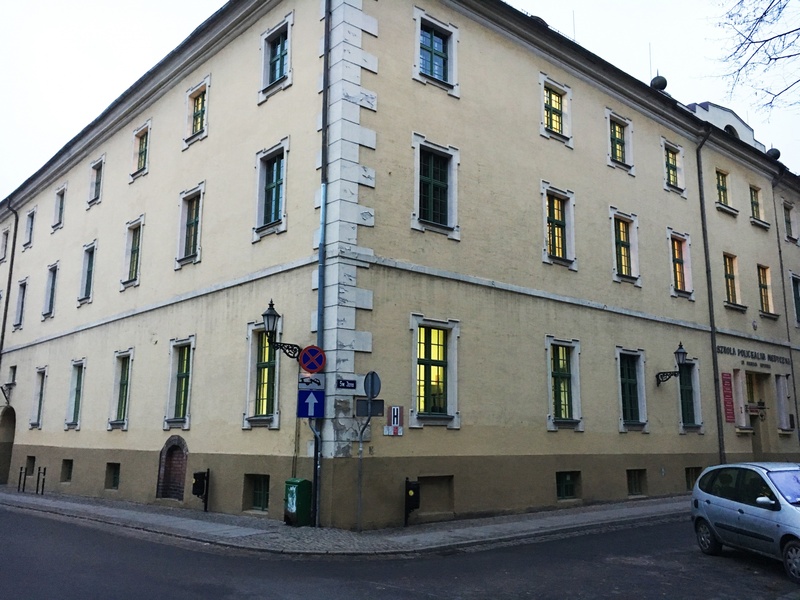 The current appearance of the building's outside is the result of the reconstruction which took place in the mid-19th century. 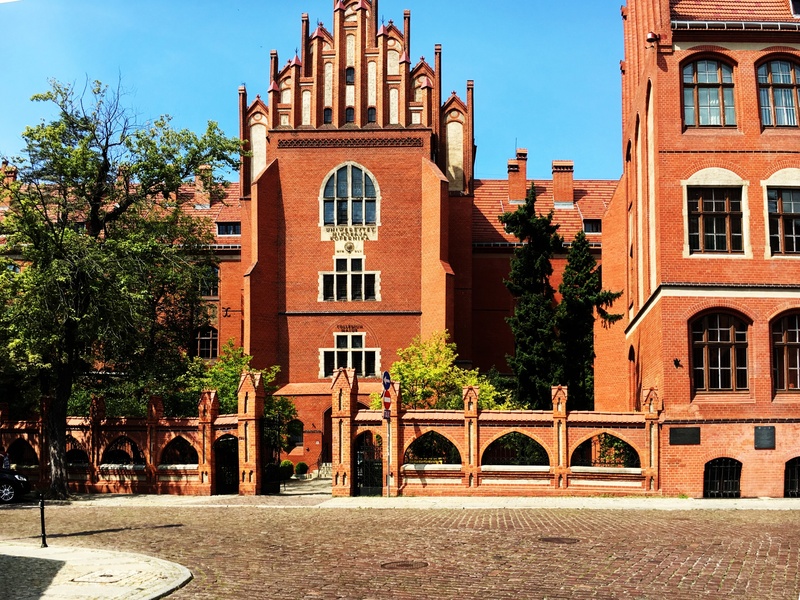 Jesuit College created in 1605 was a school run by the Jesuit order. 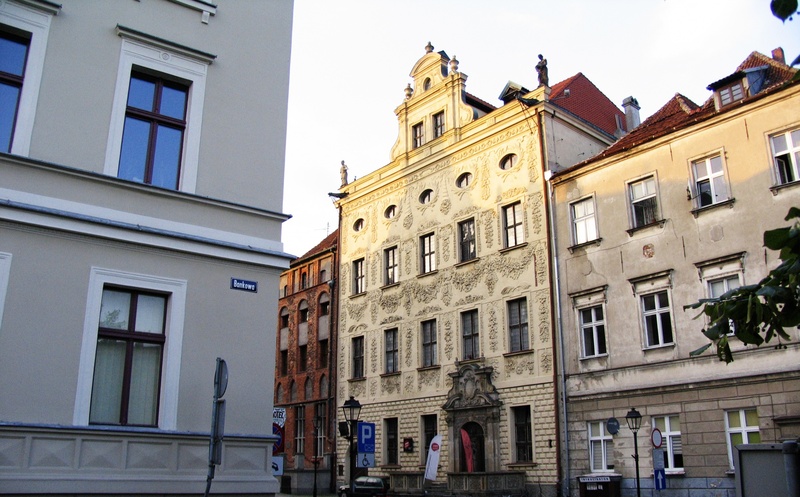 The present building was built in 1698 thanks to the Bishop Stanislaw Dąmbski. 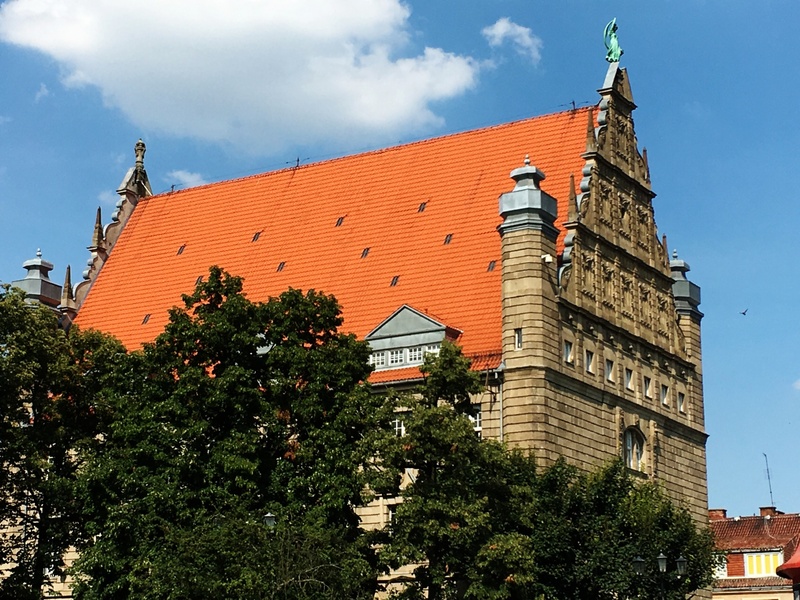 Initially, the building stood out with richly decorated Baroque facade, but after the second partition of Poland, when it has been transformed to Prussian barracks, it was destroyed. The building was restored in 1970-1972. 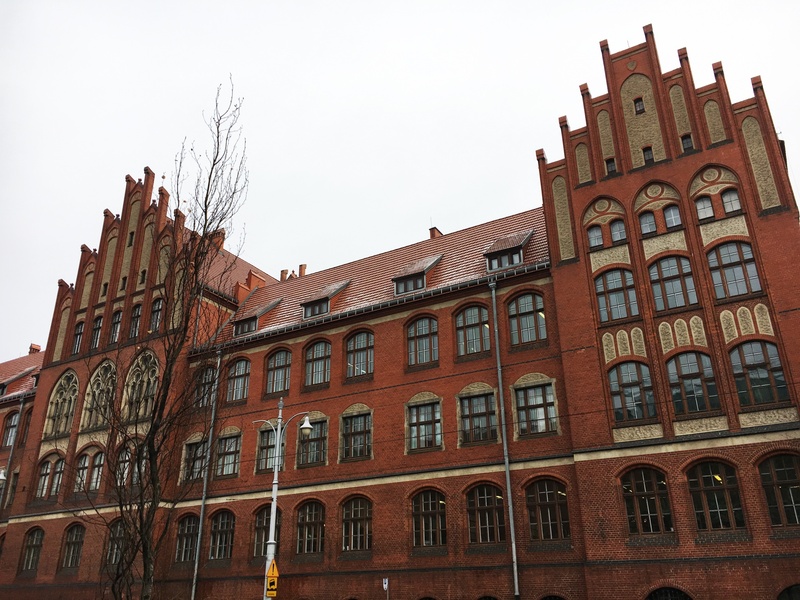 Today it houses the Medical and Social Centre of Vocational Training and Lifelong Learning. 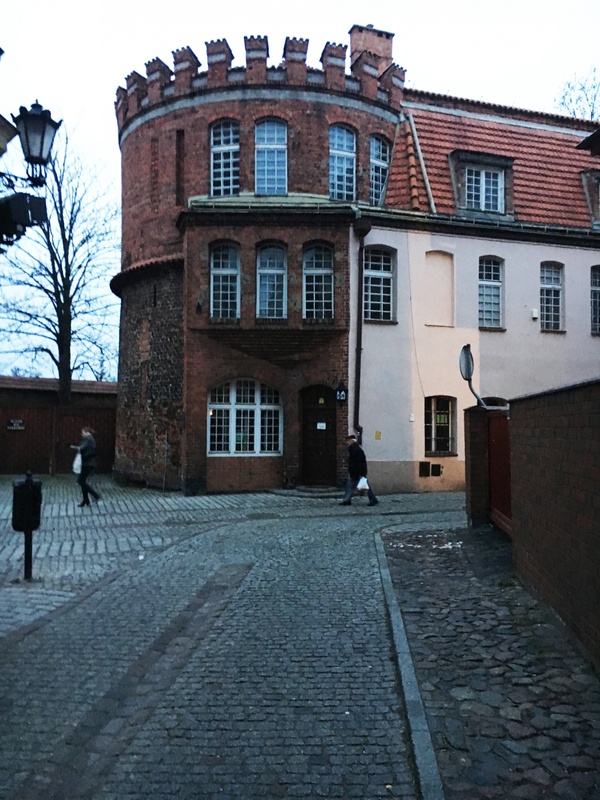 Tenement probably dates back to 13th / 14th century. 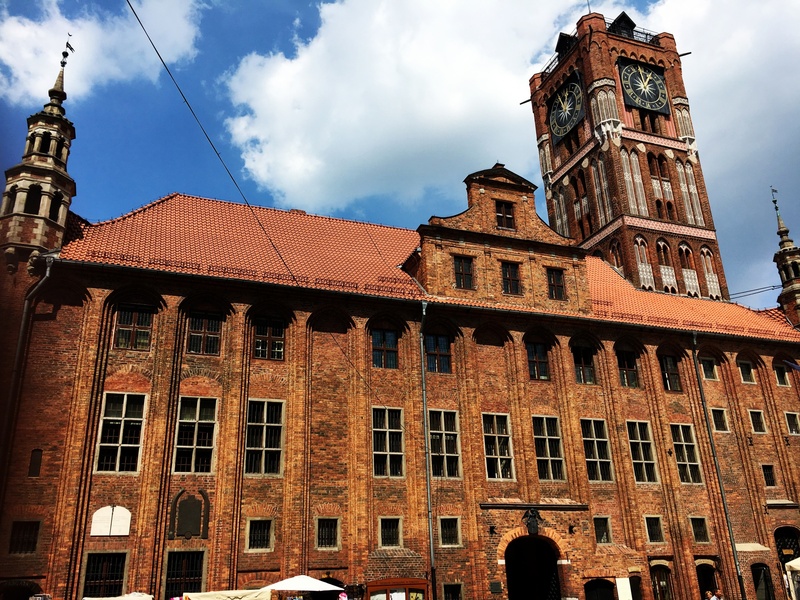 From 1578 it was owned by the elite of Torun - Schotdorf family, who gave the facade the Renaissance style. 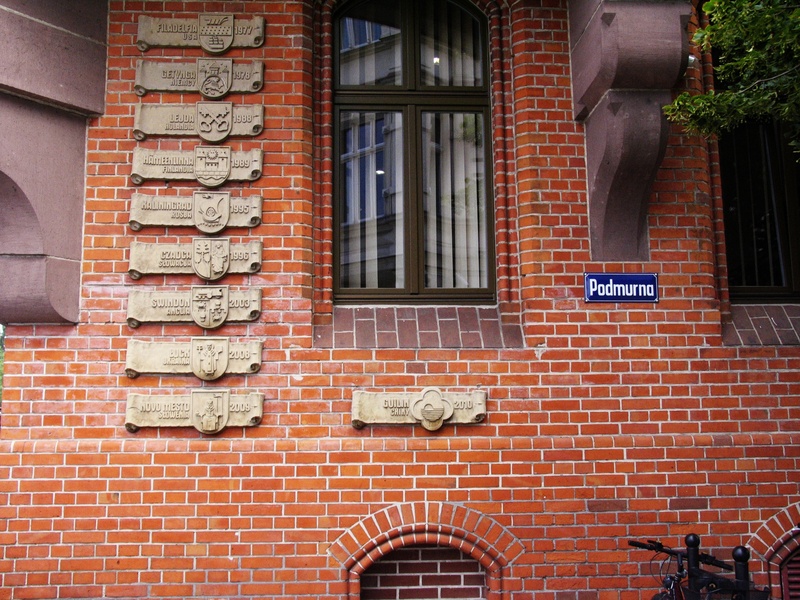 The emblem, currently located on the facade, recalls the owners of 1578. The following years the House had several owners, who also changed the appearance of the building. 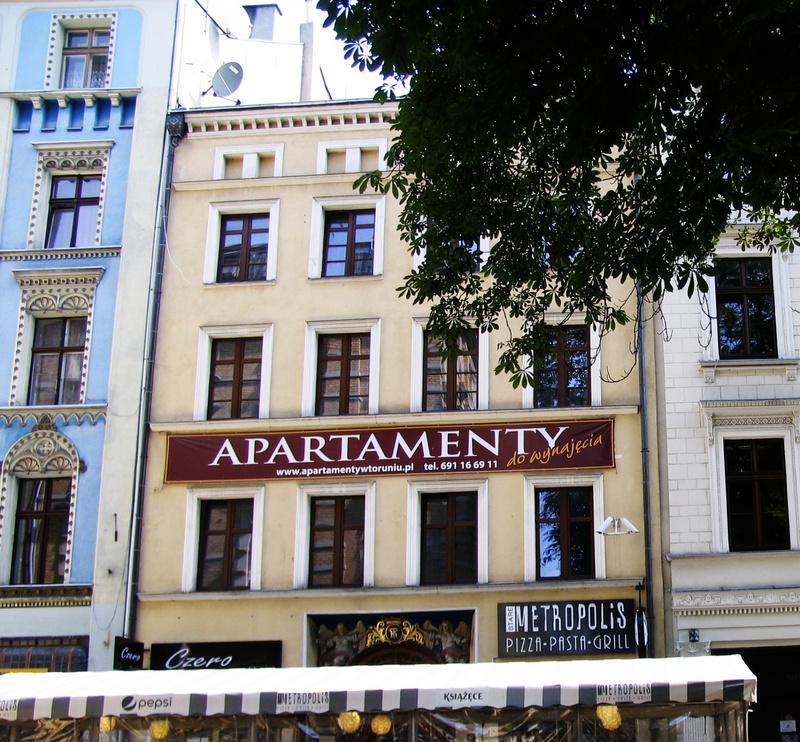 In the 19th century it was rebuilt from the Renaissance style to the eclectic style. 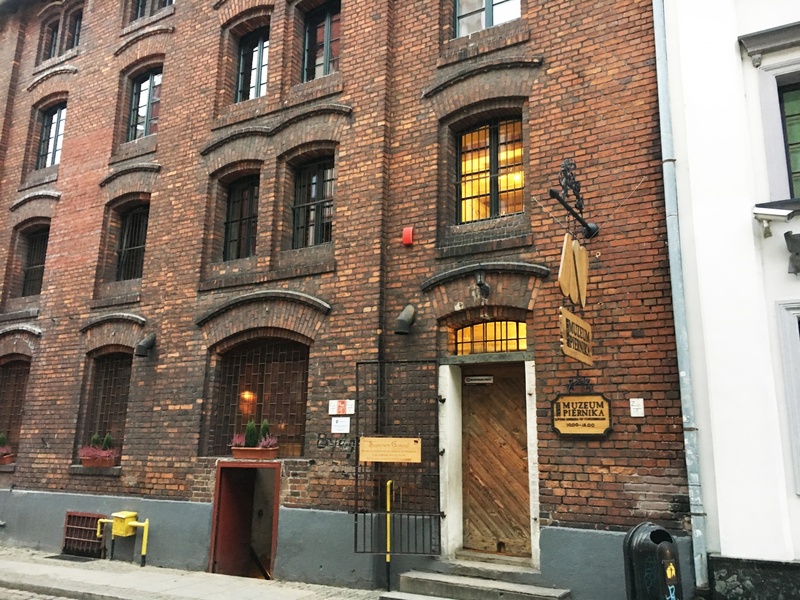 One of the building's owners, Henius Markus, in 1868, opened in this building the factory of spirits and liqueurs and a tavern, often visited by raftsmen. 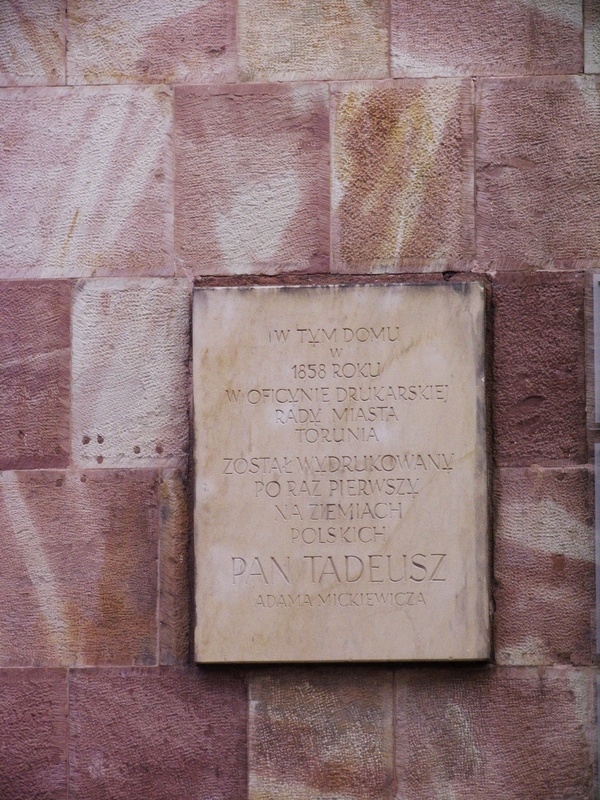 Placed in the facade of building bas-reliefs reminds people about the inhabitants of the Tenement under the Turk. 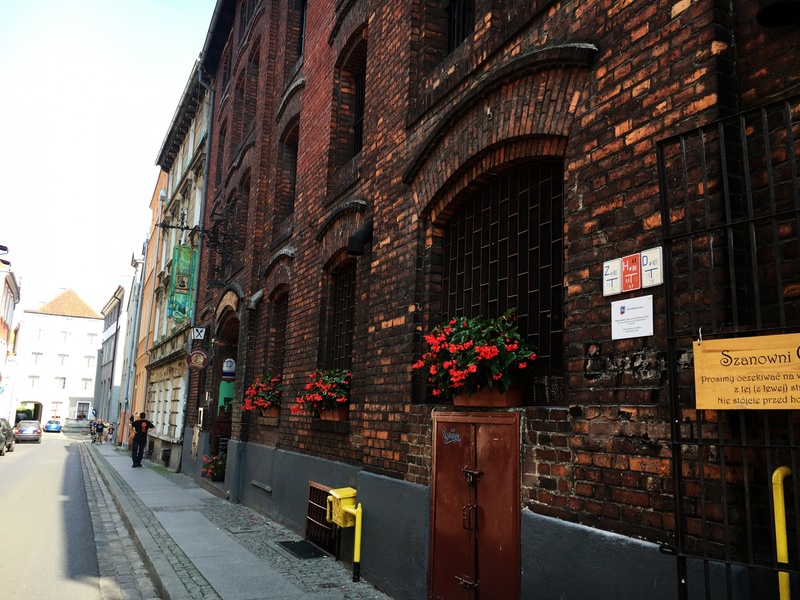 In the tenement built in 1742 by Jacob Fenger came into the world his grandson -Frederick Skarbek. 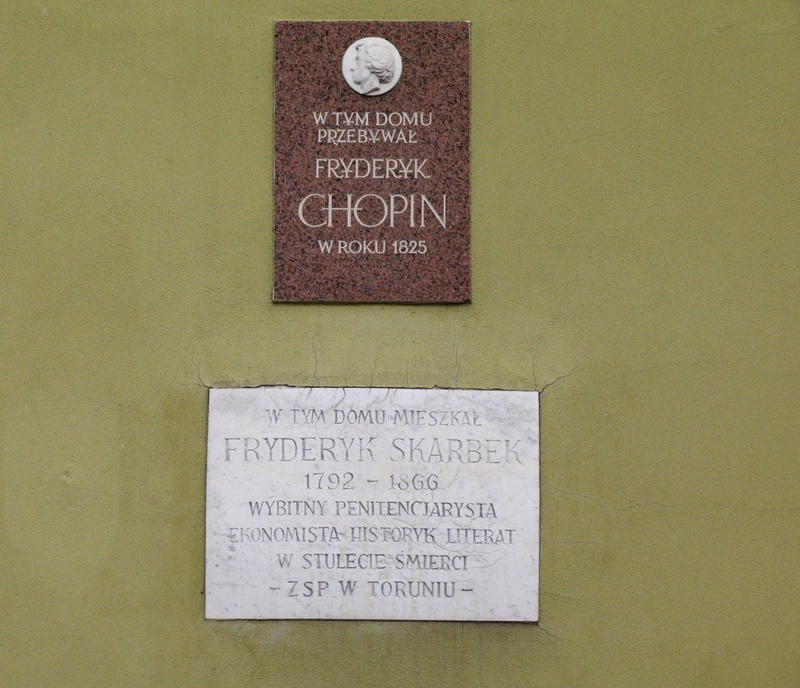 During the holidays 1825, Frederic Chopin lived in this townhouse, whose father was a teacher of Fryderyk Skarbek. The two lower floors of the building were meant to be apartments, the rest of them - magazines. 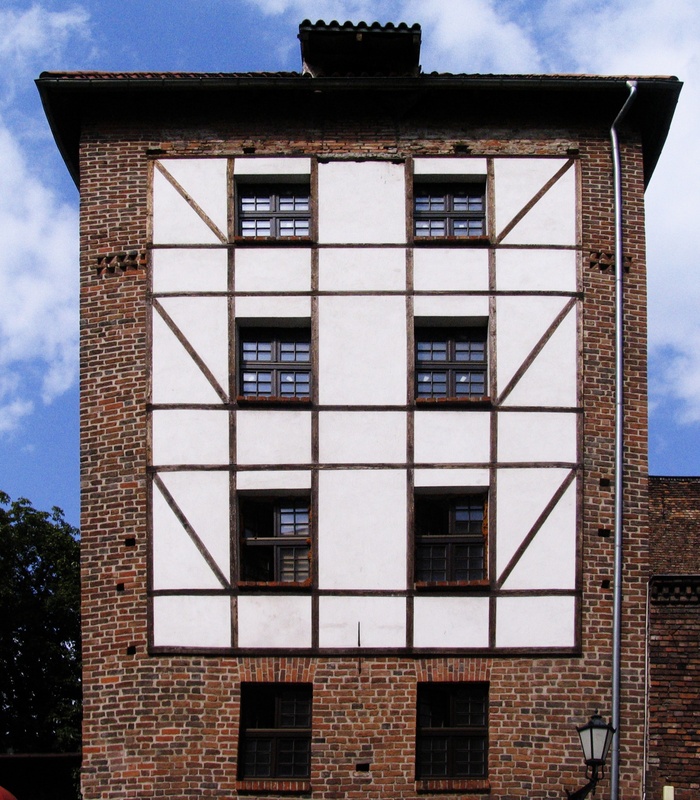 Building's baroque elevation was stripped in the 19th century, then was simplified. The veneer and the interior was converted for rental housing. 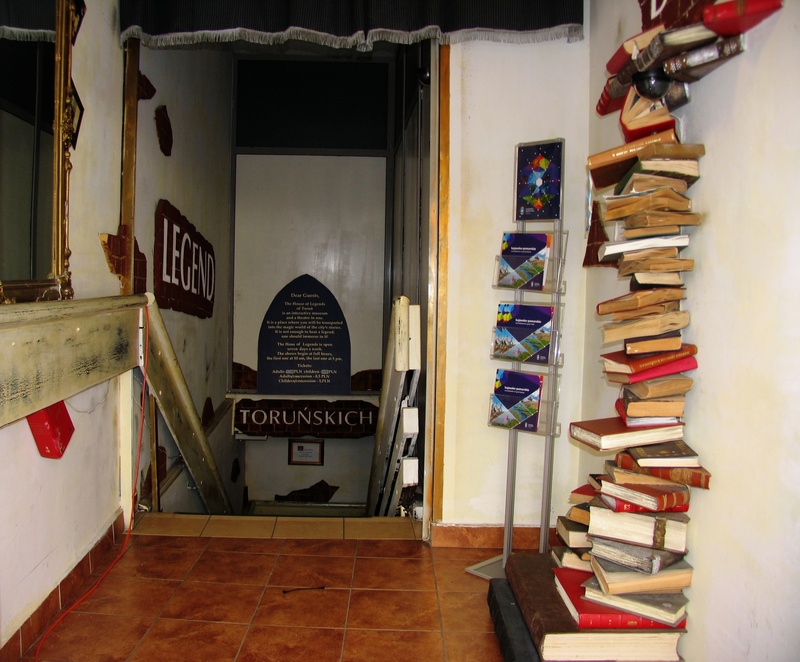 The House of Legends of Toruń is located in the basement of the Gothic townhouse from 1913. 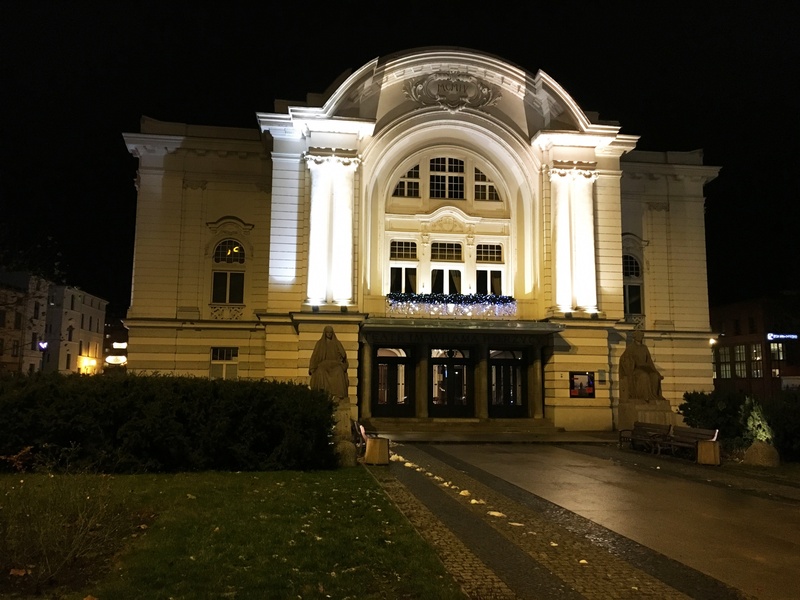 It combines both museum and theater. 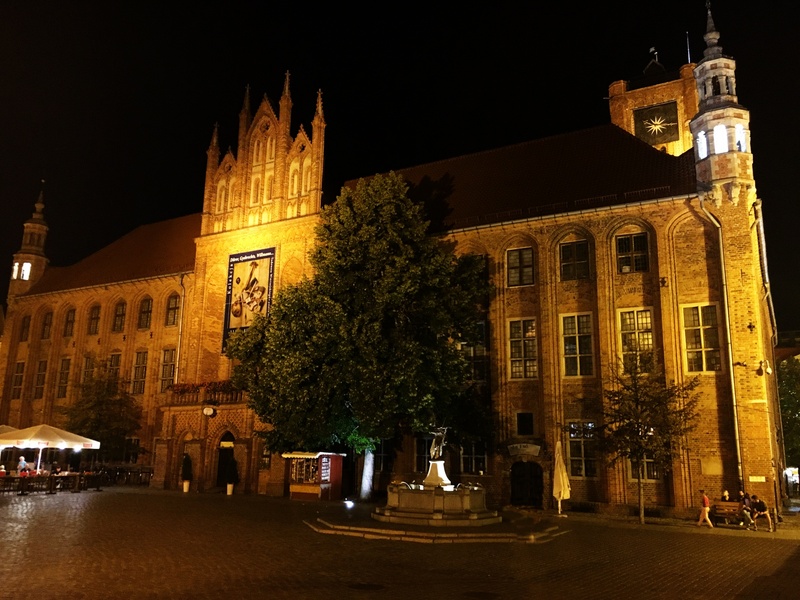 During the 45 minute sightseeing, guests can hear about six legends of Torun told by animators dressed in appropriate costumes. The scenarios are prepared for the appropriate age group. 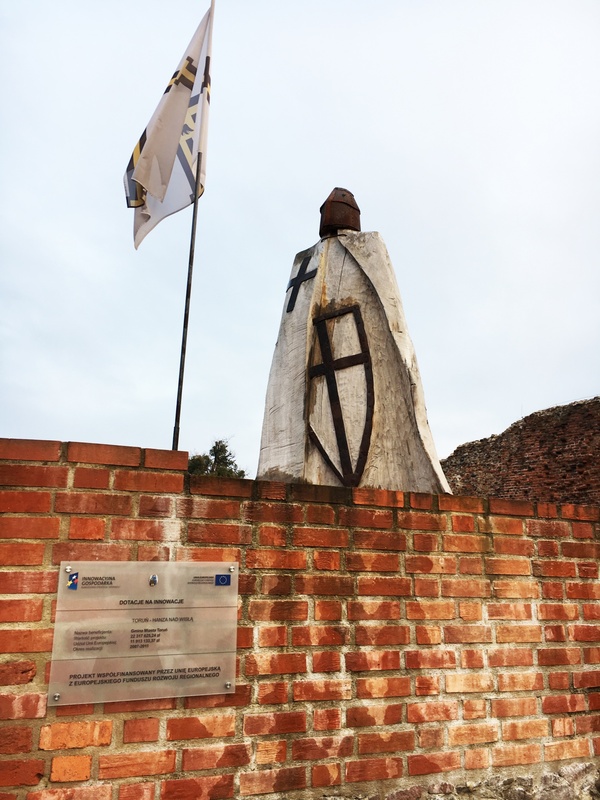 Each visitor can not only listen to the legends, but also play the role of raftsman, a knight or even a king. 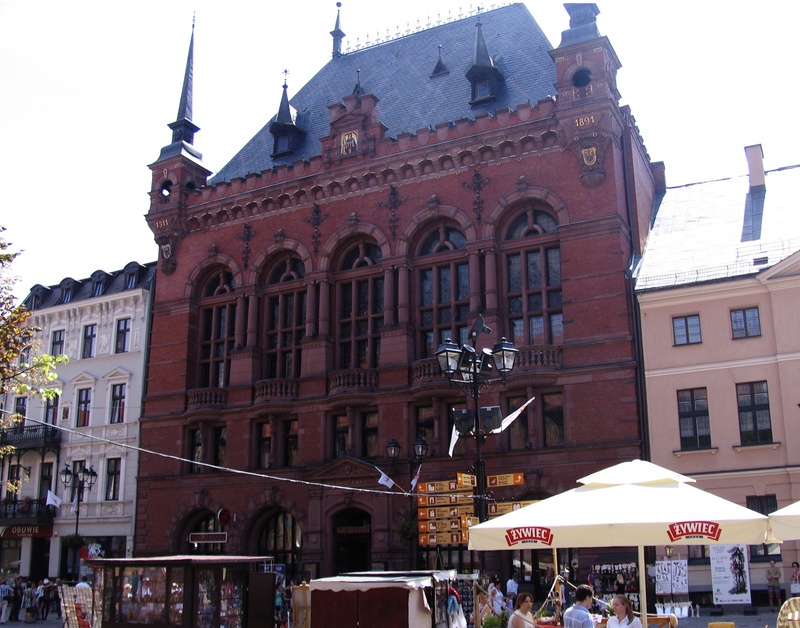 In addition, in the House of Legends of Toruń it is possible to organize various events, i.e. birthdays and corporate events. 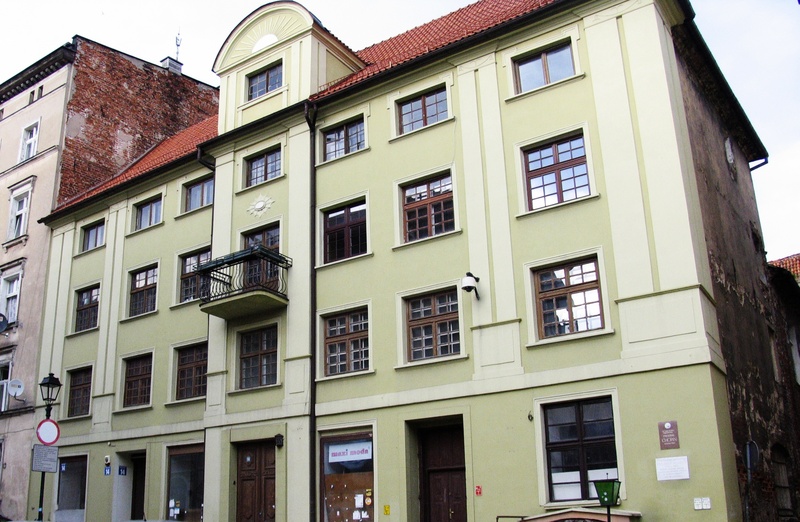 The medieval tenement was rebuilt in the 17th and 19th centuries. 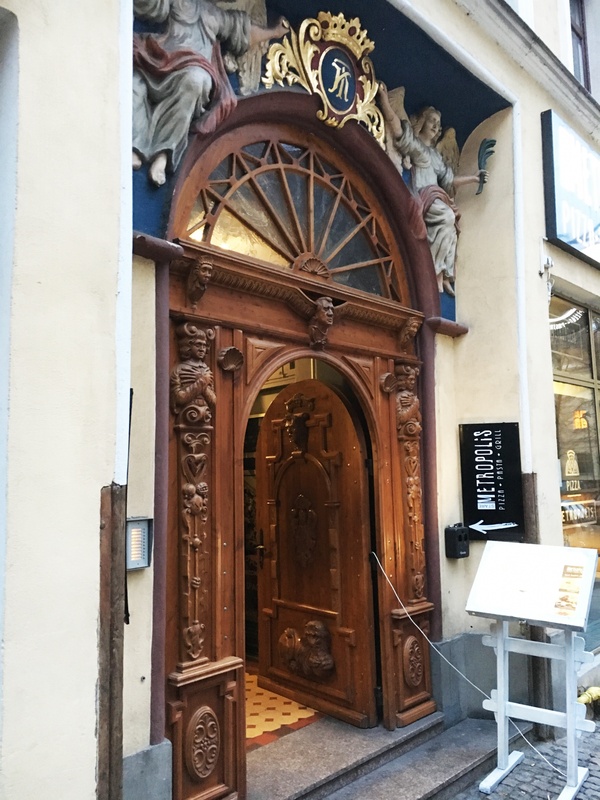 Special attention attracts, preserved till today, a decorative frame entrance doors from the 17th century. 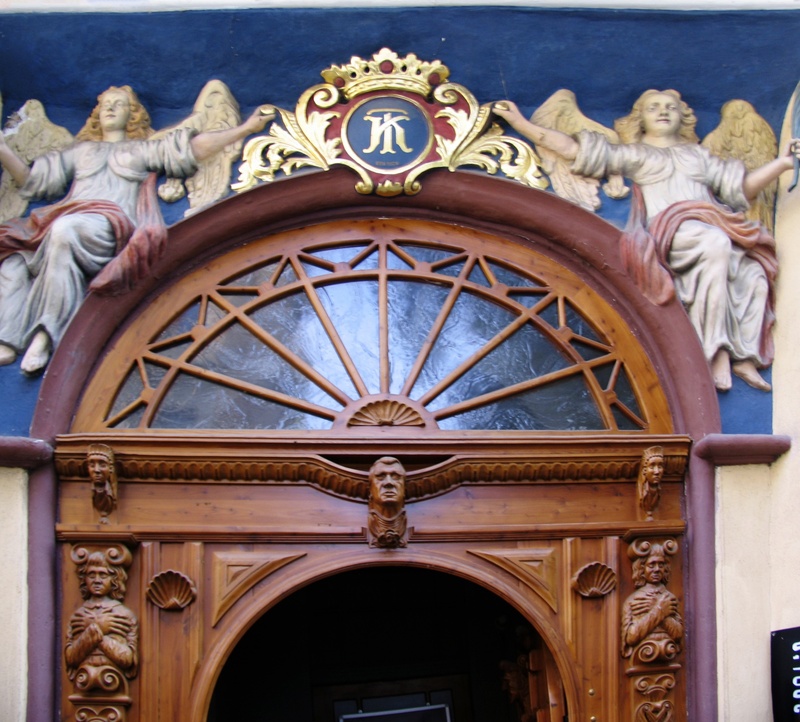 The Portal shows two Angels dressed in gauzy robes, holding a Palm tree in one hand and the emblem decorated with a Crown in the second hand. 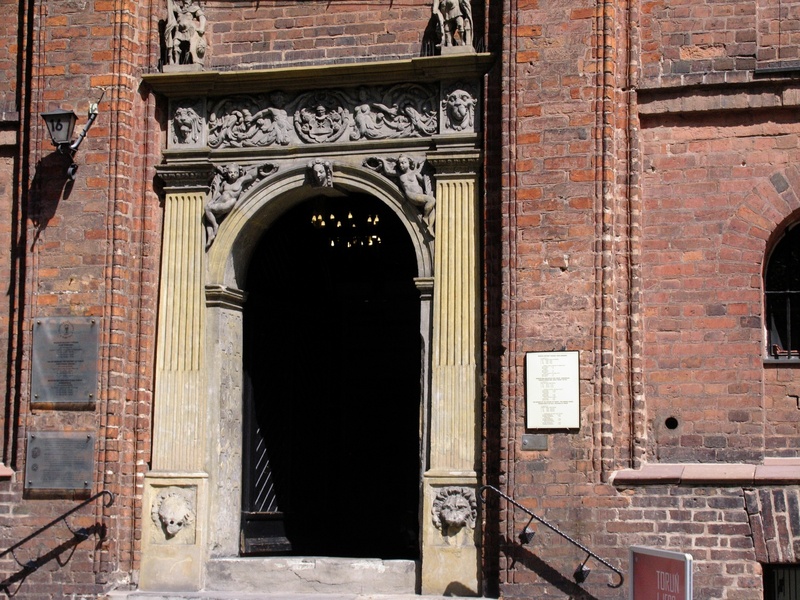 In the portal there is visible the replica of richly carved gateway of 1640, which original piece is in the District Museum in the City Hall. 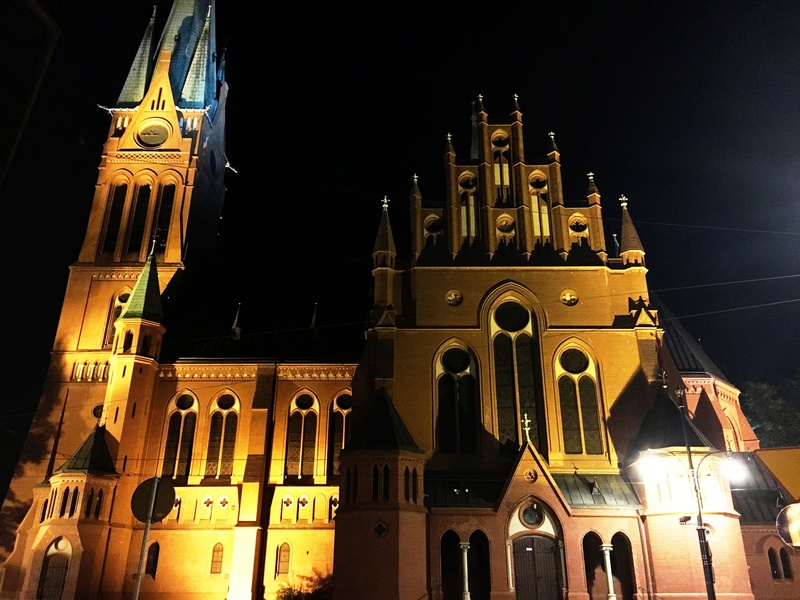 The construction of the church in neo-Gothic style began in 1902, and was completed two years later. 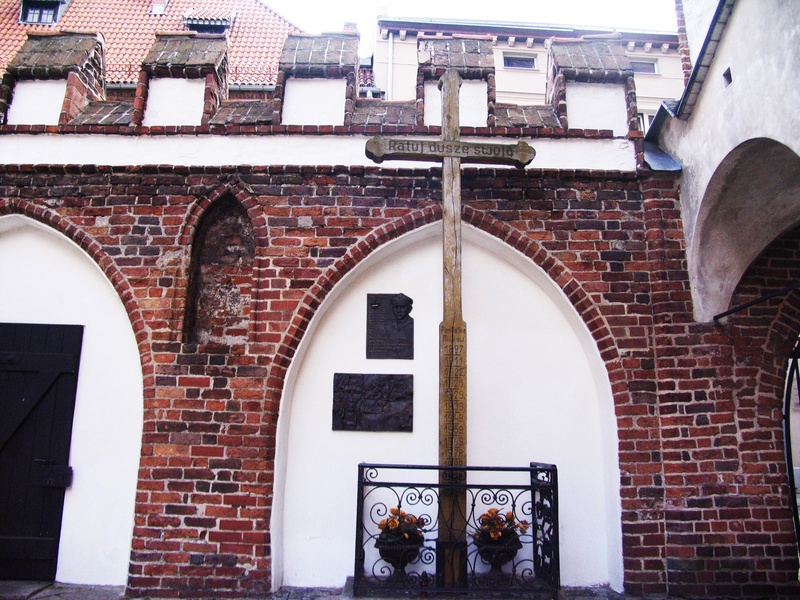 Initially, the parish population of about 100 people was part of the Polish Protestant church formed by the union of the church. 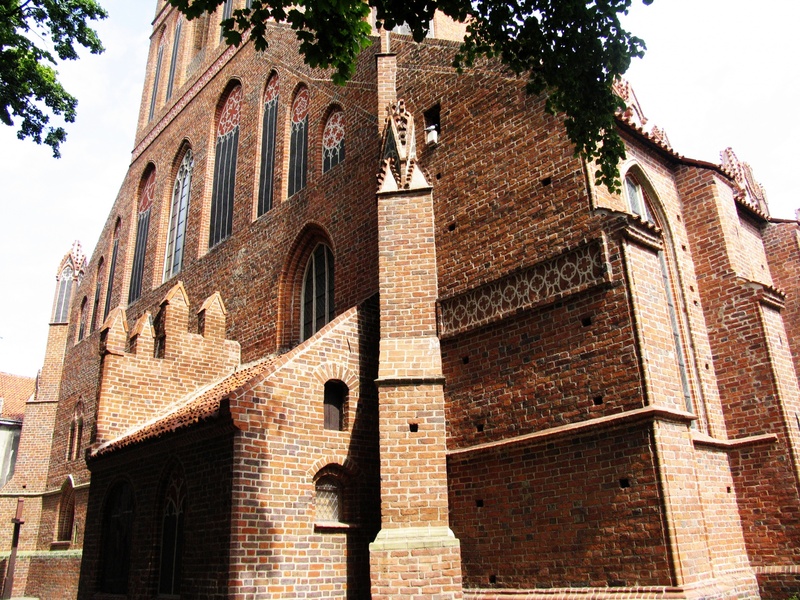 During World War II, the church was destroyed and restored only after being transmitted to the Evangelical-Augsburg parish. The Interior of the Church contains elements such as stained glass Windows, organs, pulpit, baptismal font and numerous images. 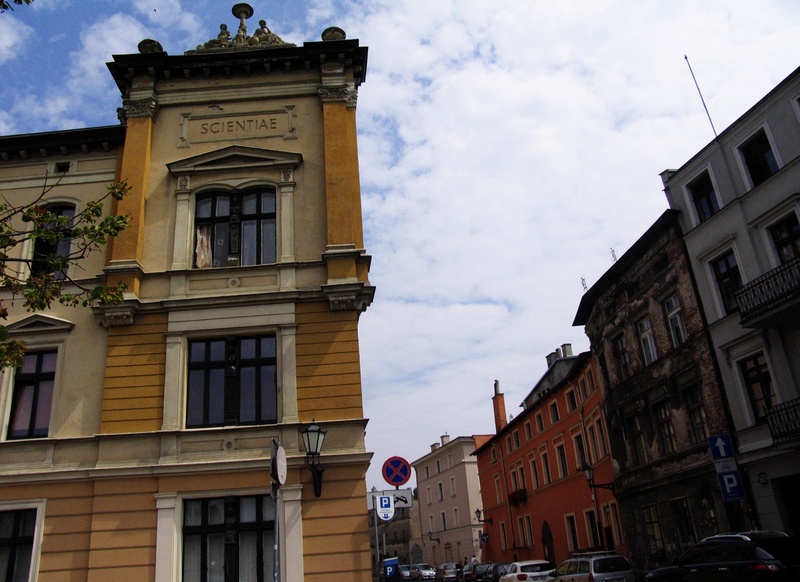 The present building of the Scientific Society was built on its needs in 1882. Scientific Society has been existing since 1875 and is mainly engaged with the development and with popularization of science and culture. 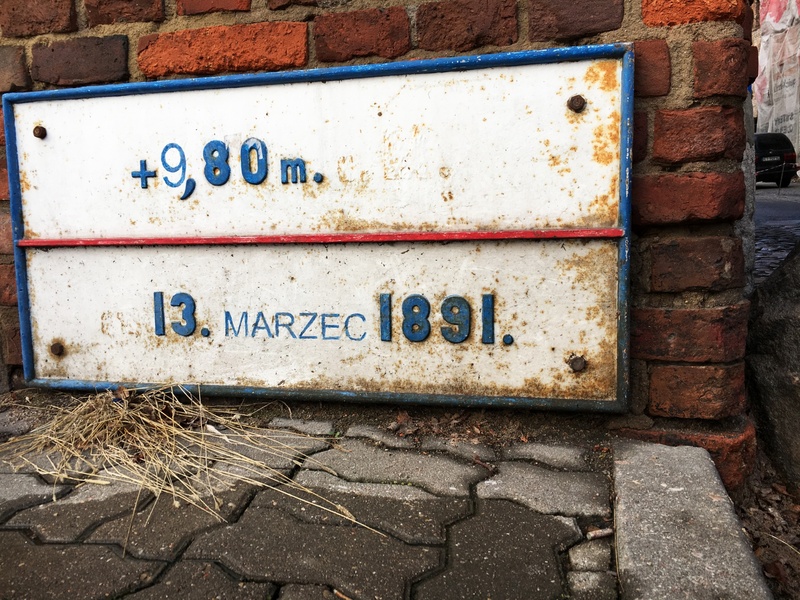 It played important role during the partitions of Poland, when its main task was to prevent Germanization. 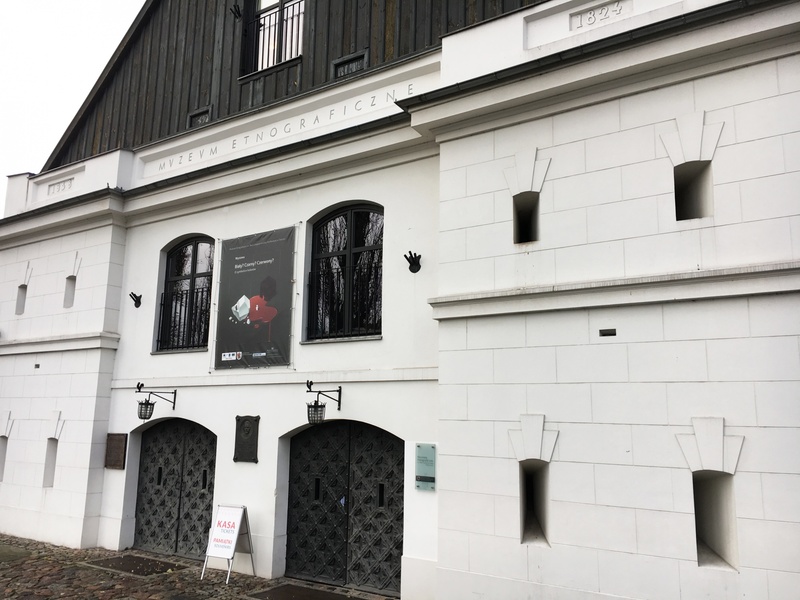 The Association also dealt with the collection of museum collections, which were located in its building in the years 1876-1930, as well as the lead publishing activities. 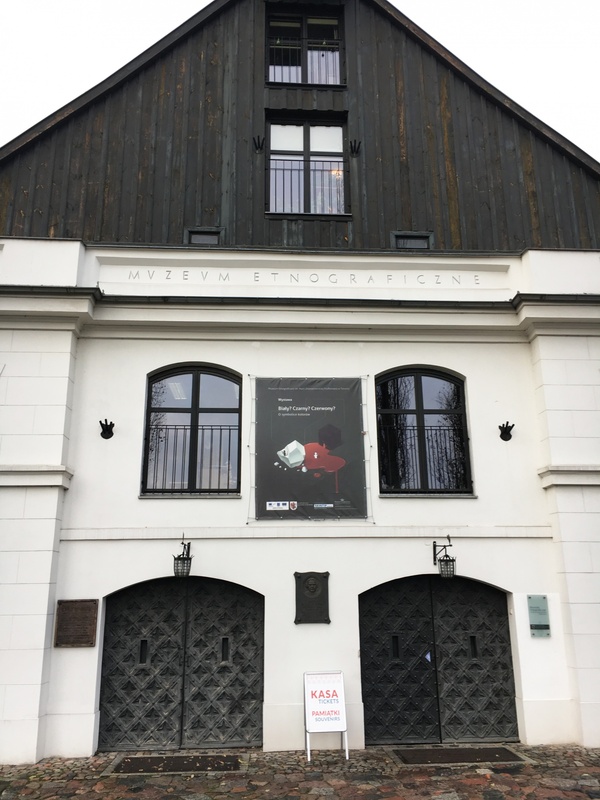 All the exhibits have been donated to the Museum District, and during World War II went missing. Only part of them was restored. 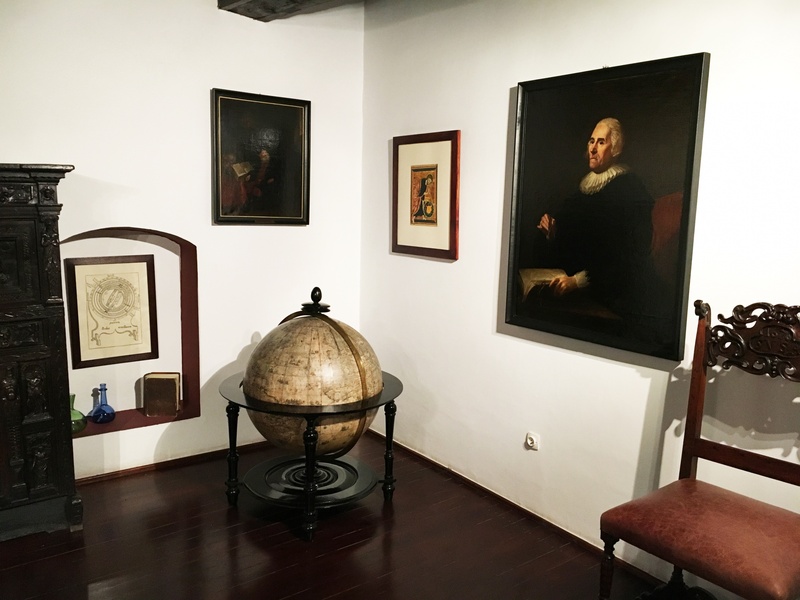 Currently, in addition to research, the presentation of their results and dissemination of Scientific Society history, they also organize meetings and symposia. 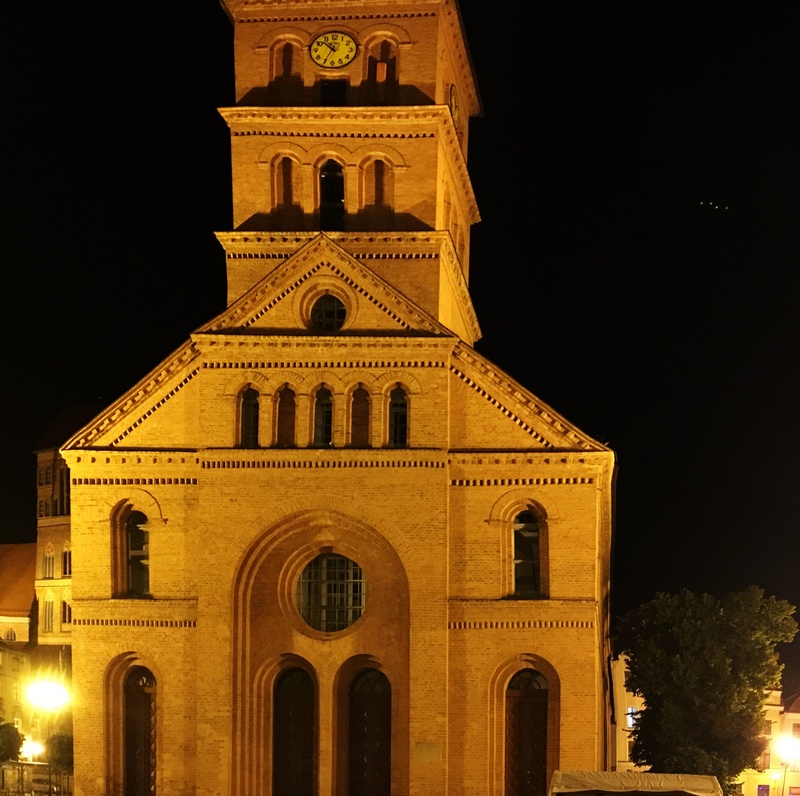 The church was built in 1824 on the former site of the medieval town hall. 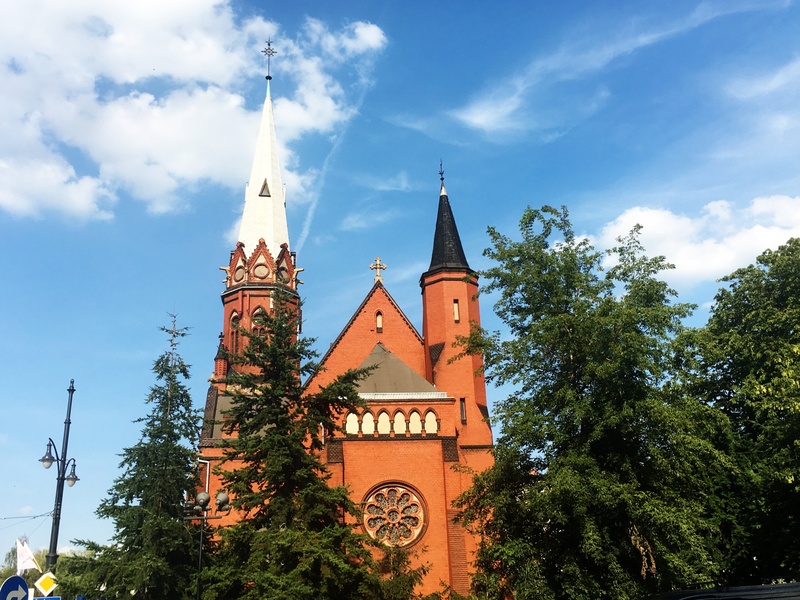 In the years 1927-1945, it had served as an Orthodox church. After World War II the warehouse was organized there. Building was preserved thanks to the Tumult Foundation, which has owned the building since 1989. 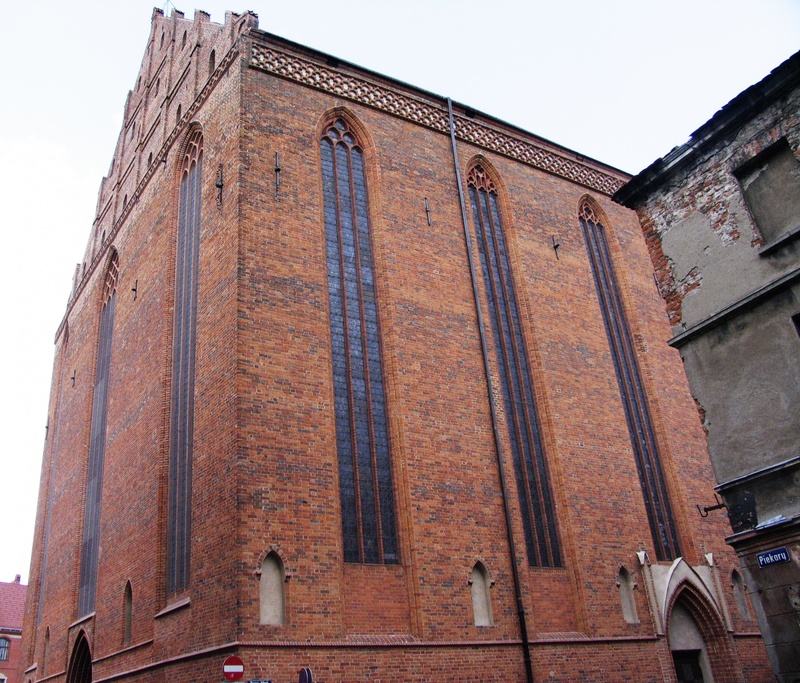 Many pieces of equipment of this Neo-Romanesque church with a classical interior was moved to the other temple. 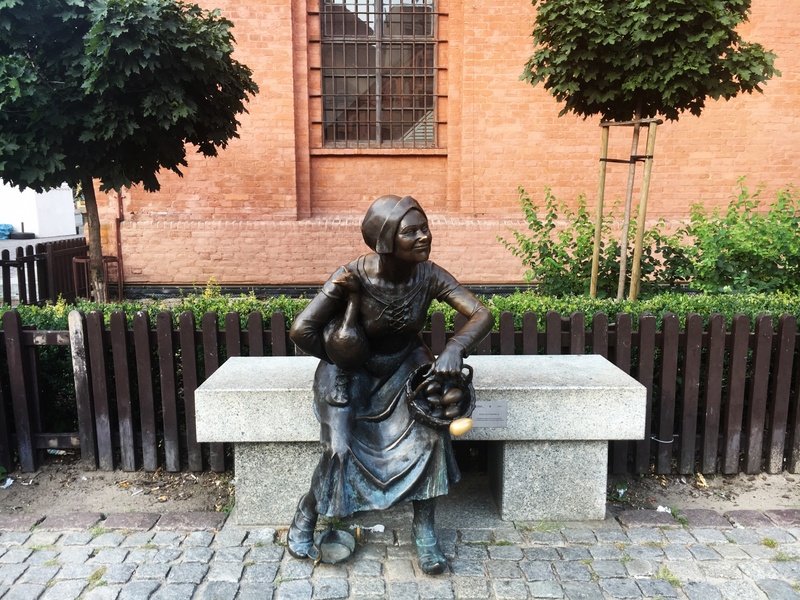 In front of the church stands a monument of Torun's tradeswoman which symbolizes the blooming trade once in this place. 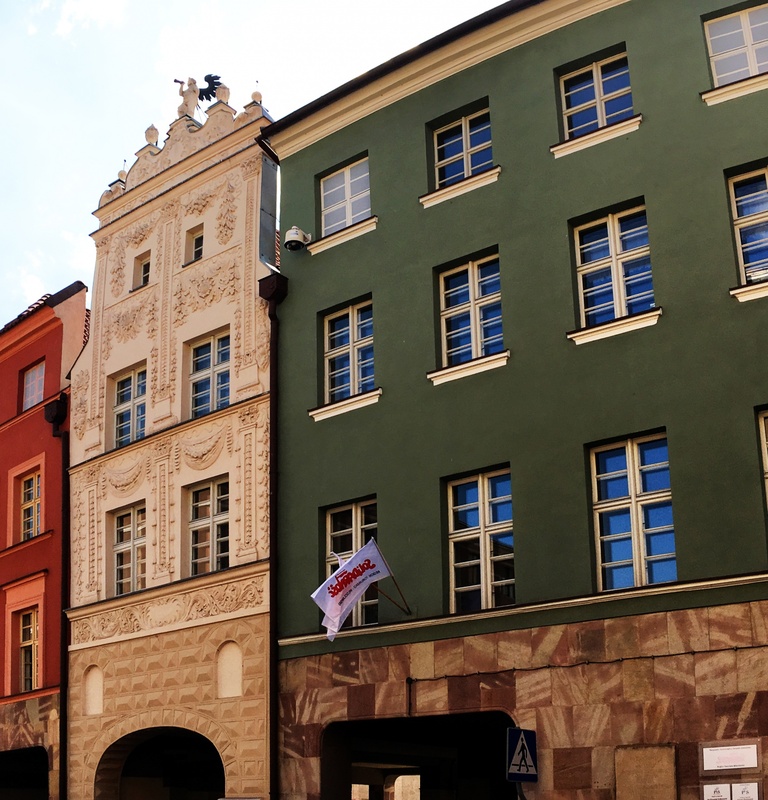 Tenement comes from the second half of the 14th century, but was rebuilt in the 18th century. 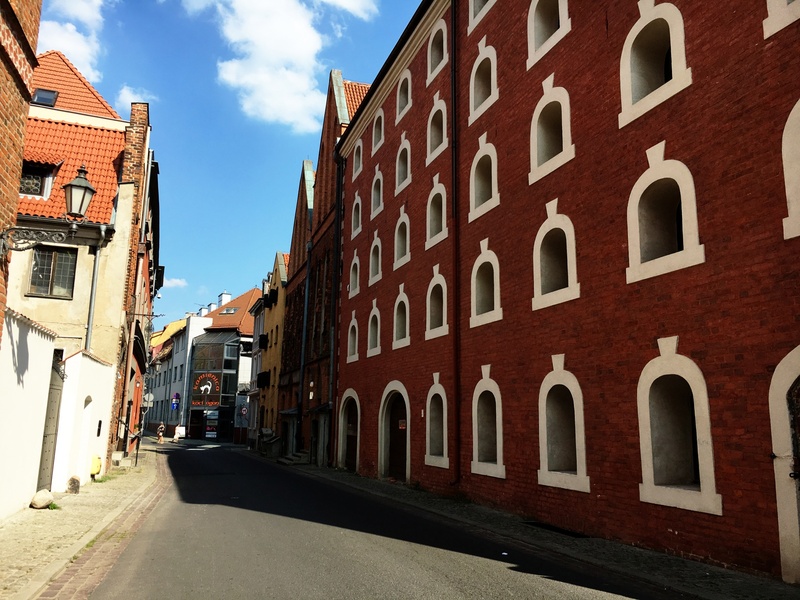 Its exterior appearance is characterized by the recess in the façade (niches) and shallow cut-out window cavities (blends). 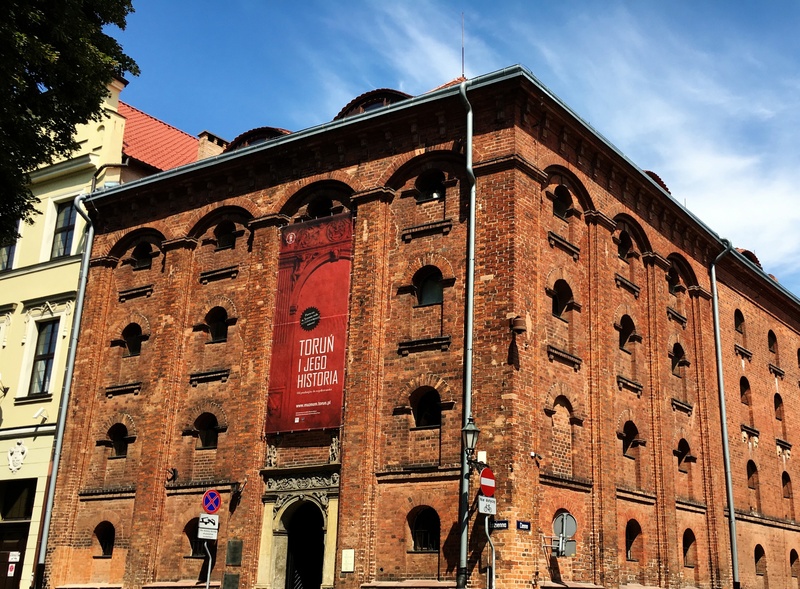 The Tenement had several owners, among others, grandfather and uncle of Nicholas Copernicus, and also Joseph Buszynski, who along with his son, founded the printery, which edited the first numbers of newspaper of Torun. Today the building stands as the hotel. 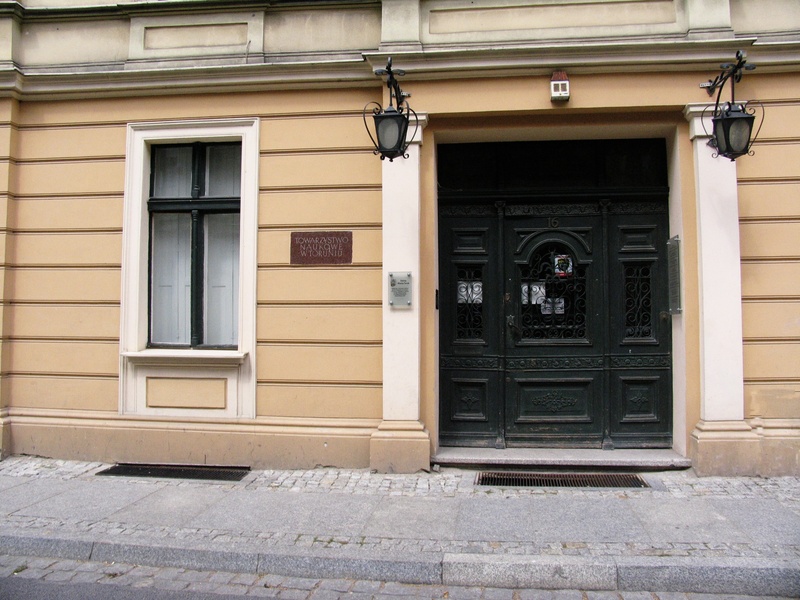 The building of current Marshal's Office was built in 1927-1932. 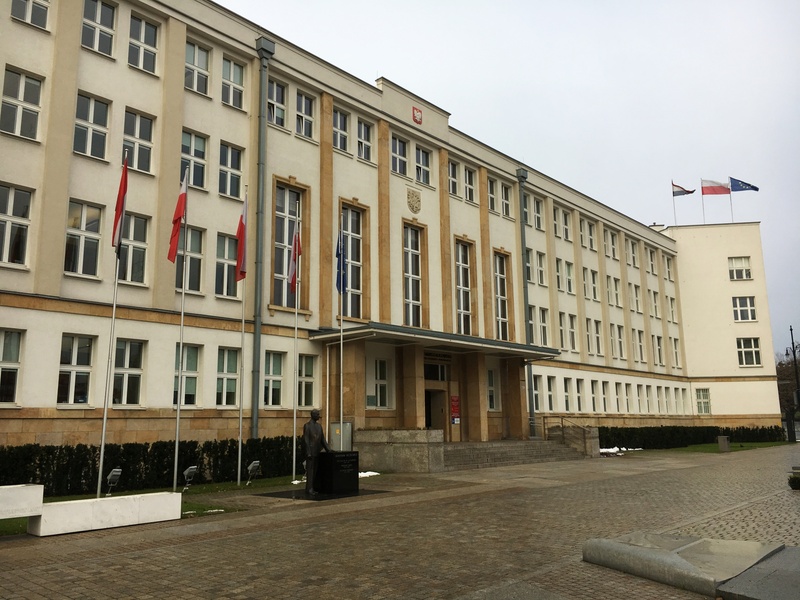 Since 1933, it housed the Regional Directorate of State Railways, and since 1999, the headquarters of the Marshal Office of Kujawsko-Pomorskie Voivodship has been located there. 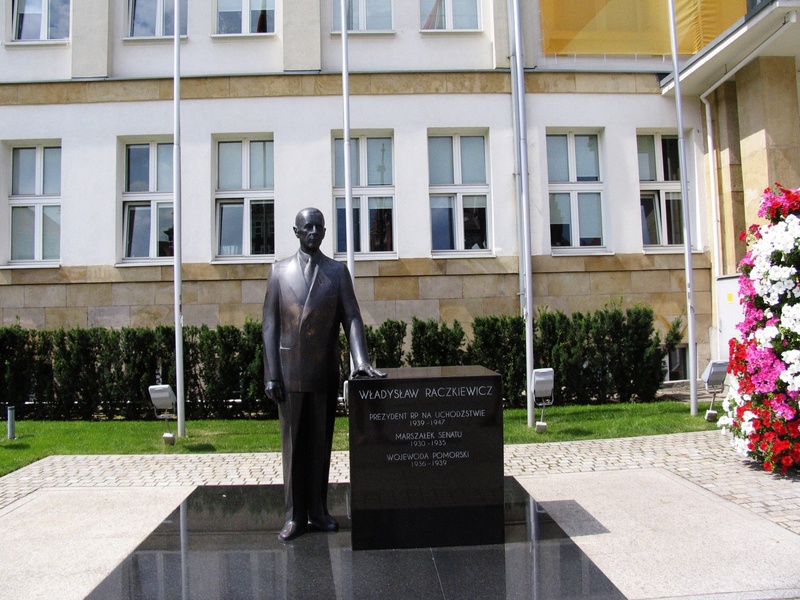 In front of the building there is a monument of Vladislav Raczkiewicz, successively acting as a speaker of the Senate, the Governor of the Pomeranian and the President of Poland in exile. 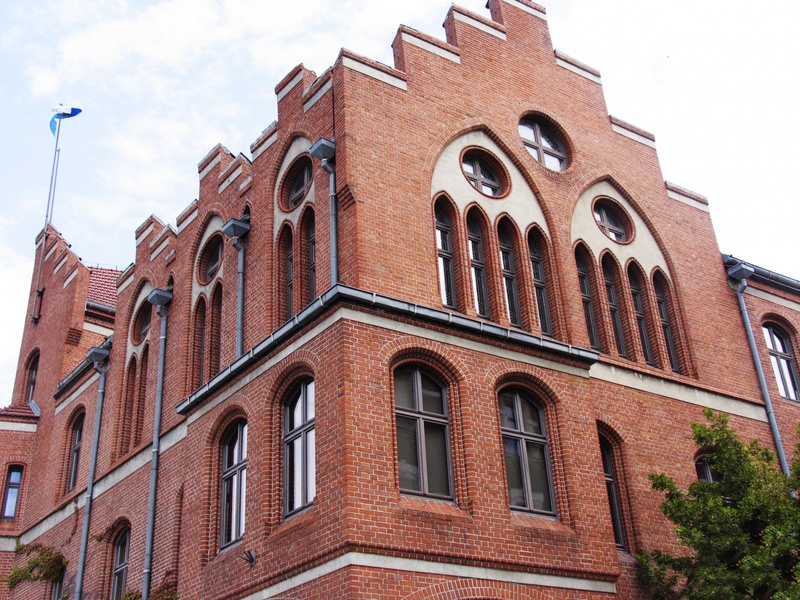 The building was built in neo-Gothic style in 1901. 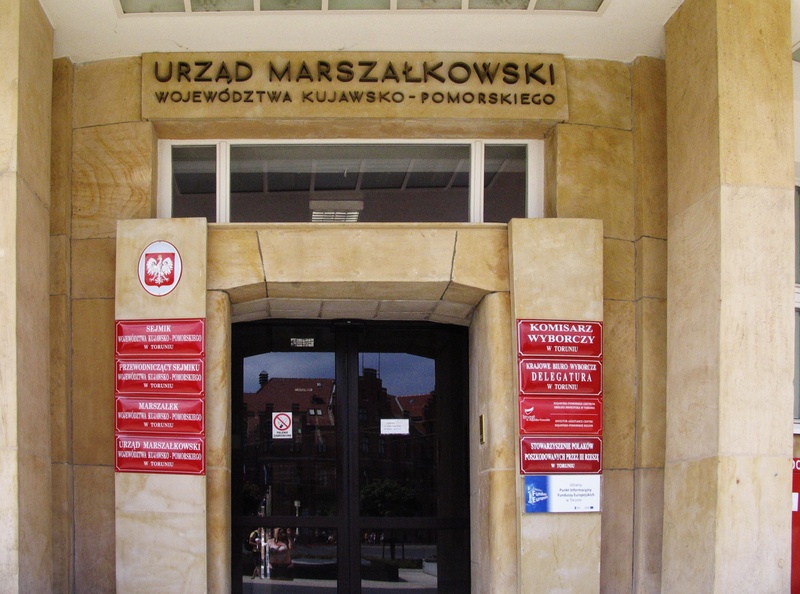 Initially, it was the seat of the district office, next the seat of the Polish administration. 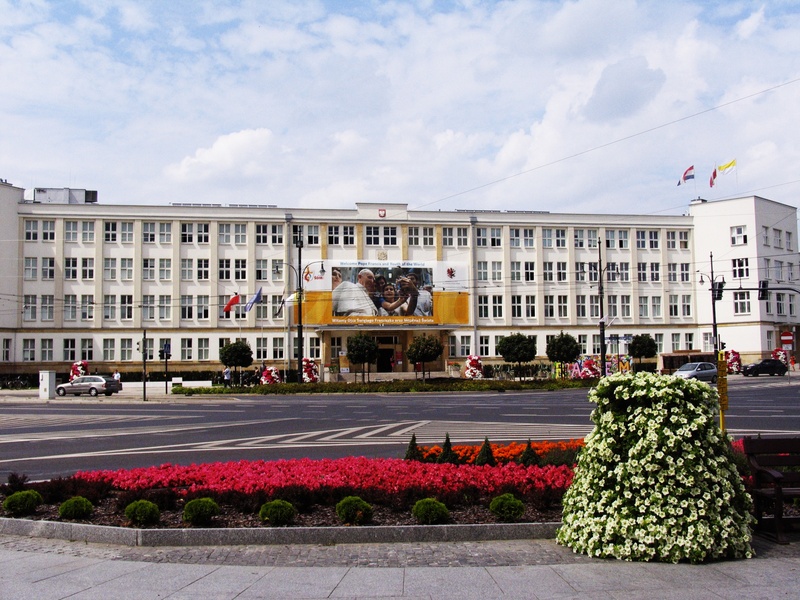 In subsequent years, it housed here the Presidium of the National Council. 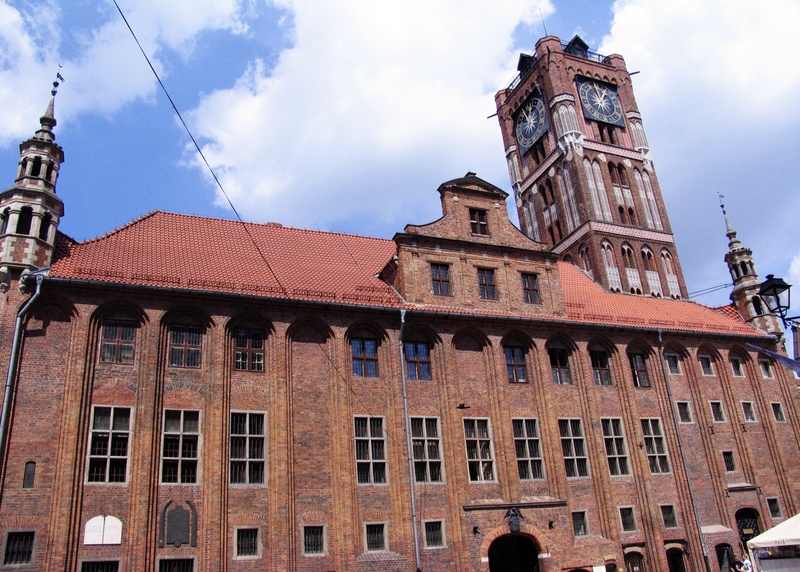 Currently the building is the seat of the City Council and the Mayor of the city. 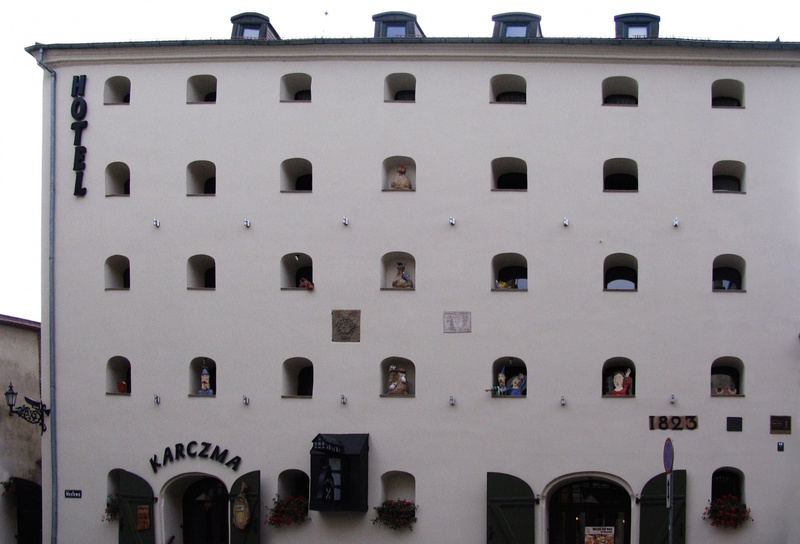 On one of its walls, from the side of the Theatre Square, there are arrays of twin towns.